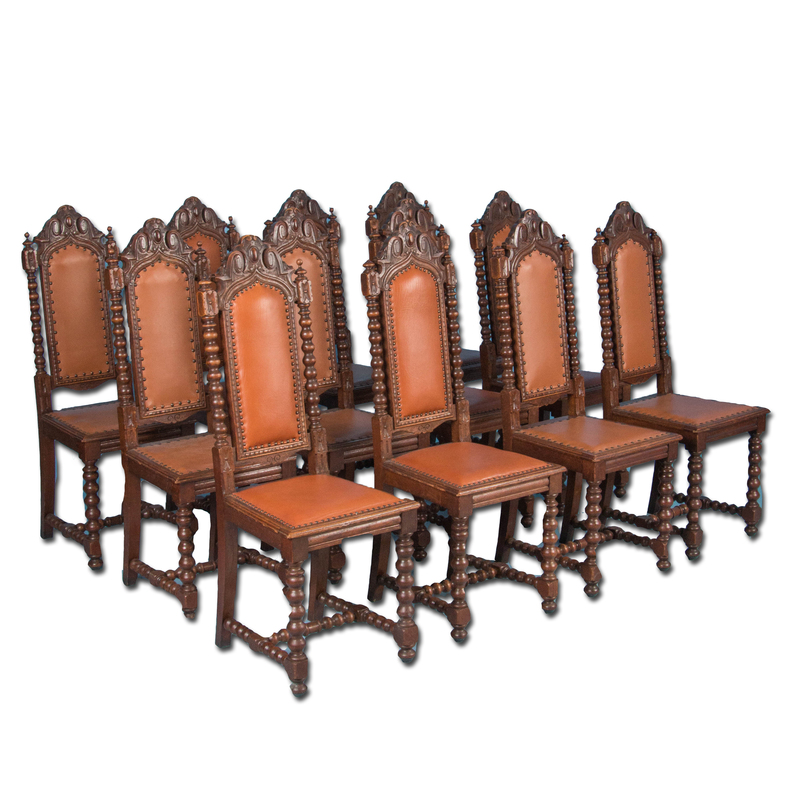 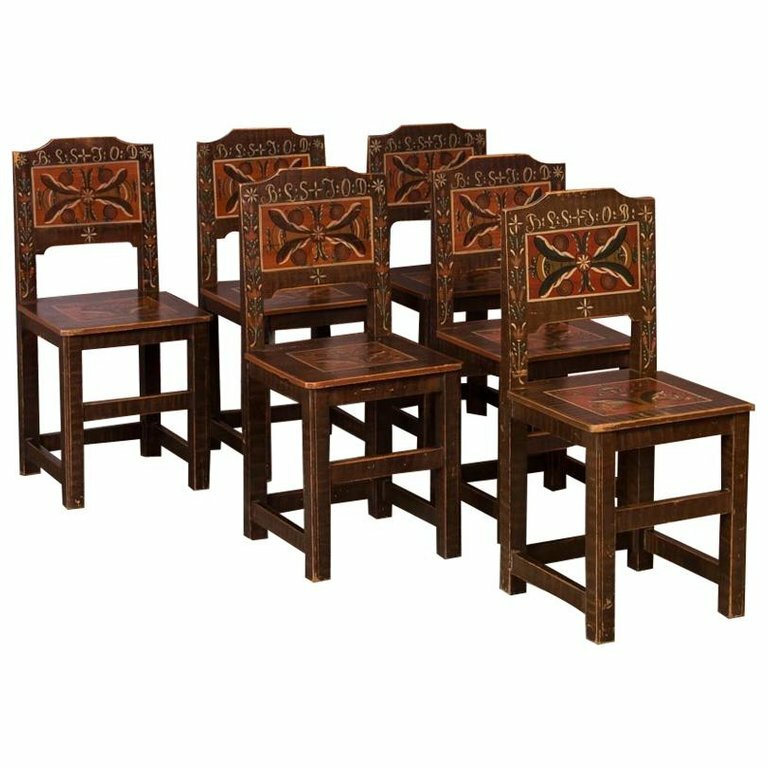 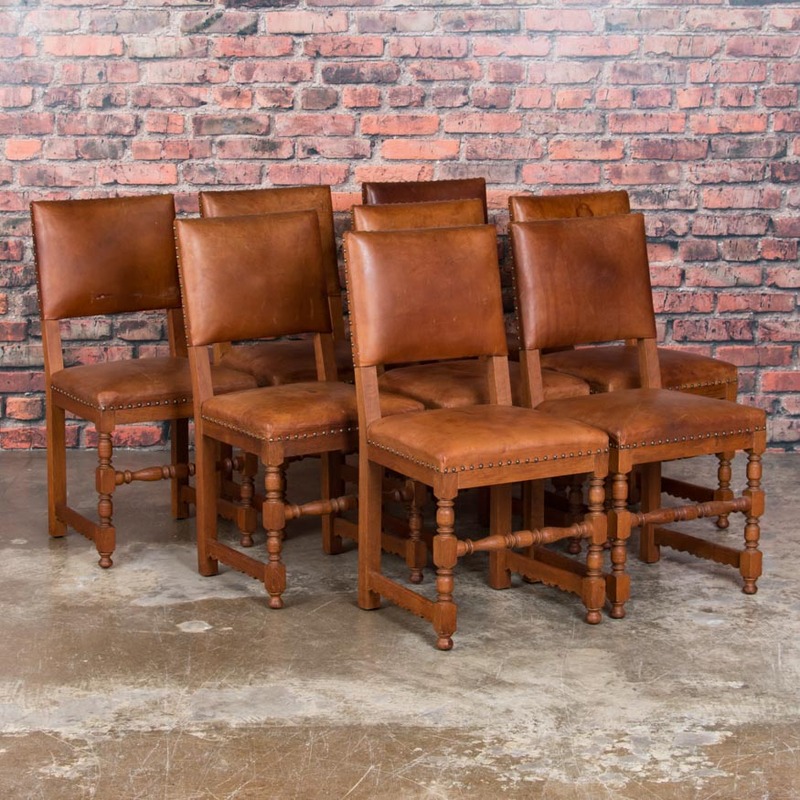 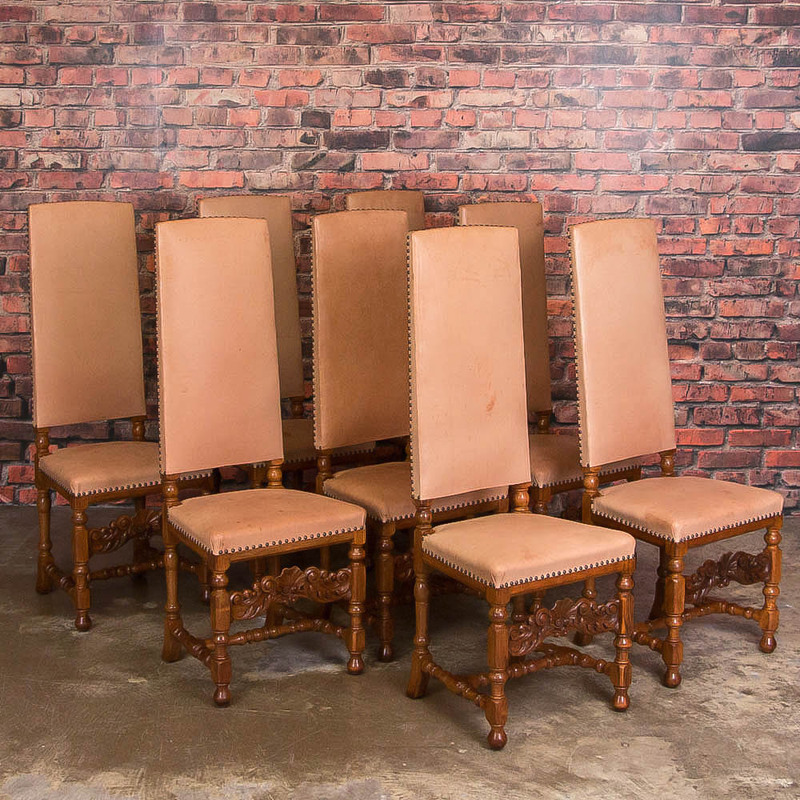 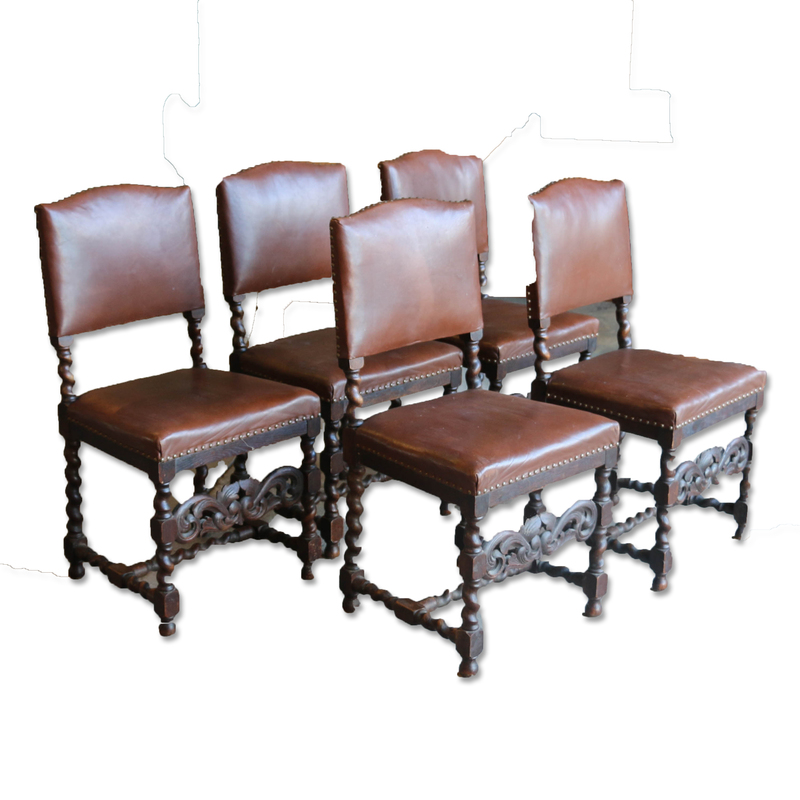 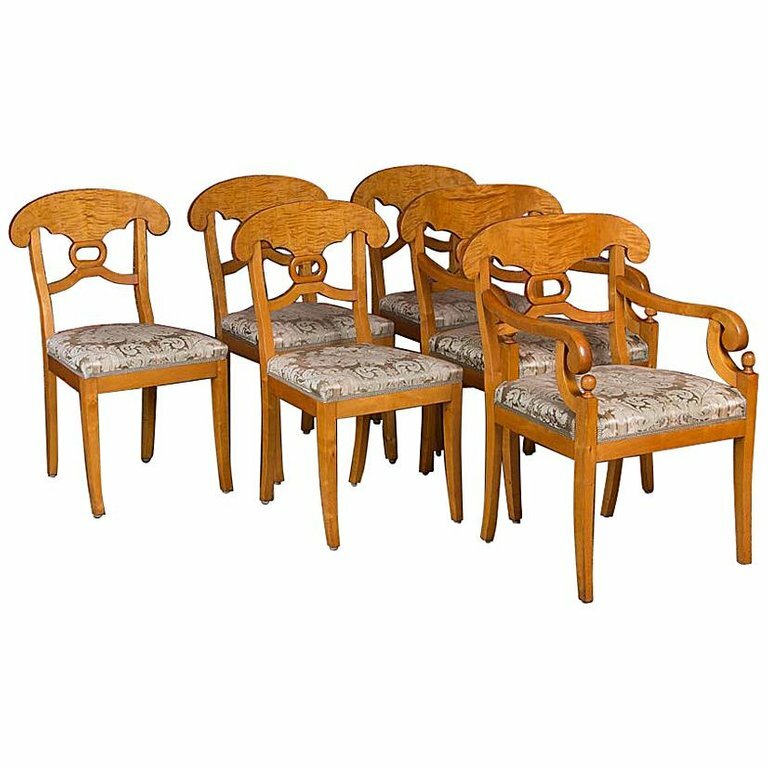 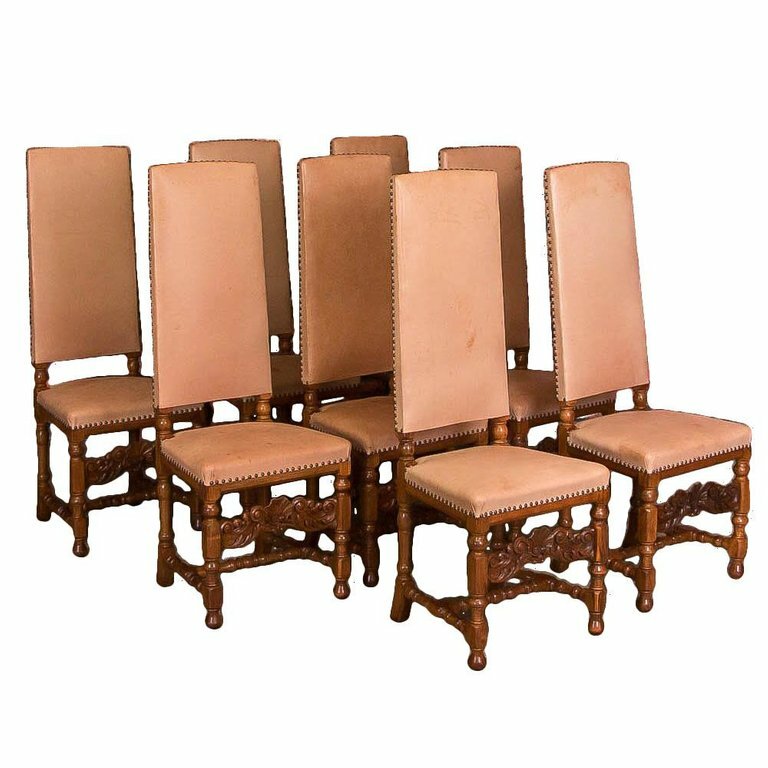 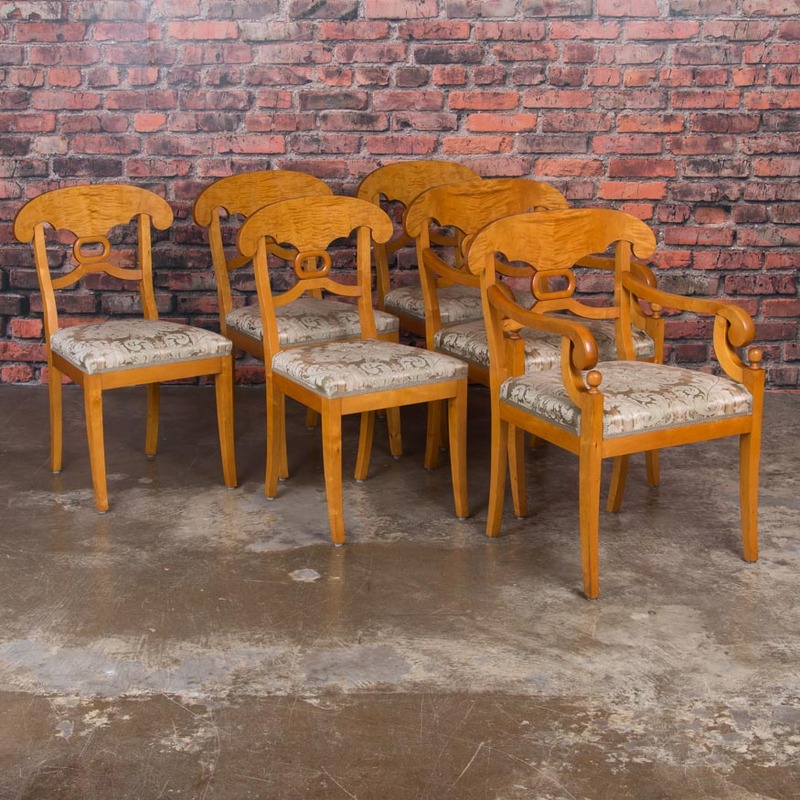 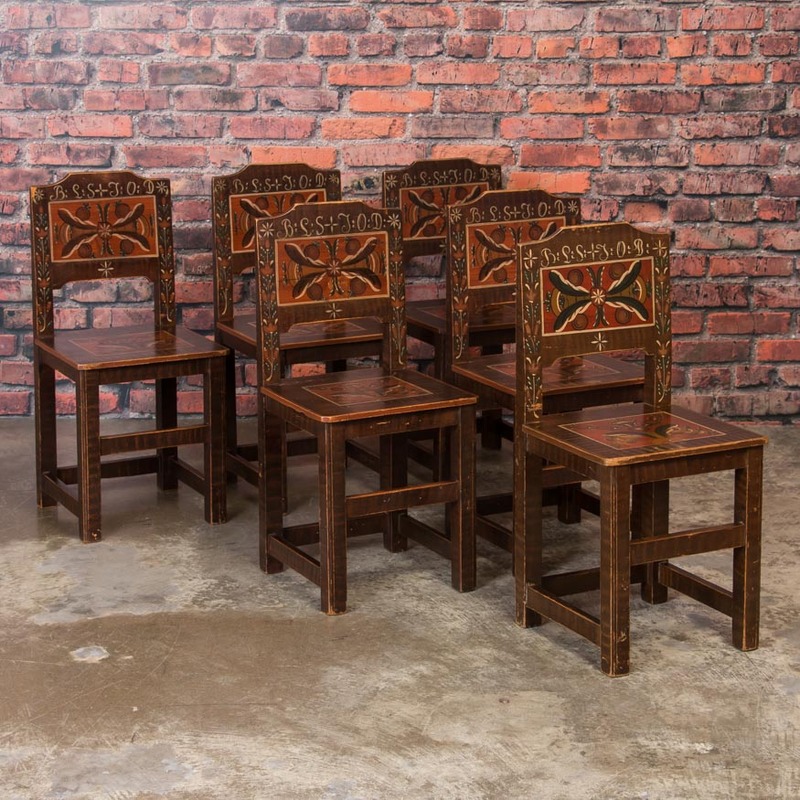 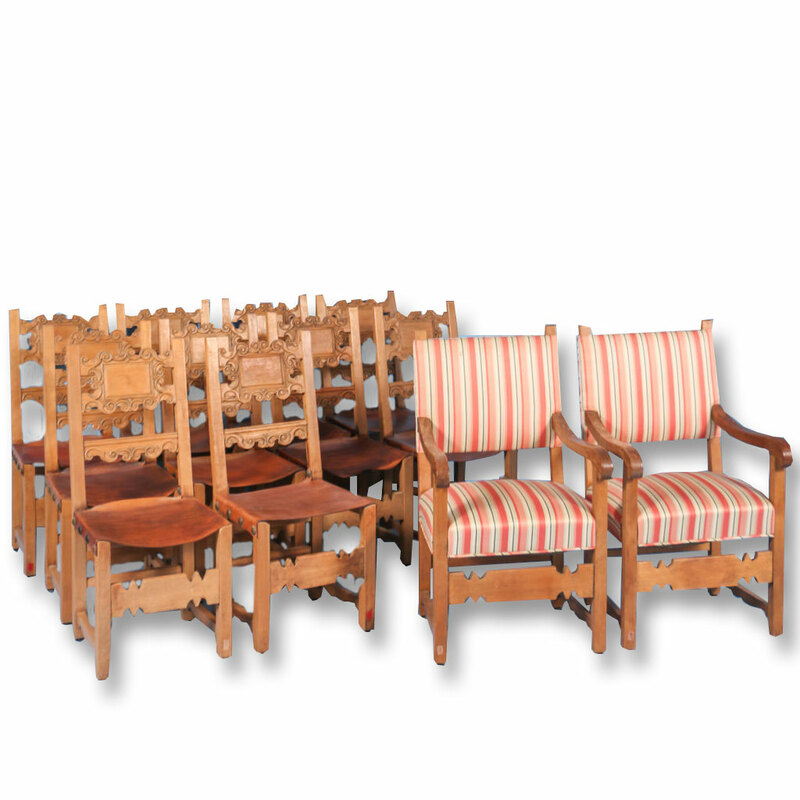 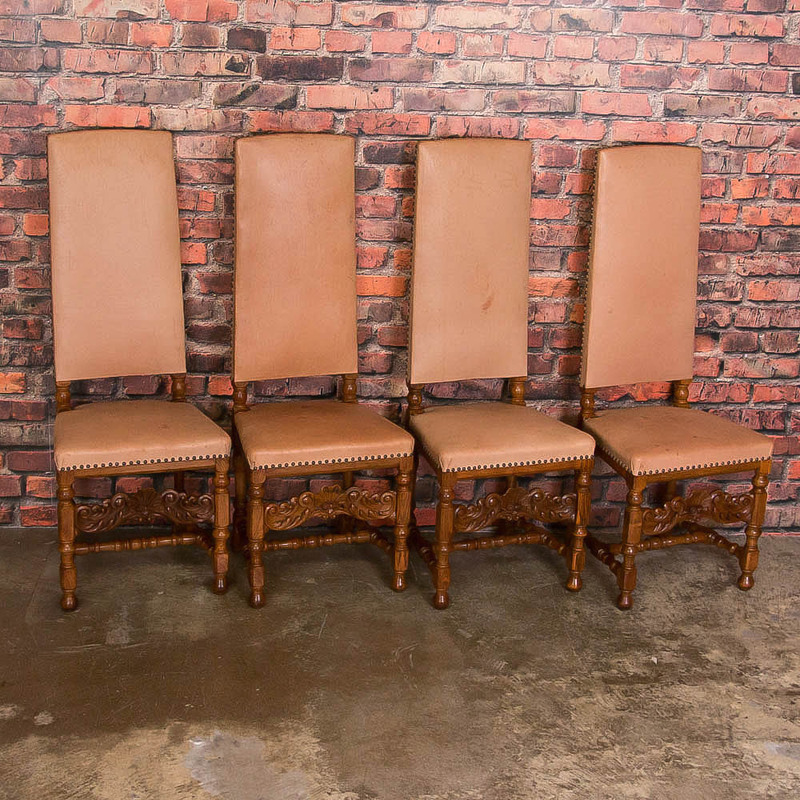 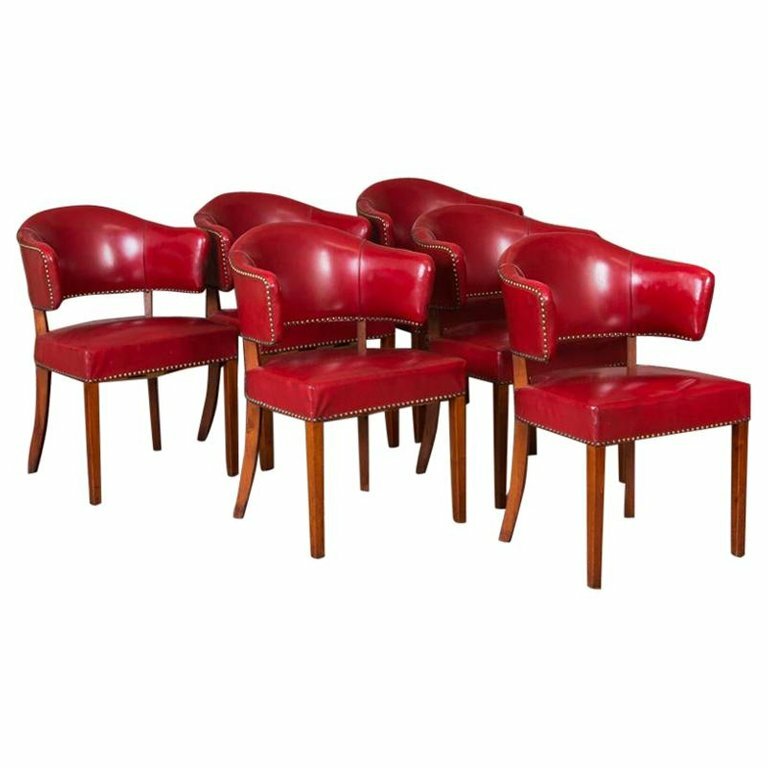 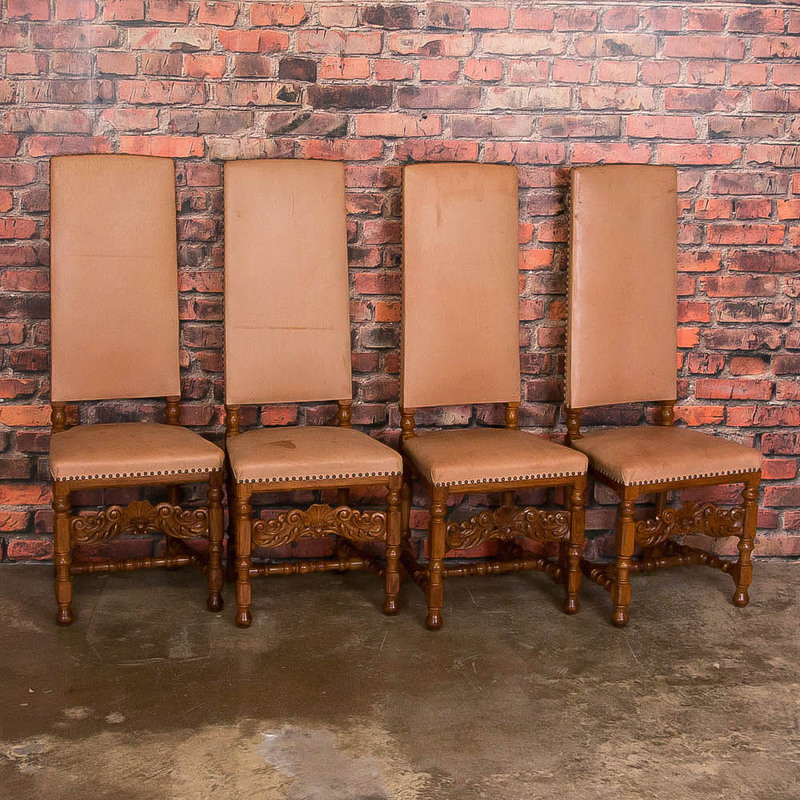 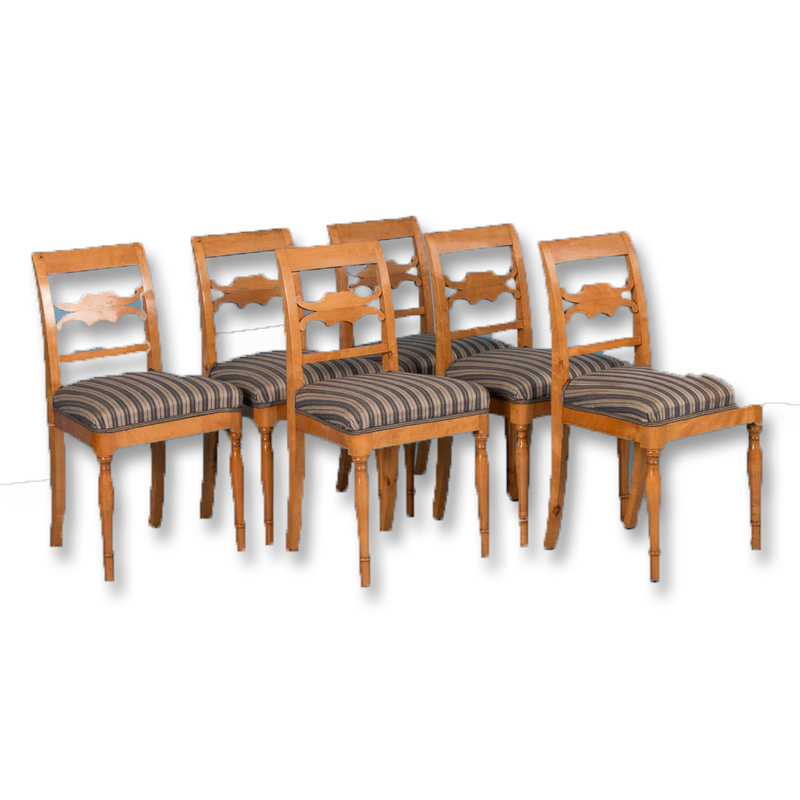 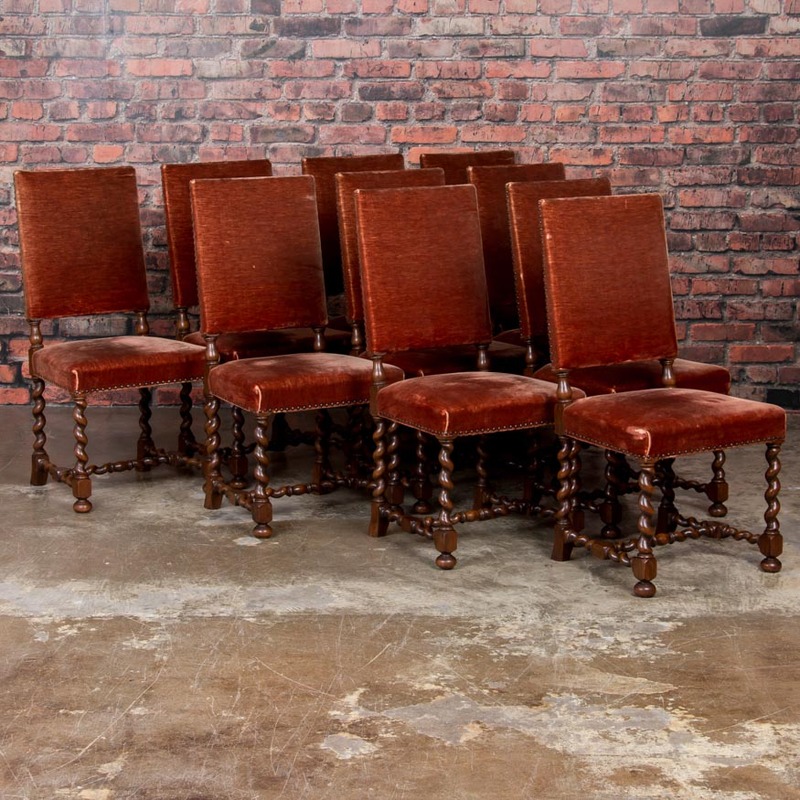 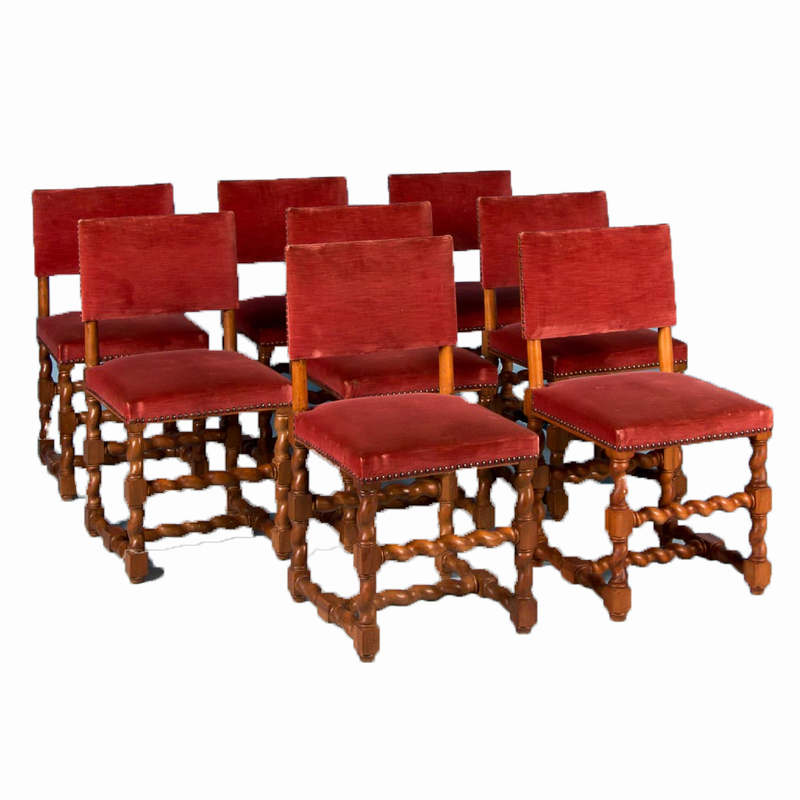 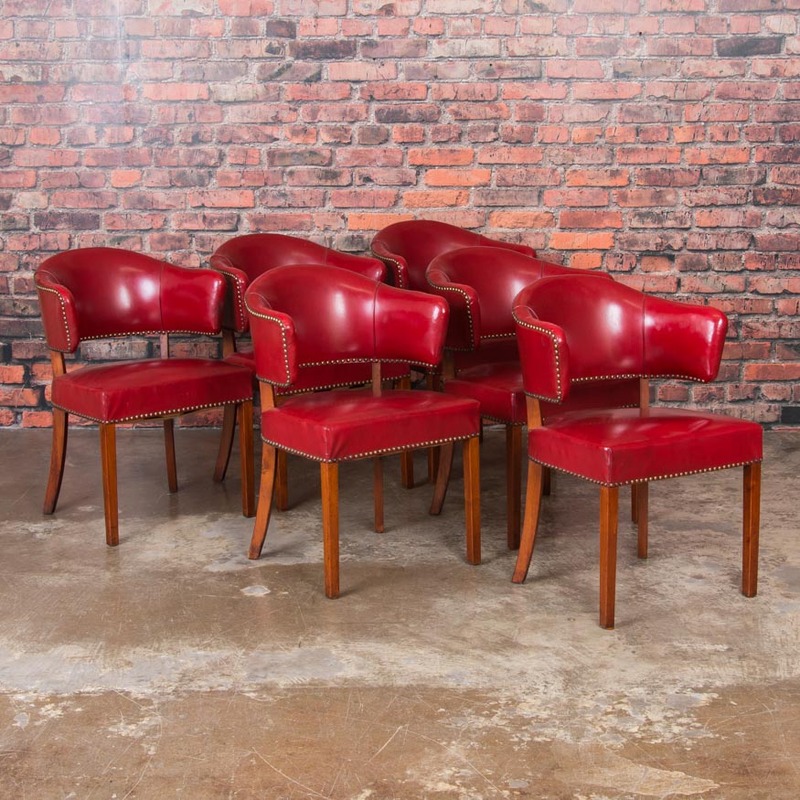 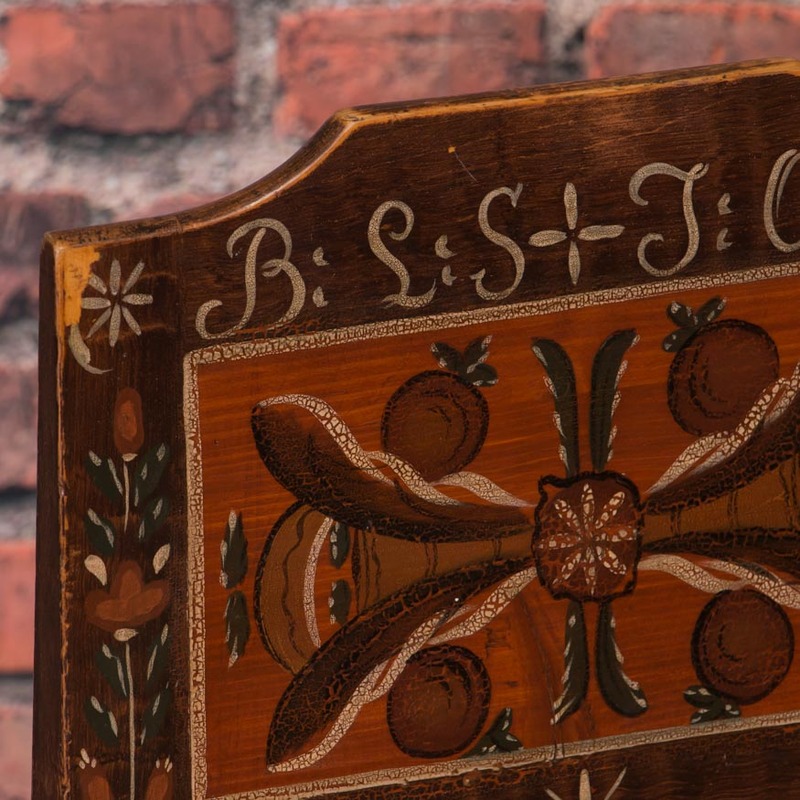 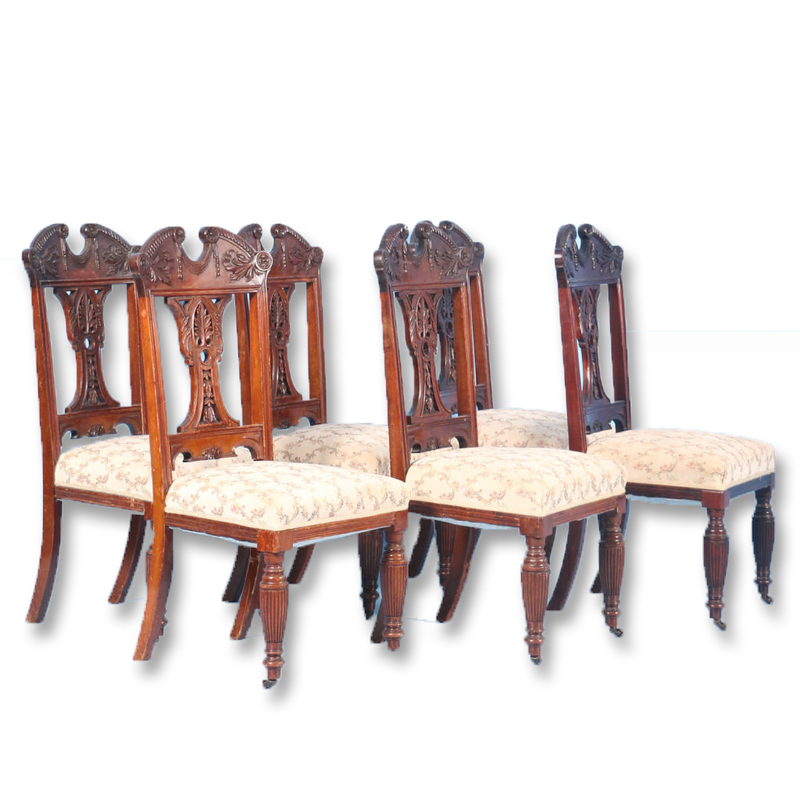 Set of six Karl Johan dining chairs from Sweden, circa 1890, There are 2 arm chairs and 4 side chairs made from birch with upholstered seats. 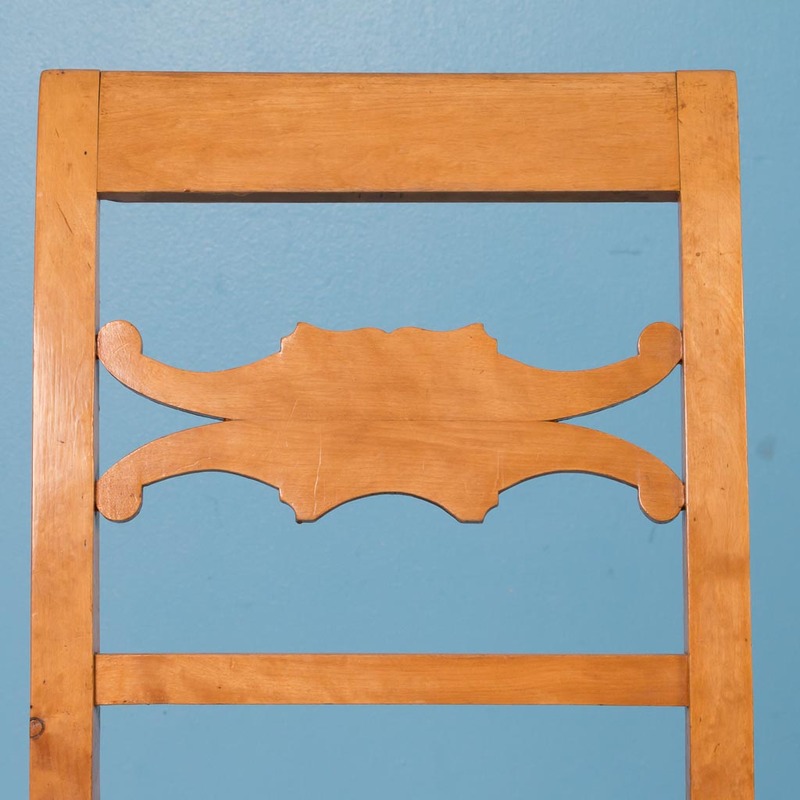 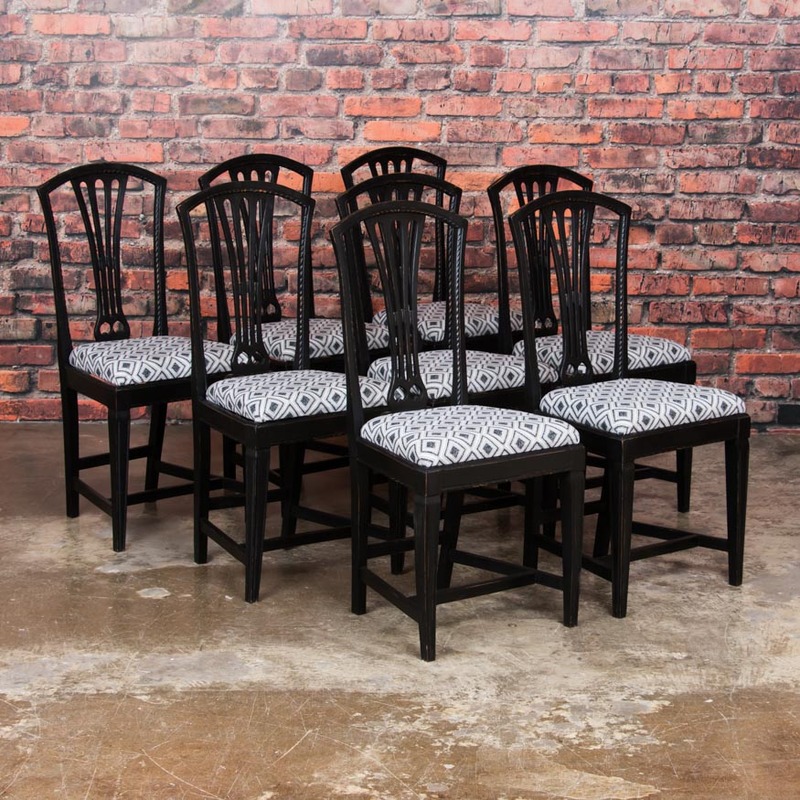 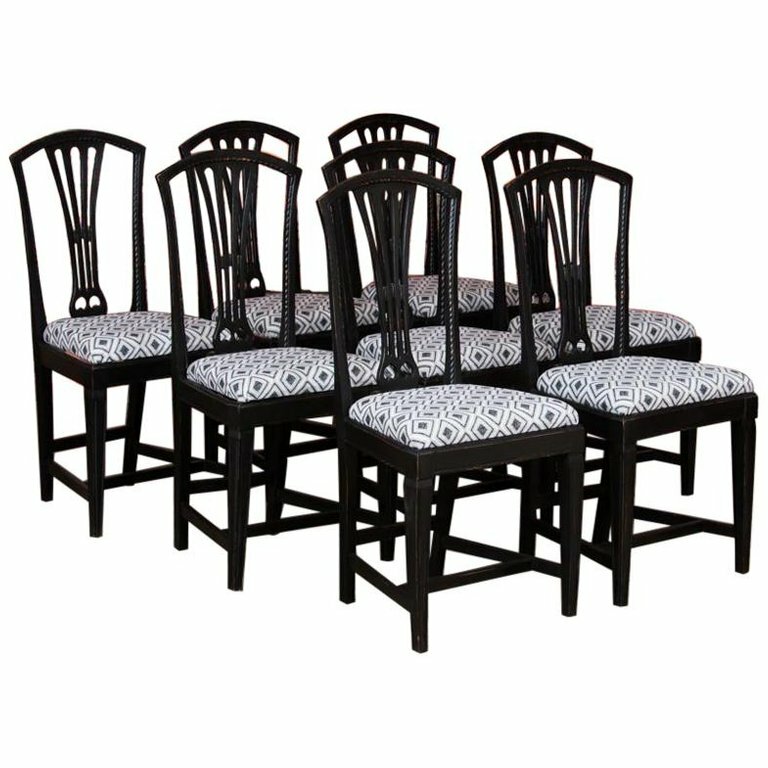 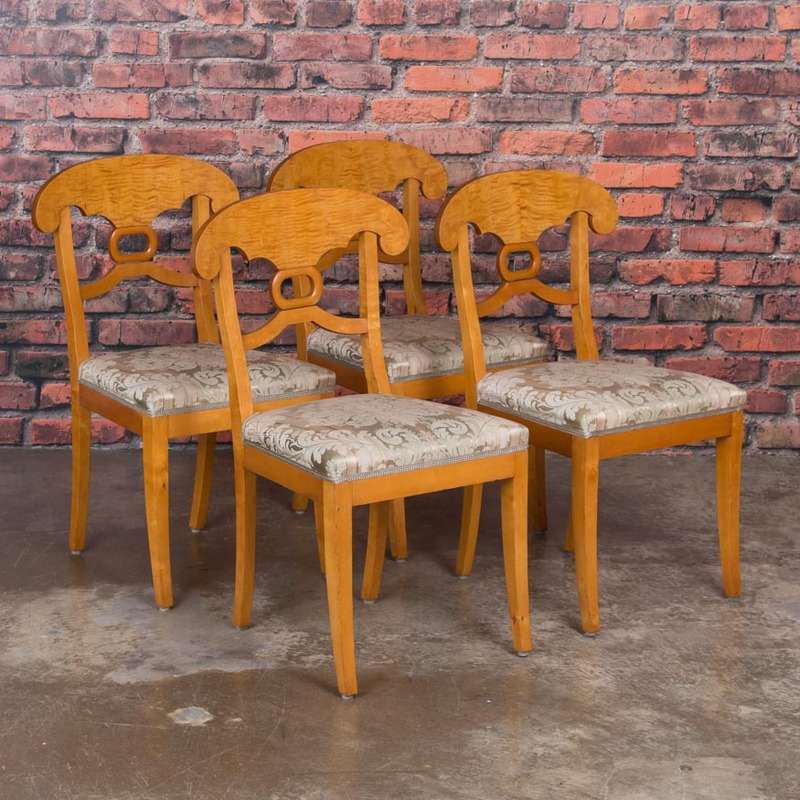 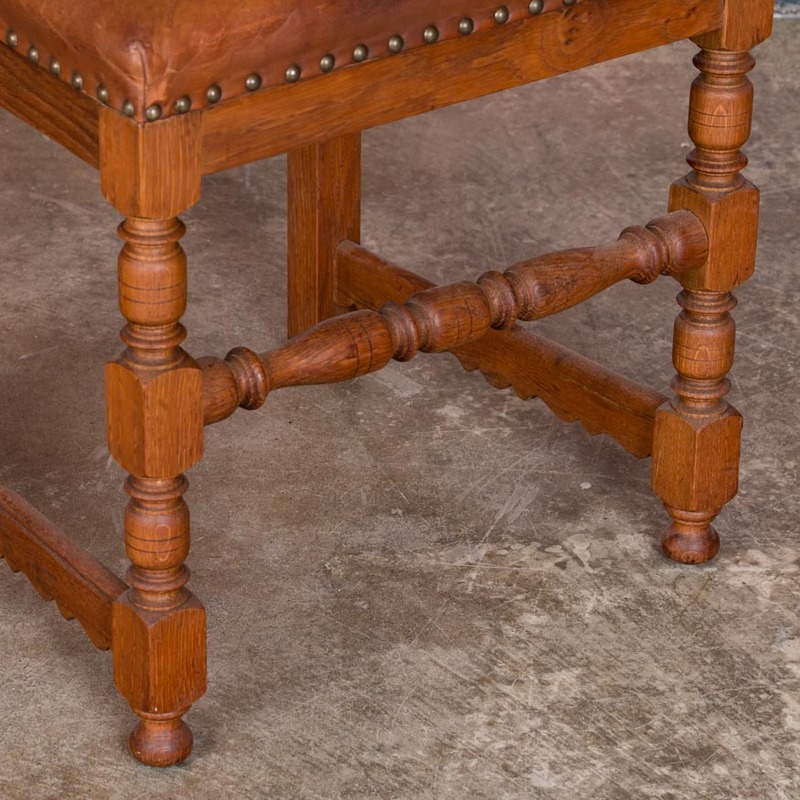 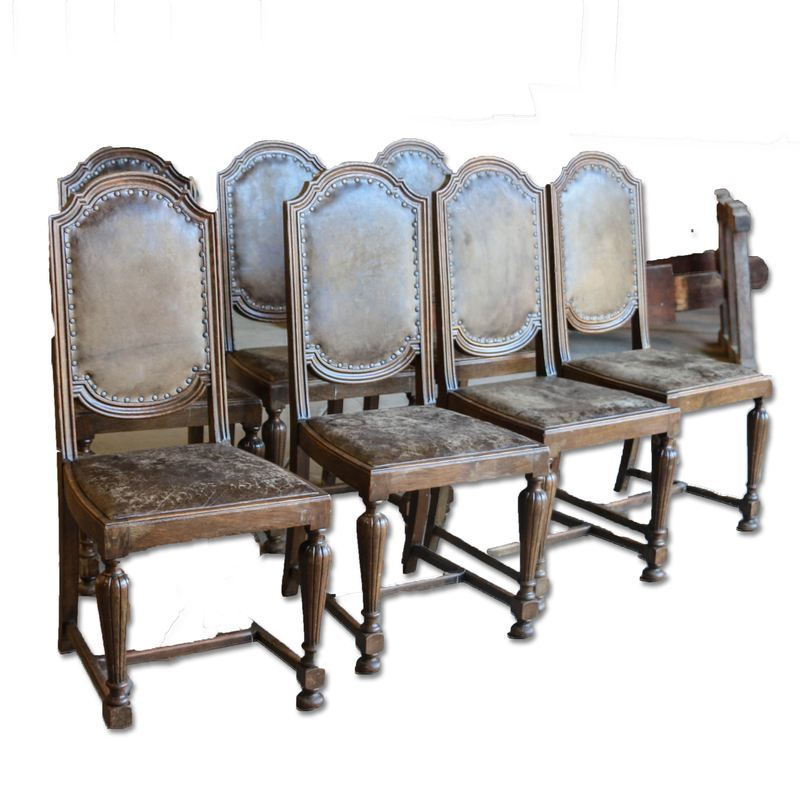 Set of 6 antique birch dining chairs with upholstered seats, turned legs and apierced back splat. 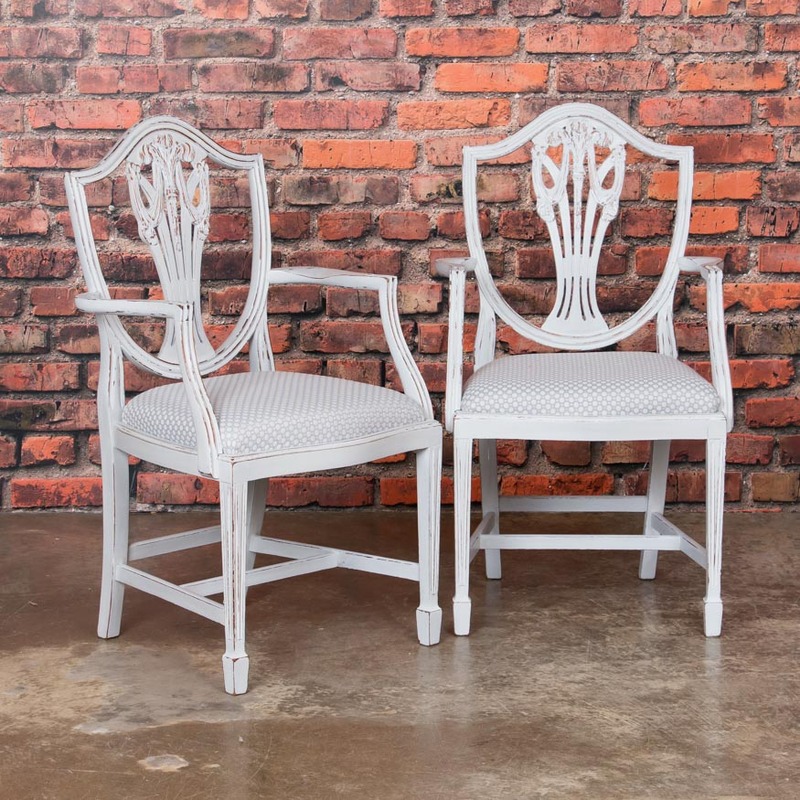 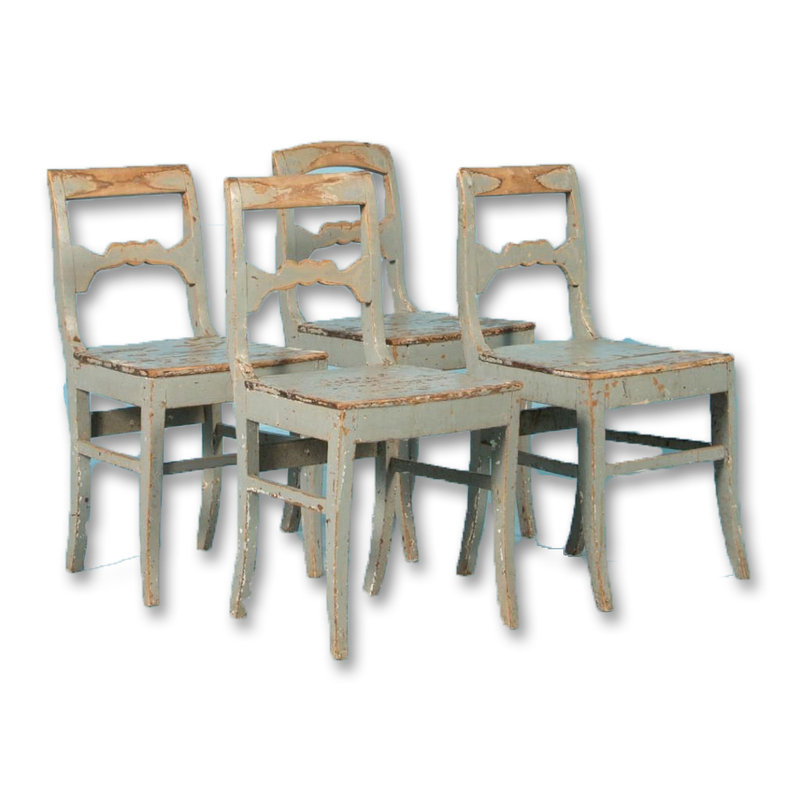 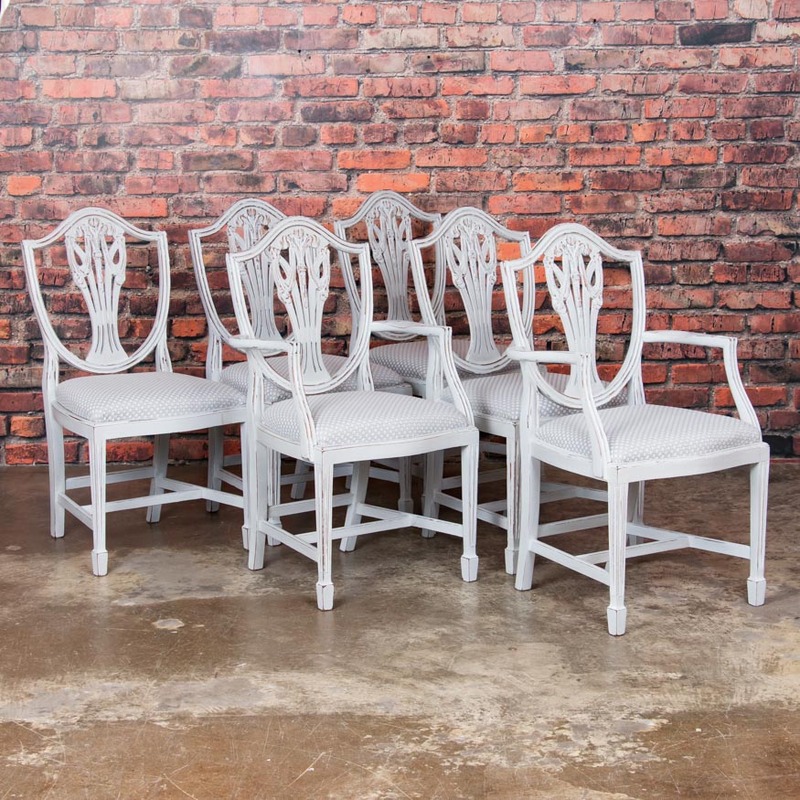 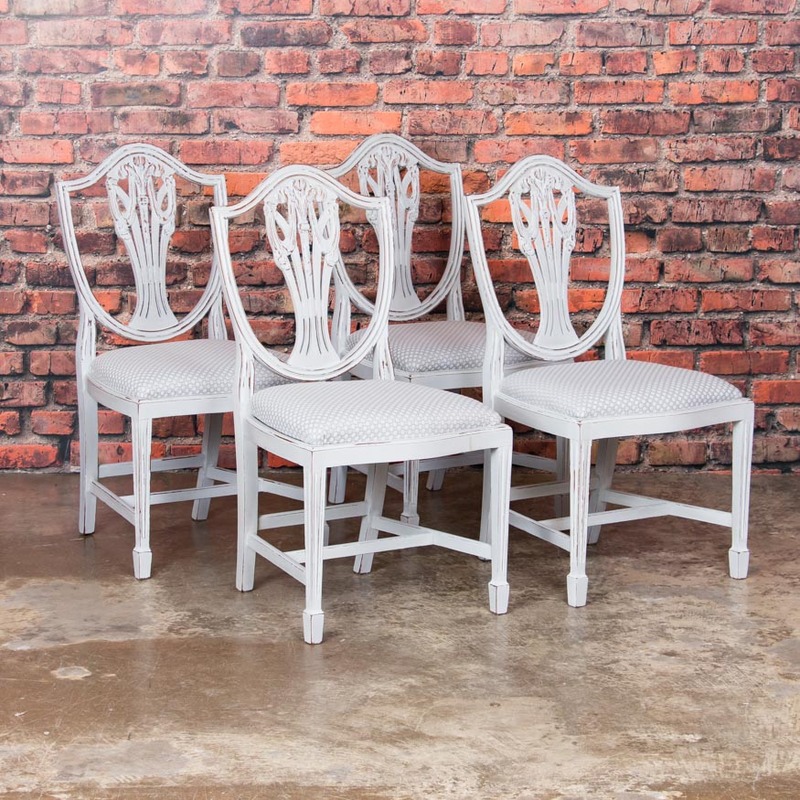 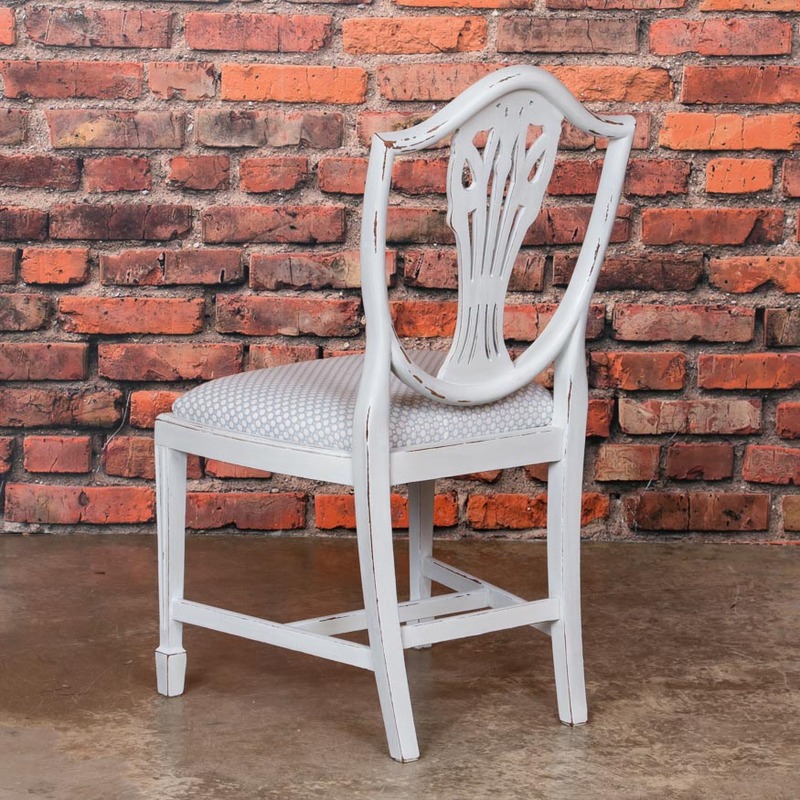 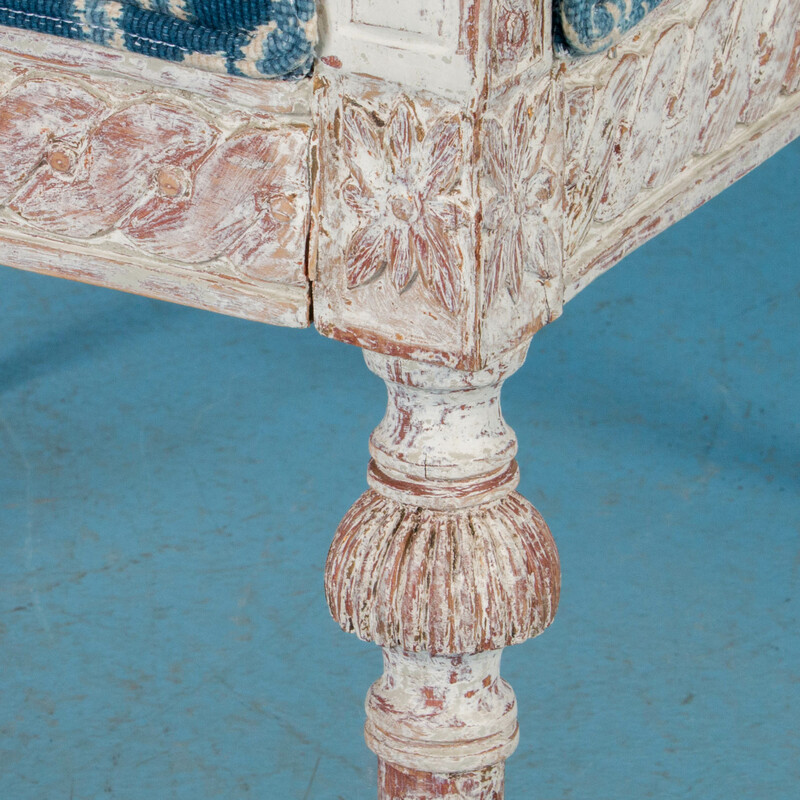 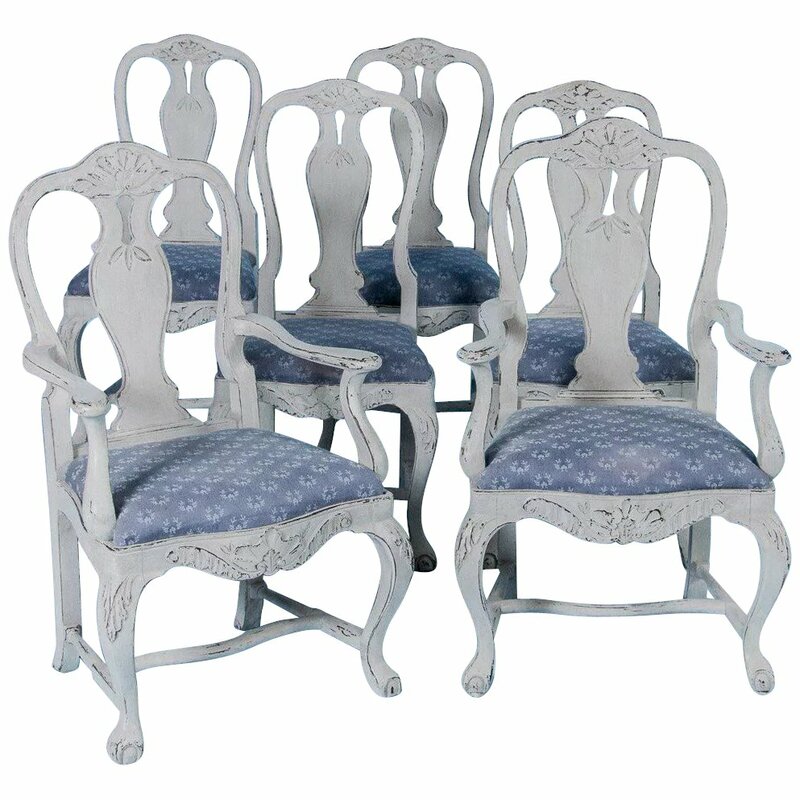 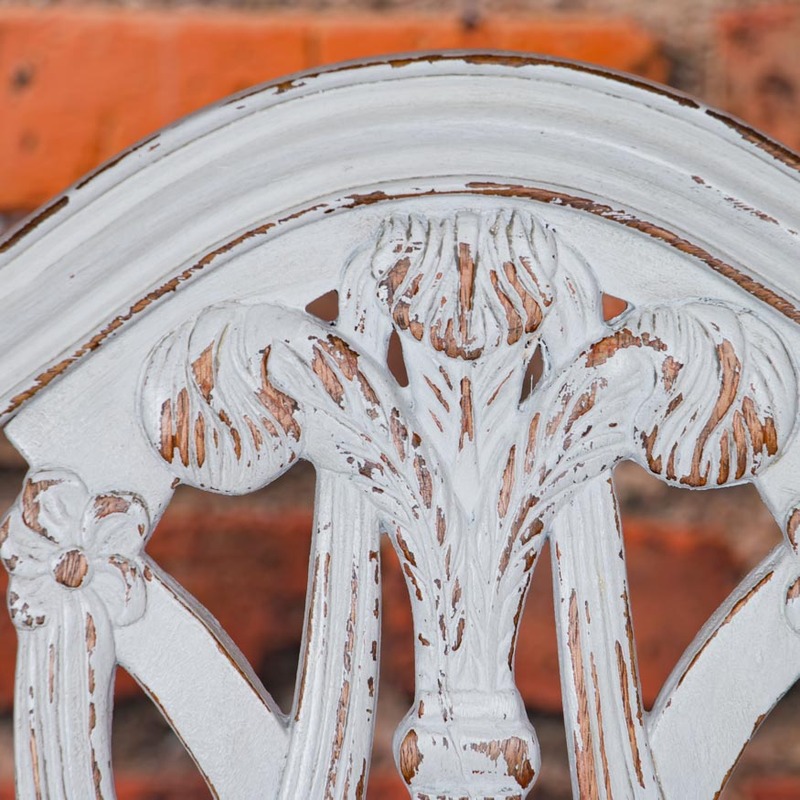 Set of 4 antique Swedish country side chairs painted with the original gray paint, circa 1840-1860. 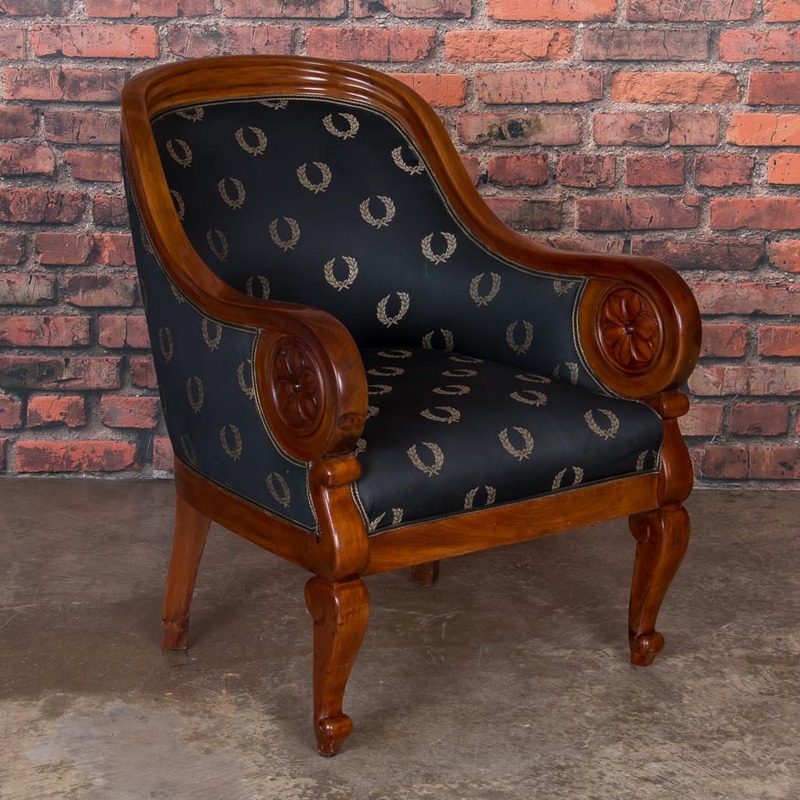 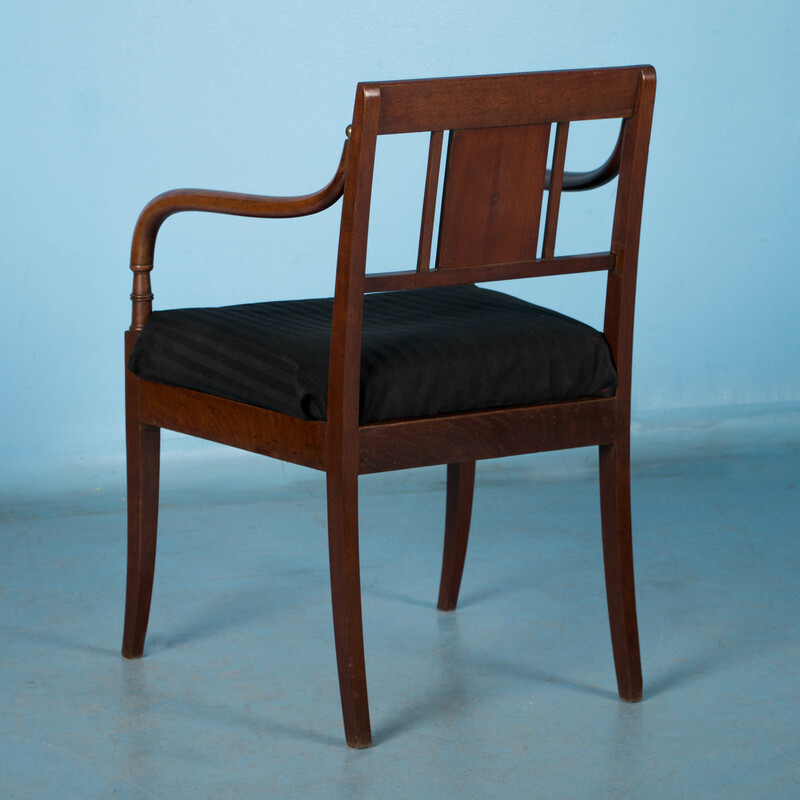 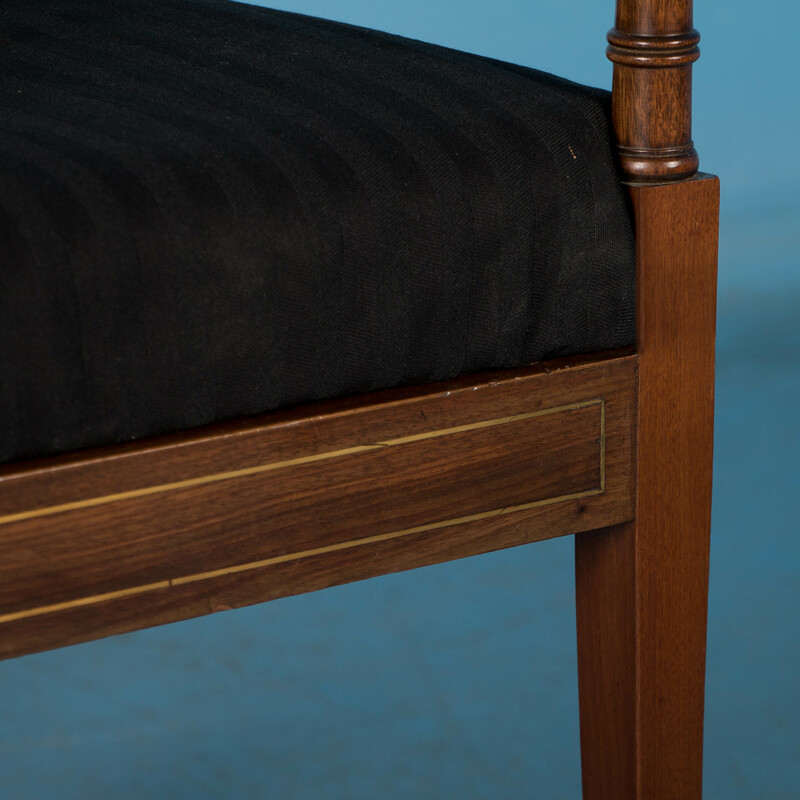 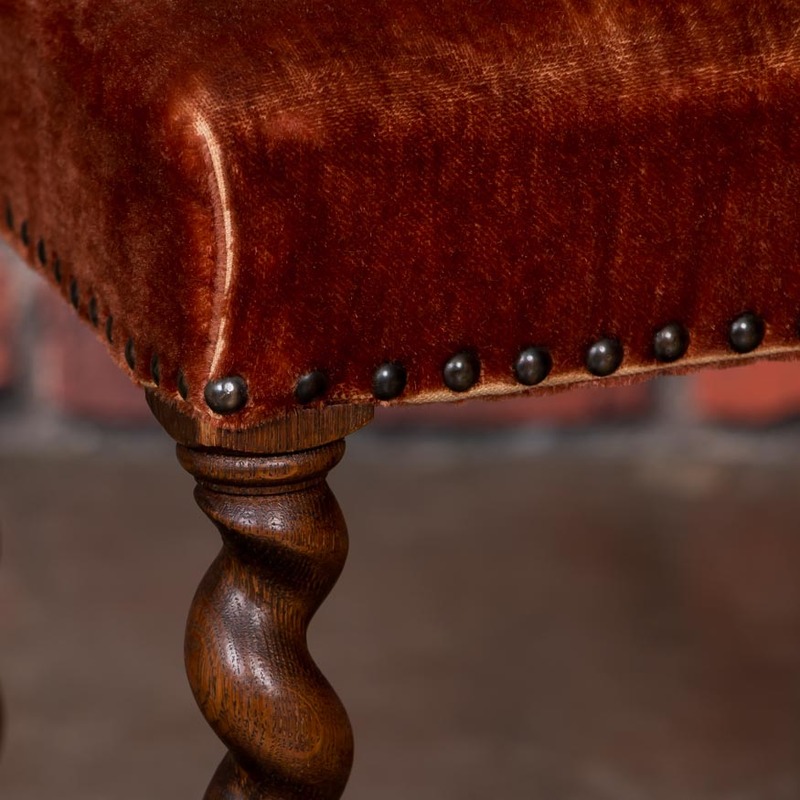 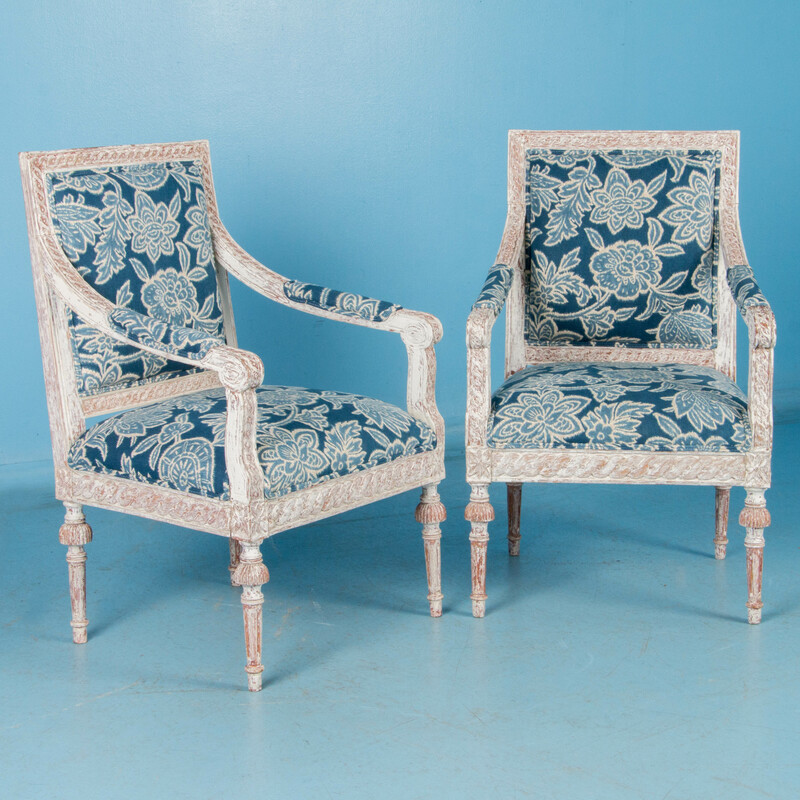 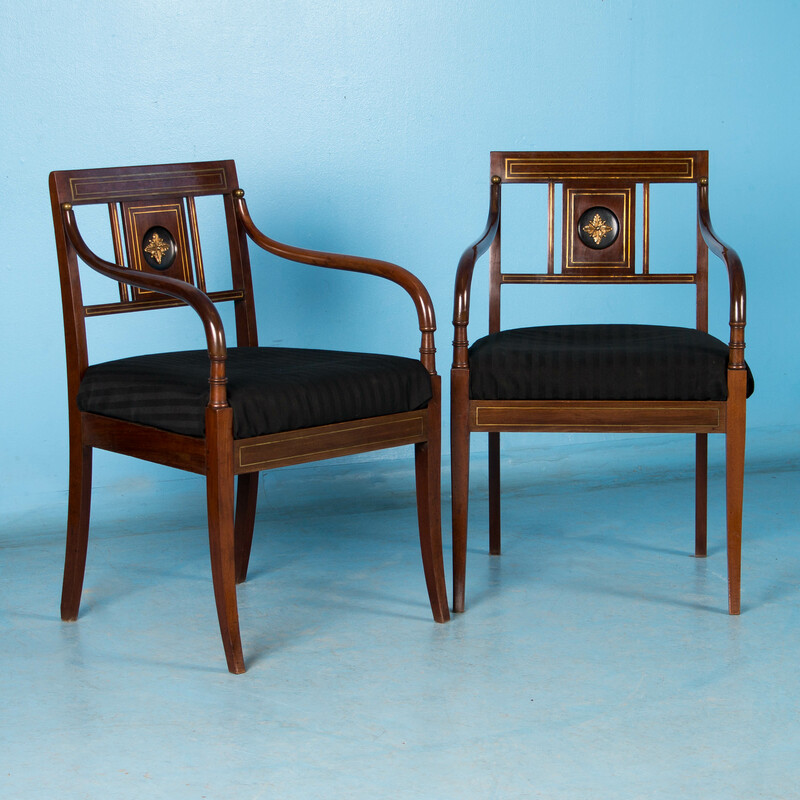 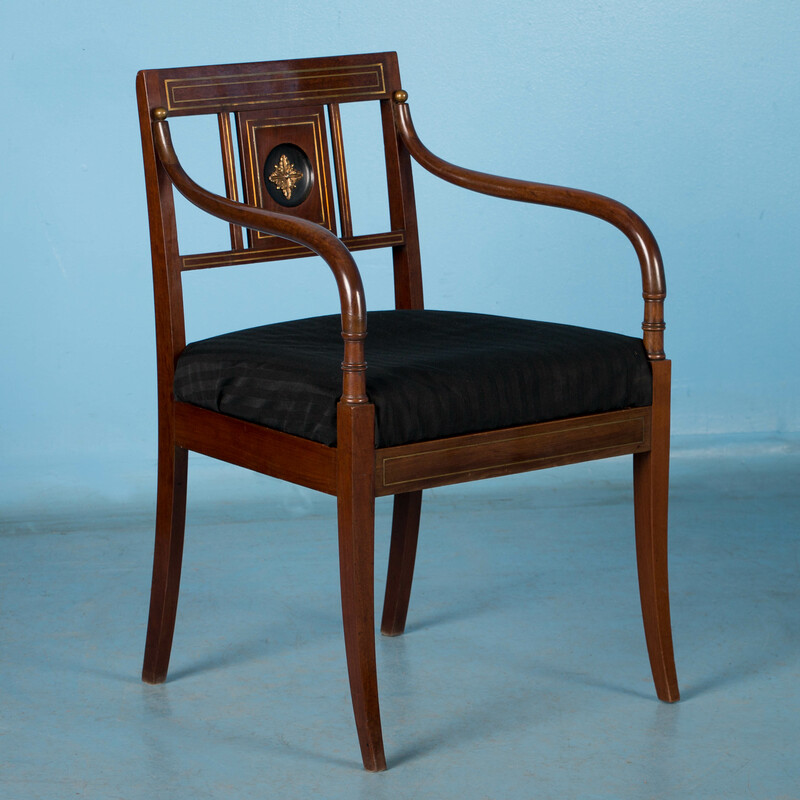 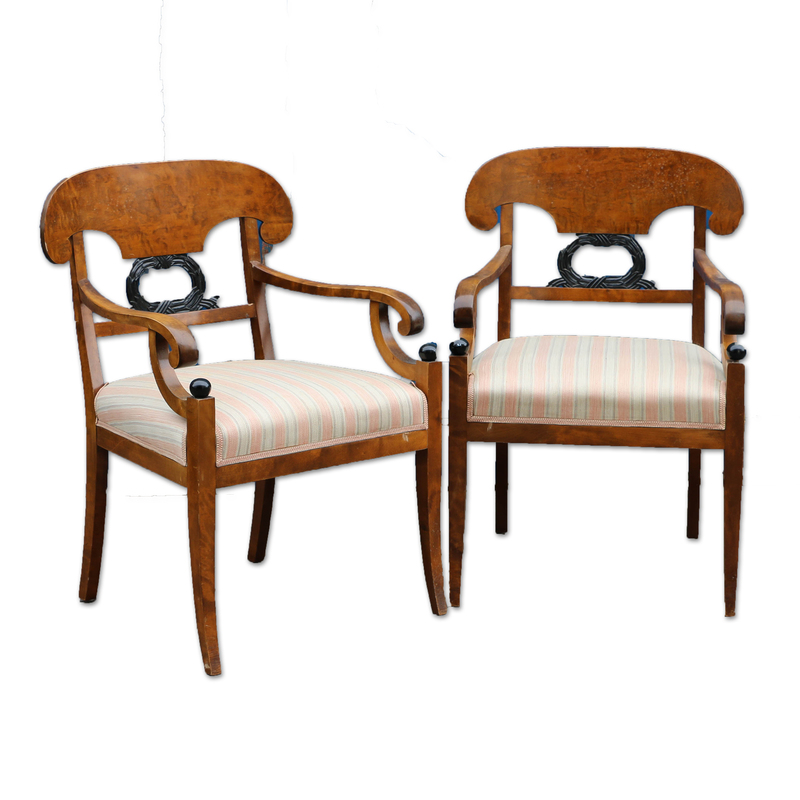 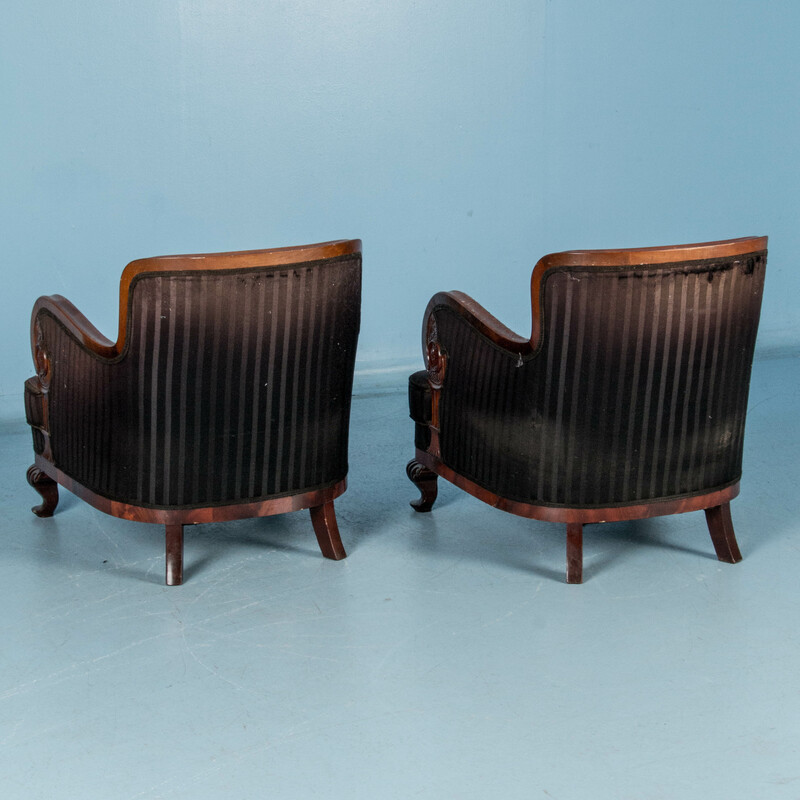 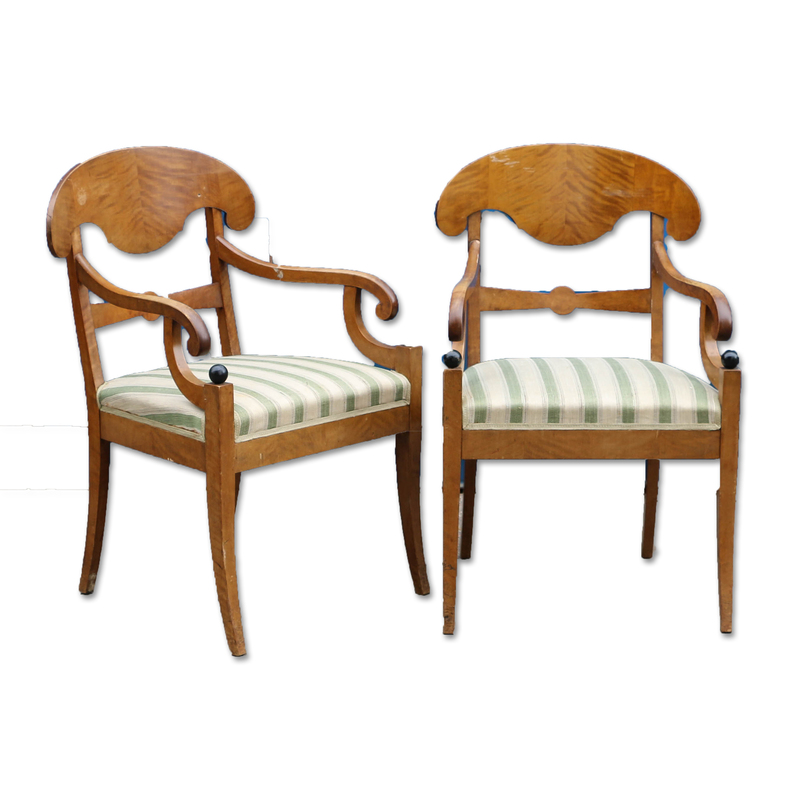 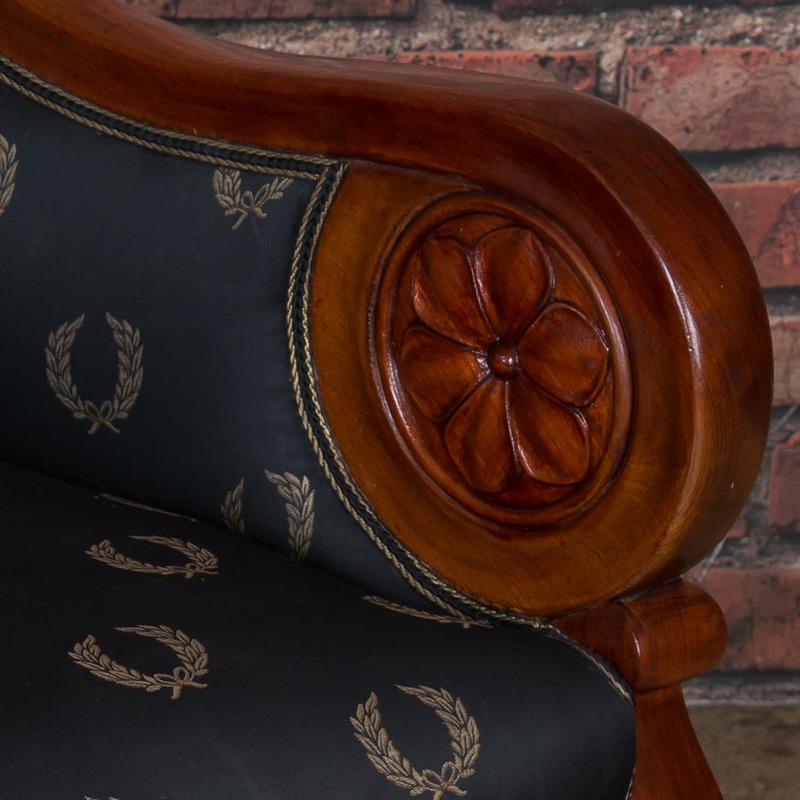 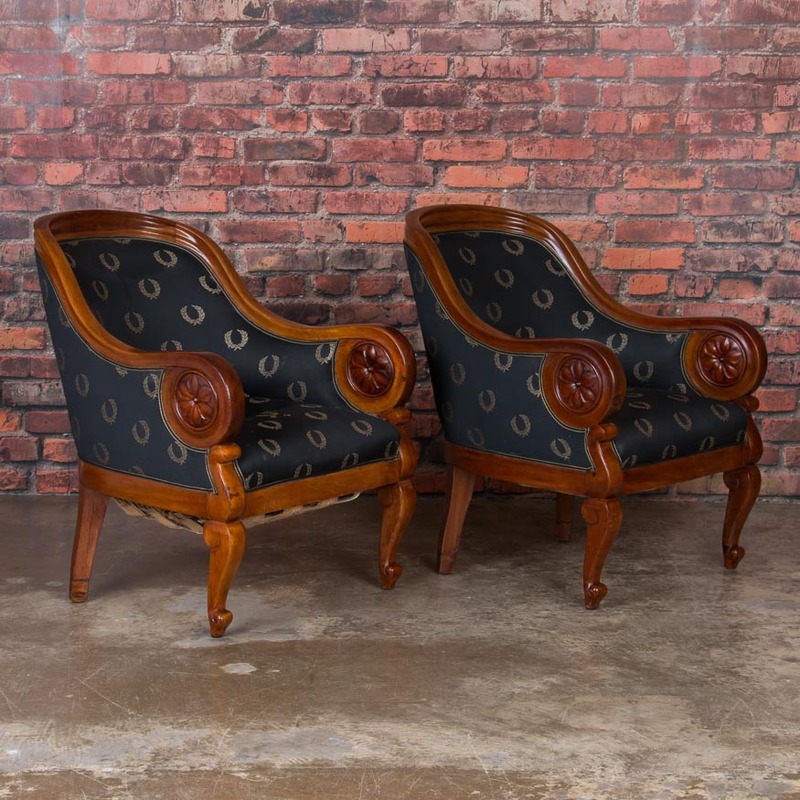 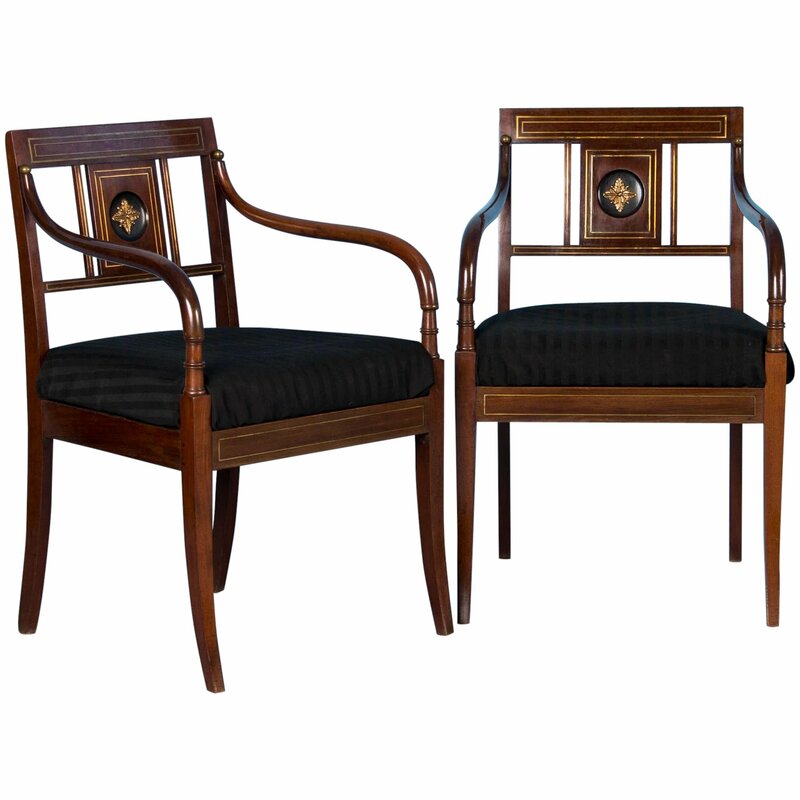 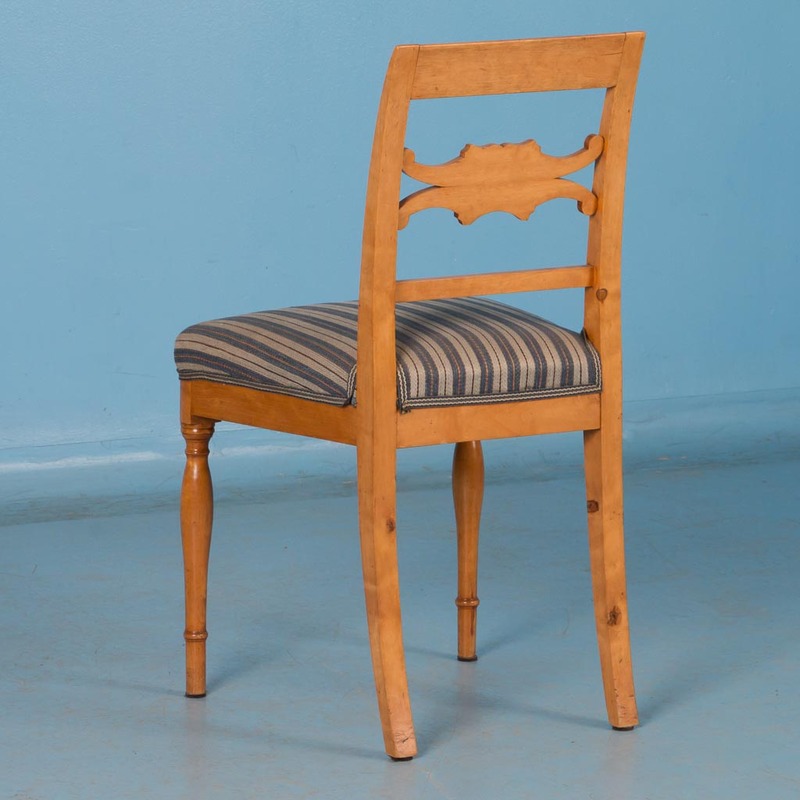 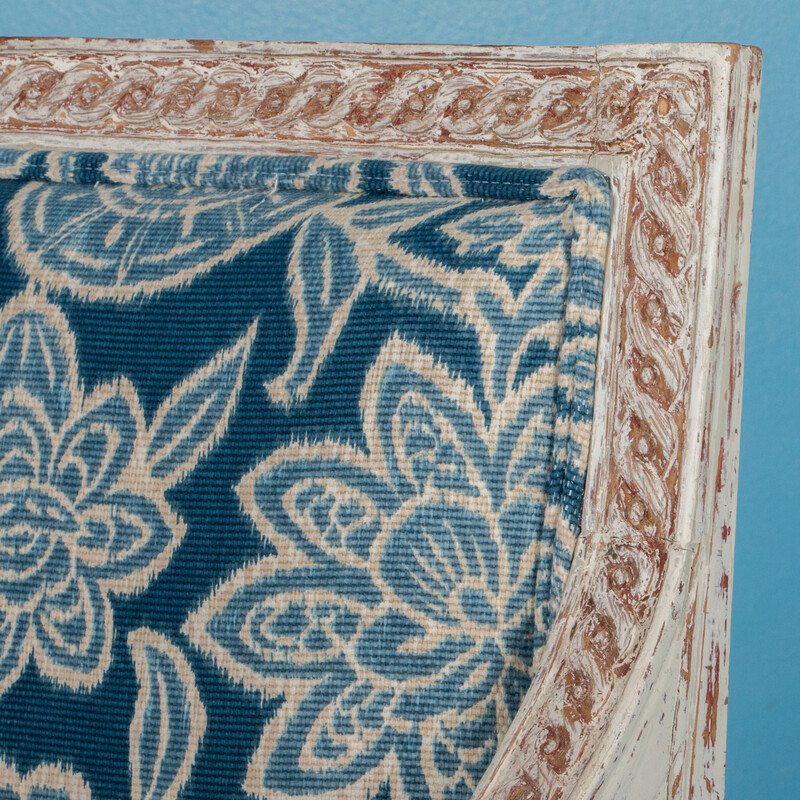 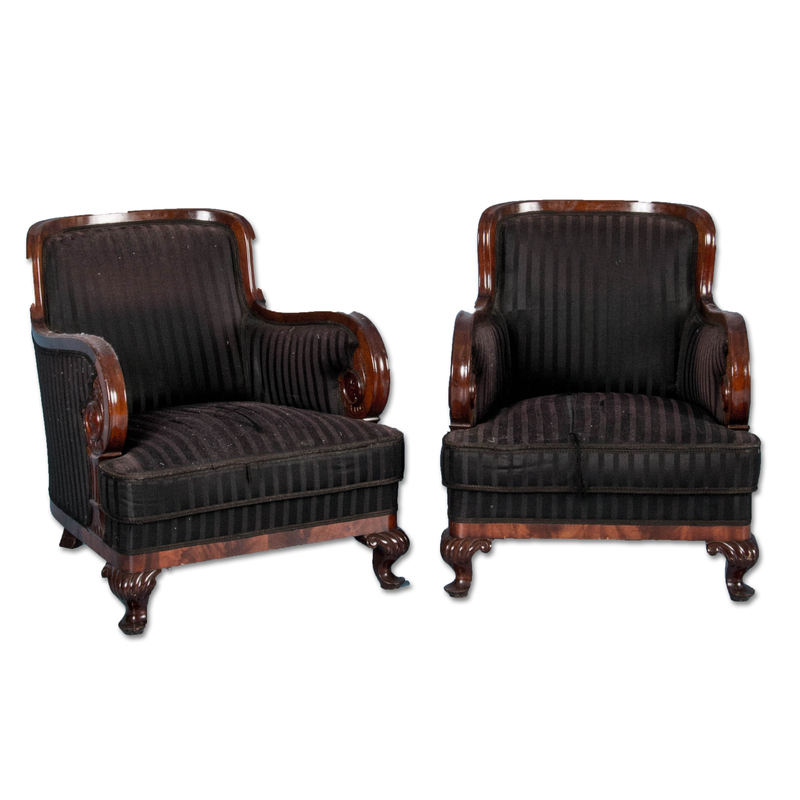 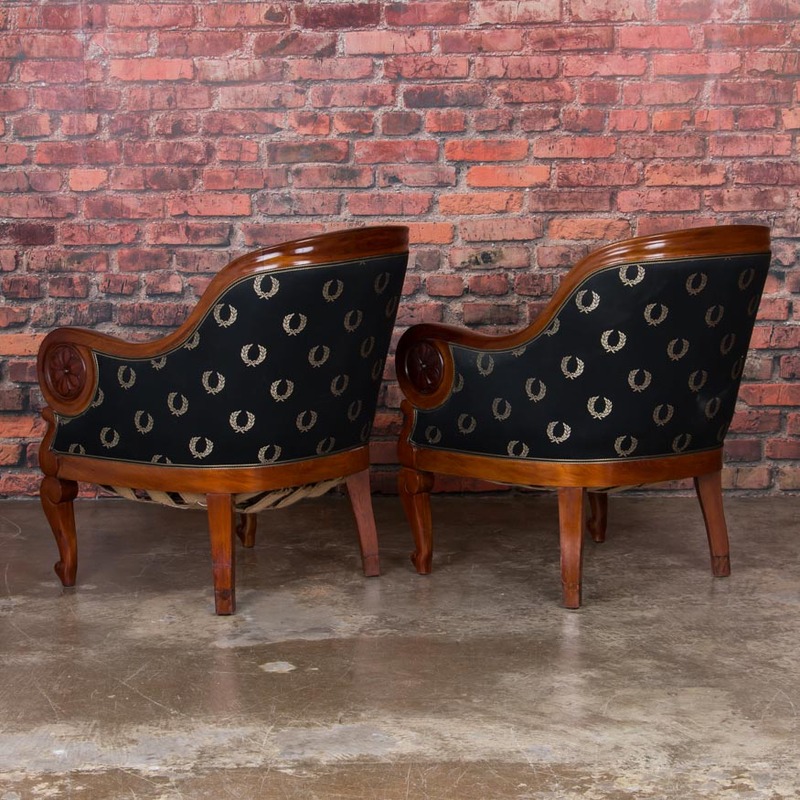 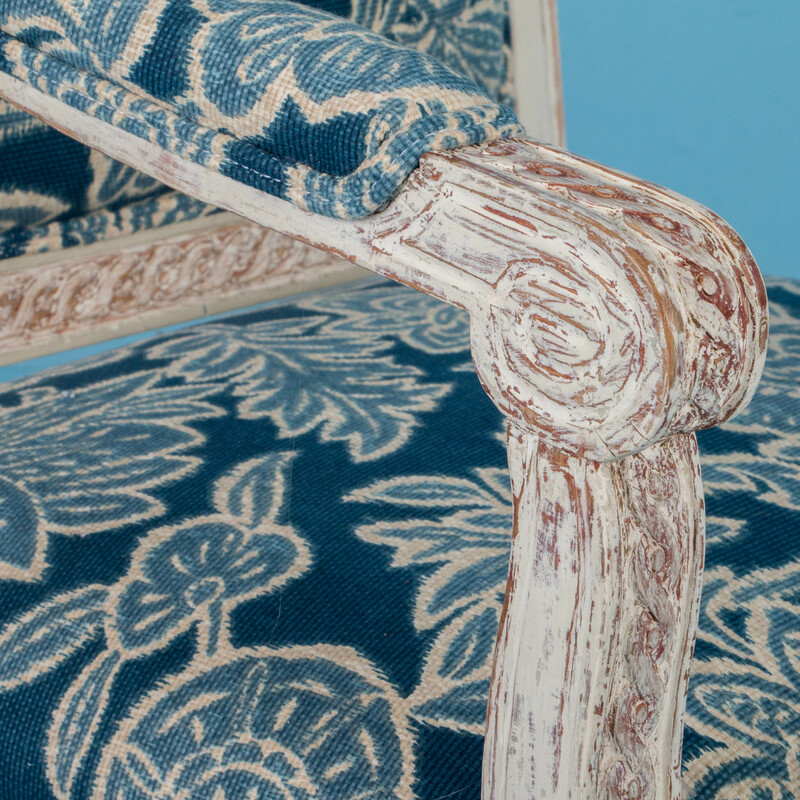 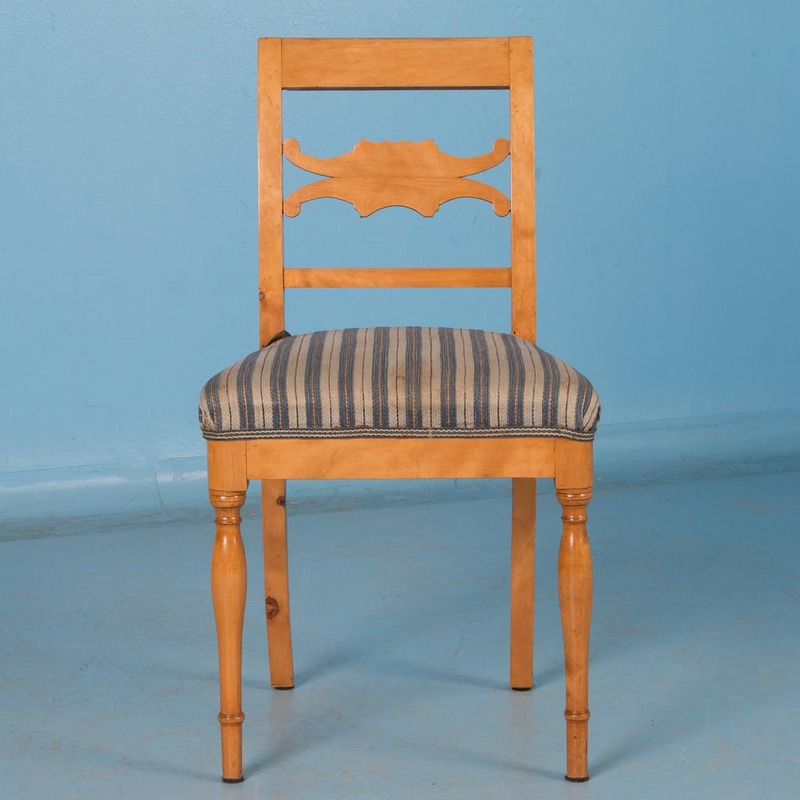 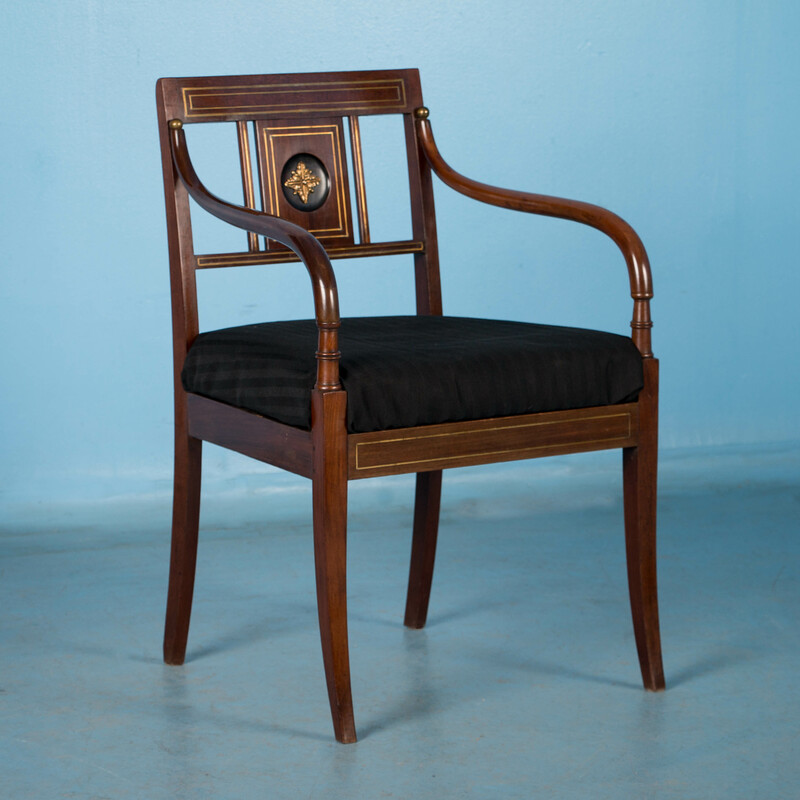 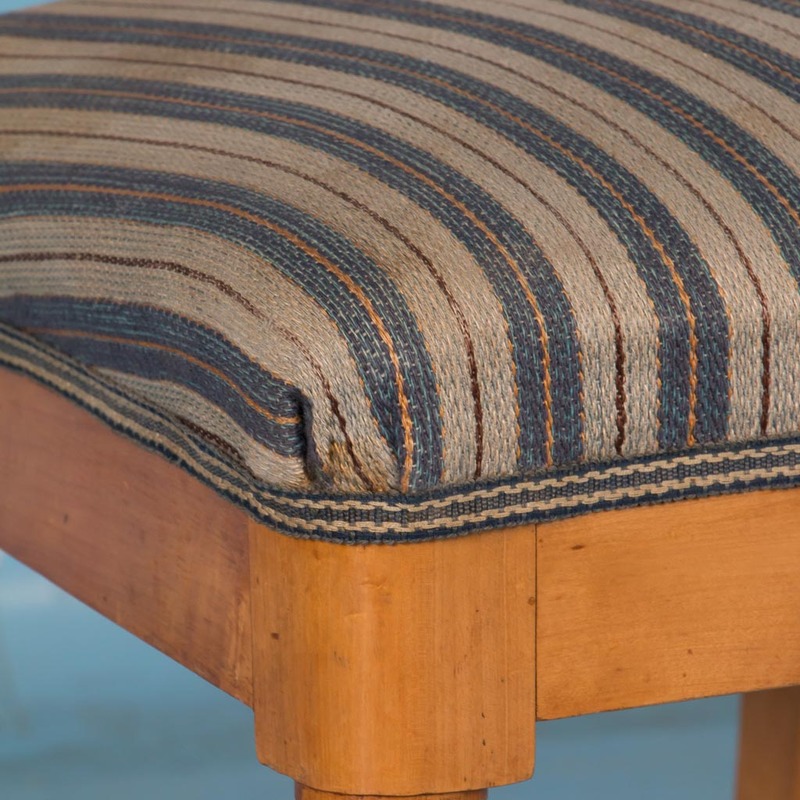 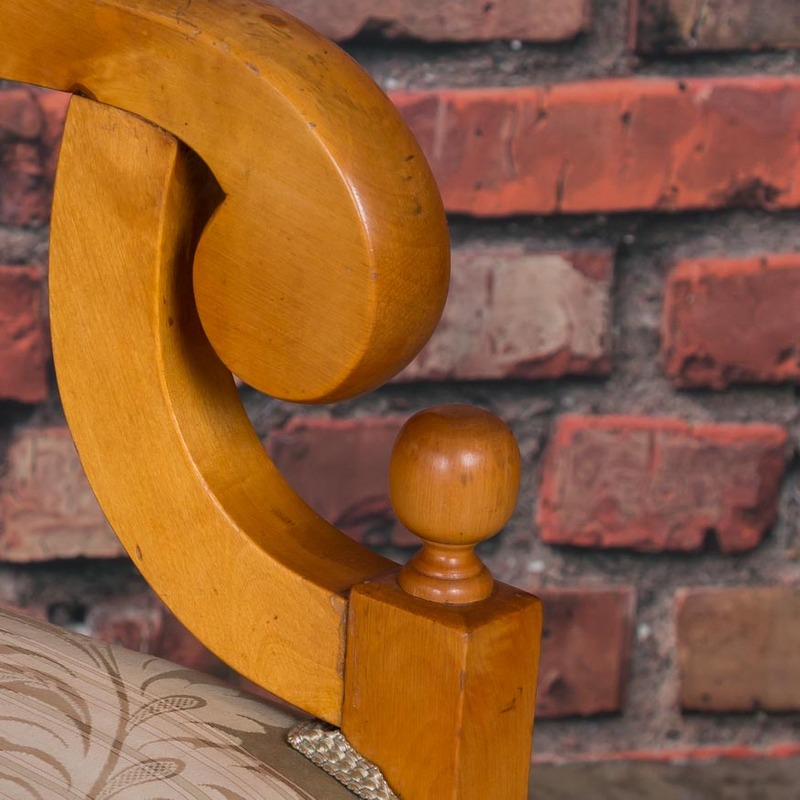 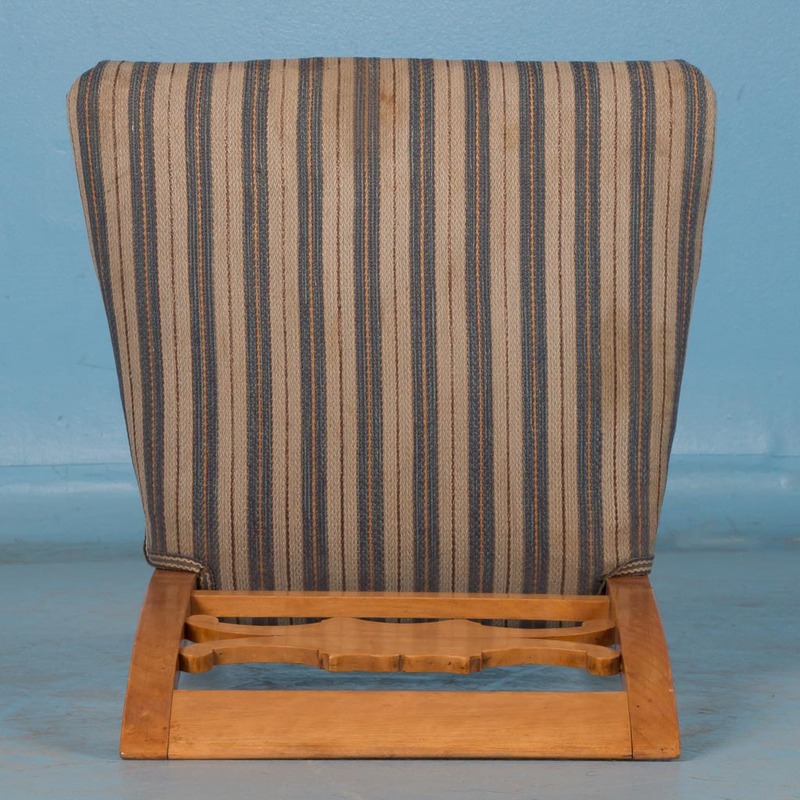 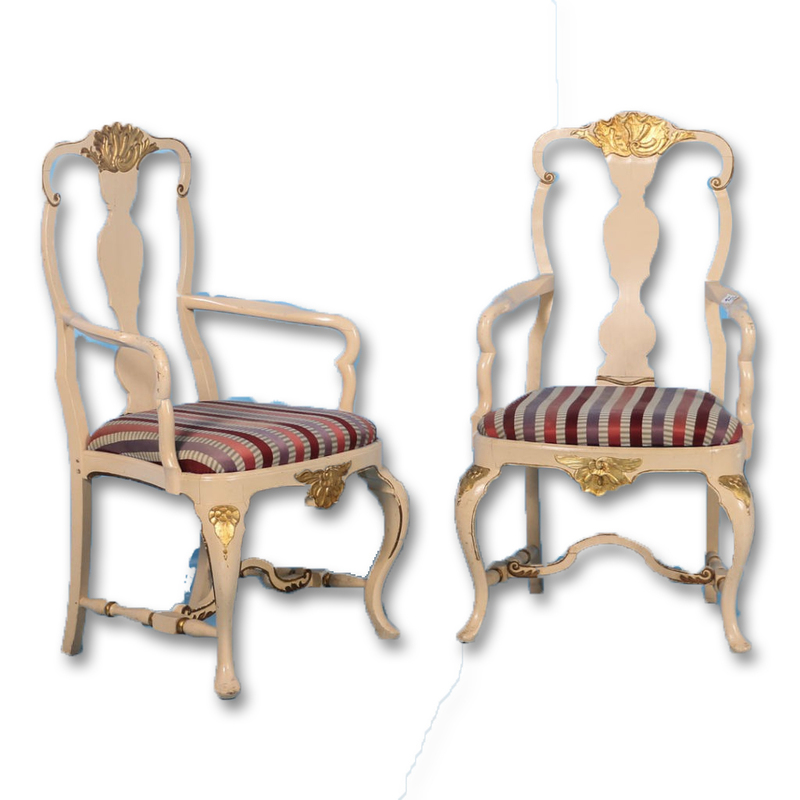 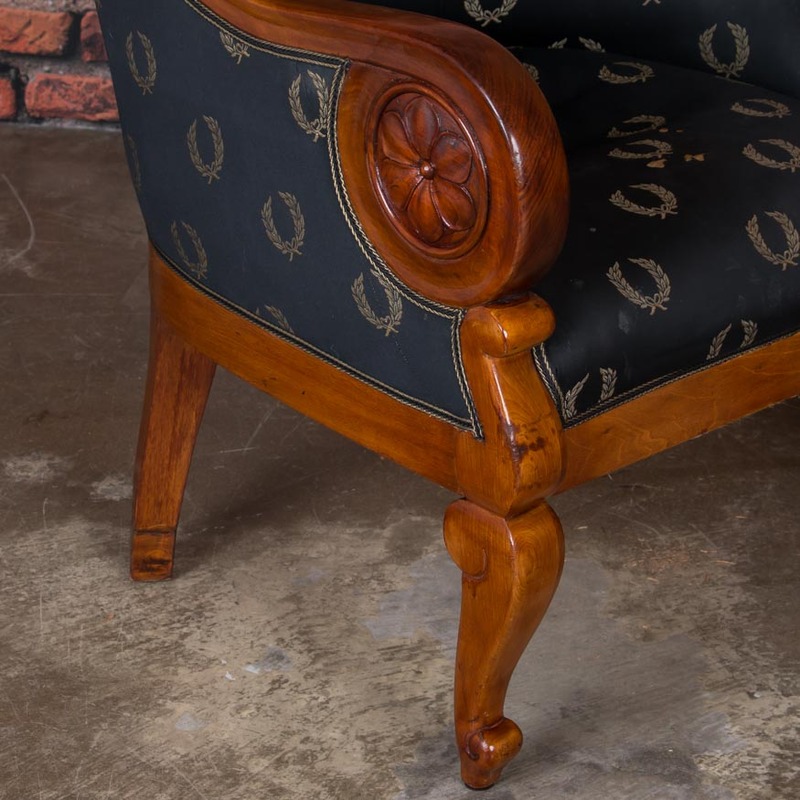 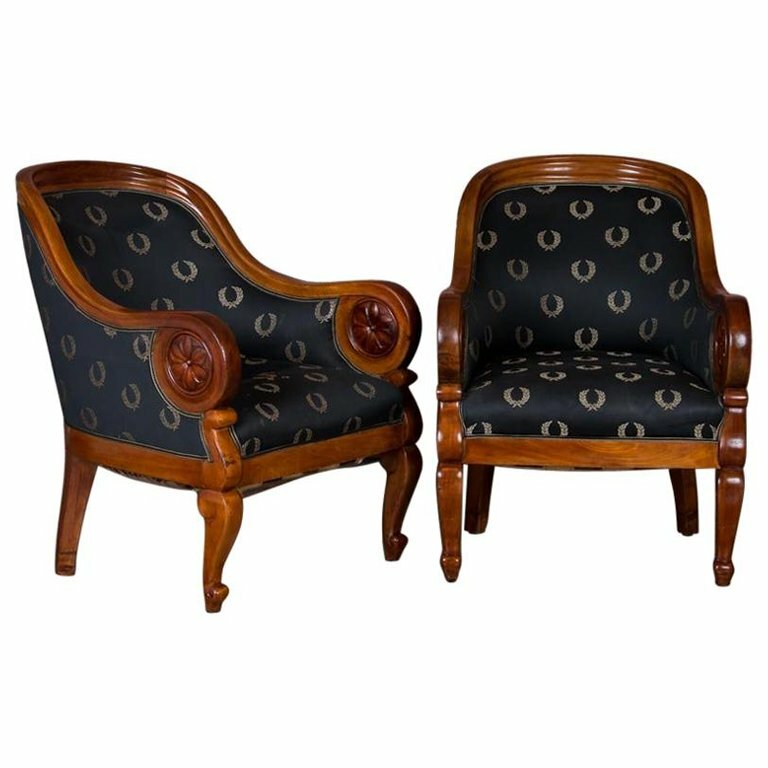 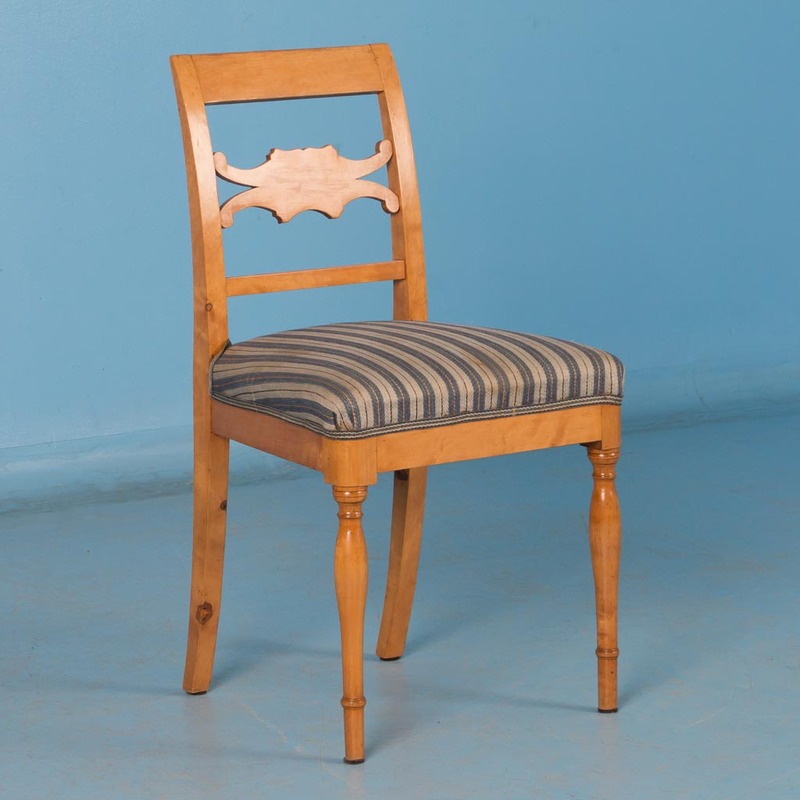 Two very comfortable arm chairs with a deep blue striped upholstery and trimmed with mahogany along the back and including the scrolled arms, cabriole legs and apron. 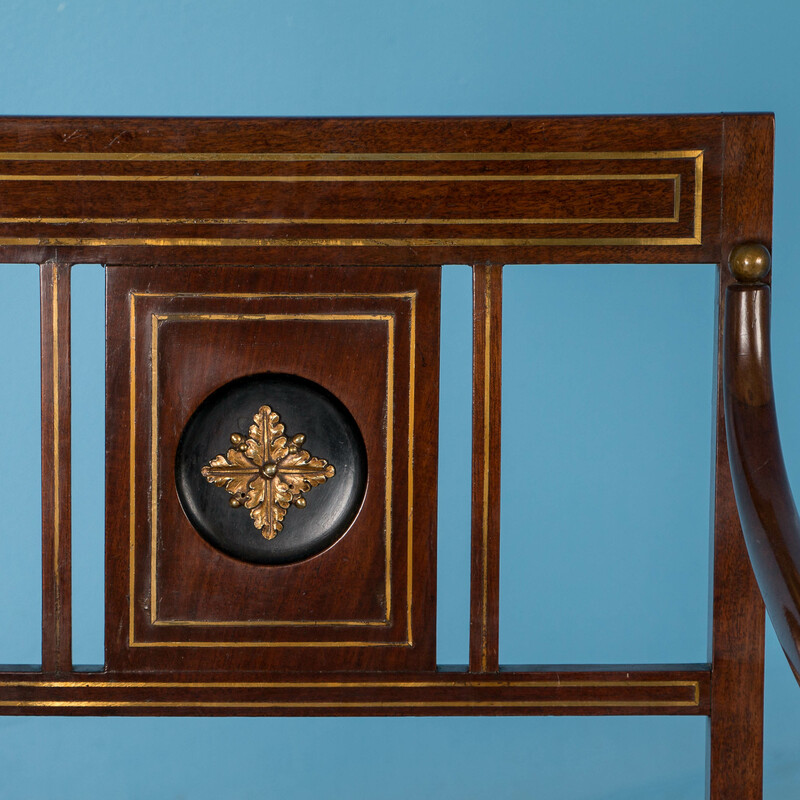 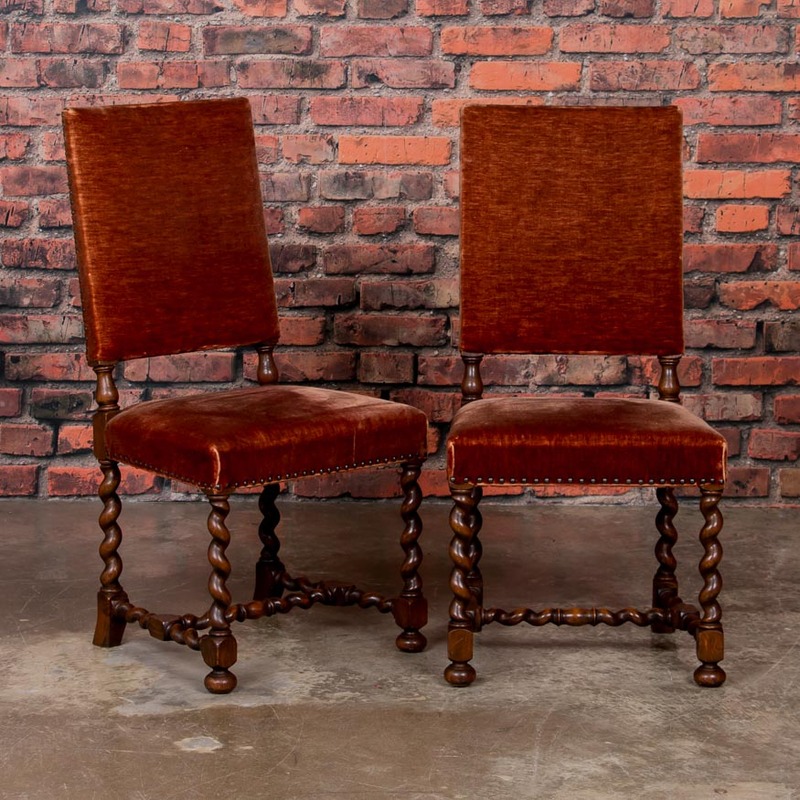 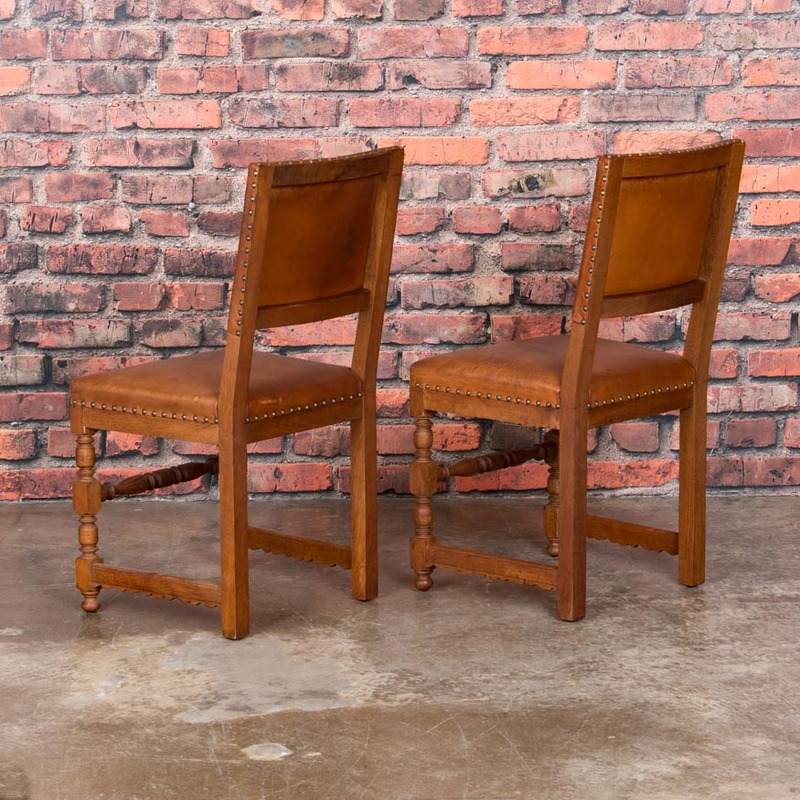 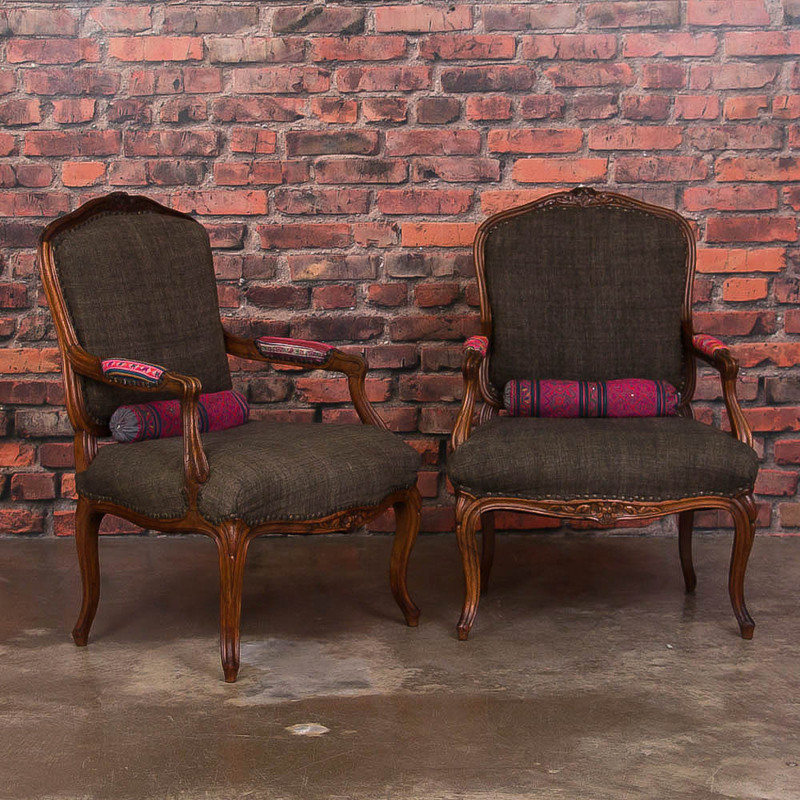 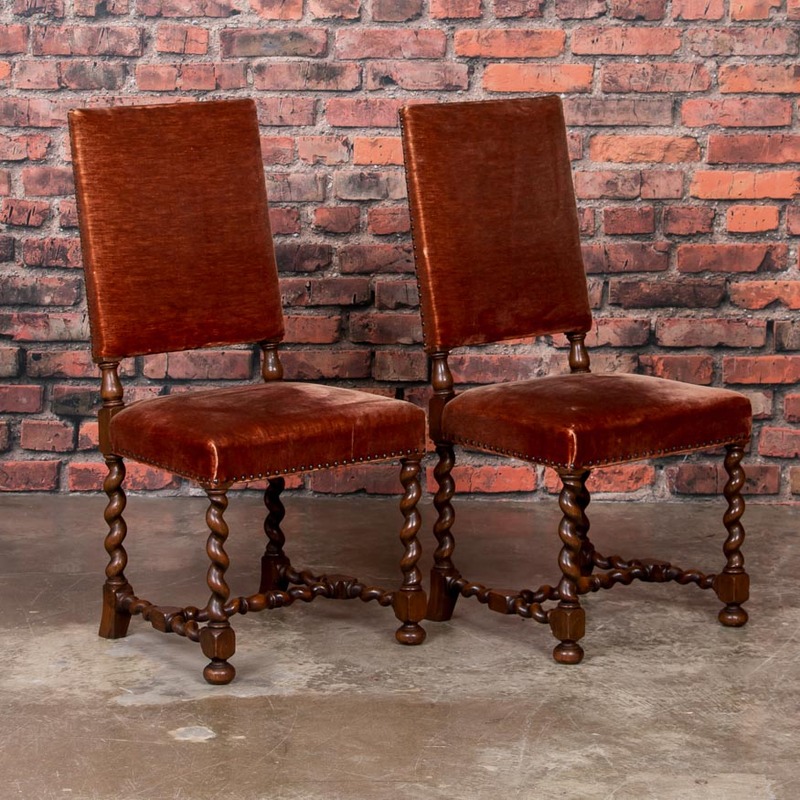 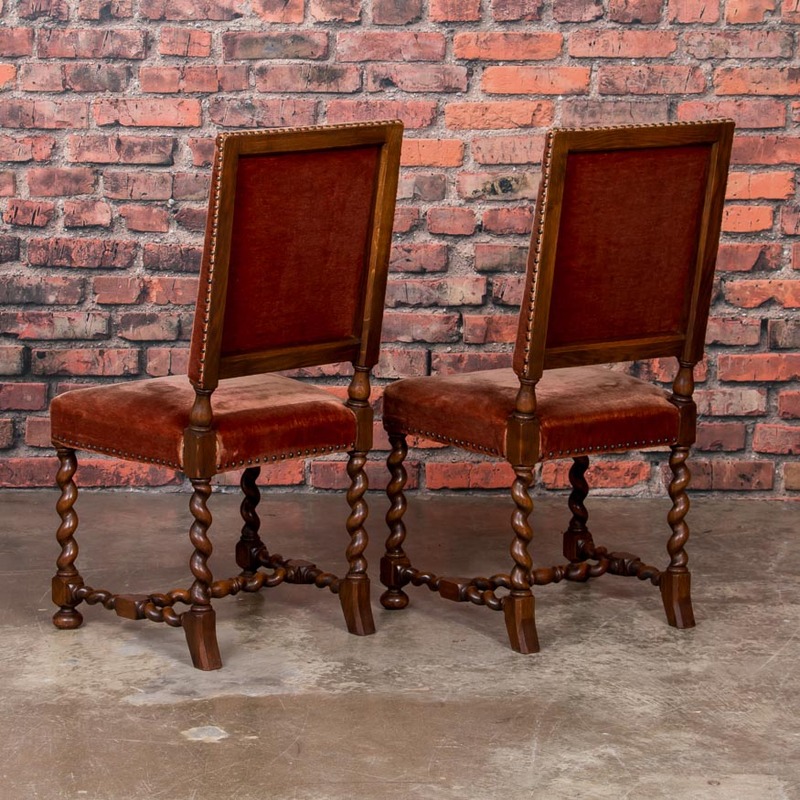 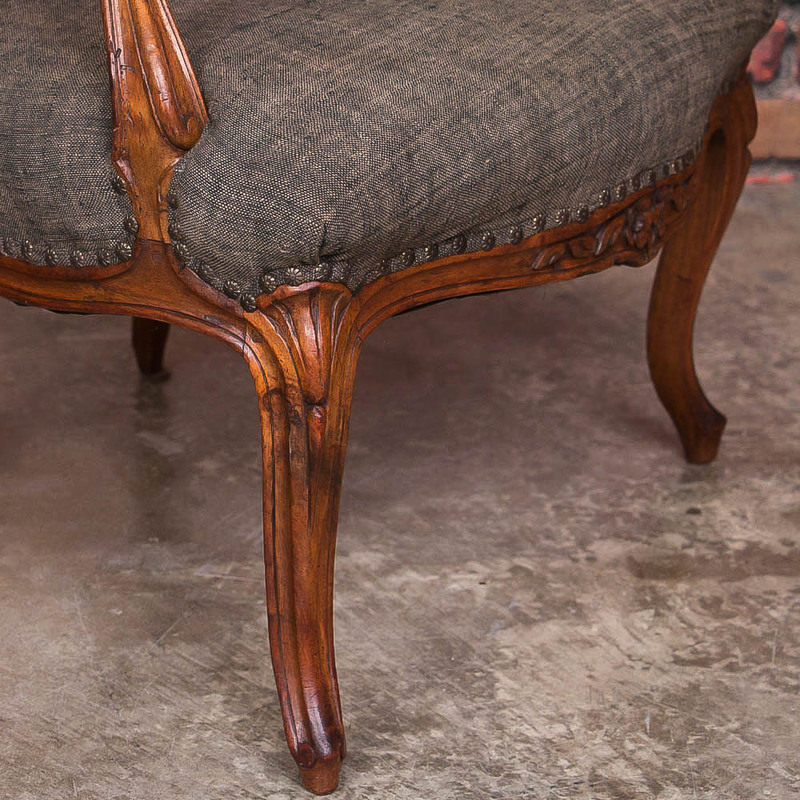 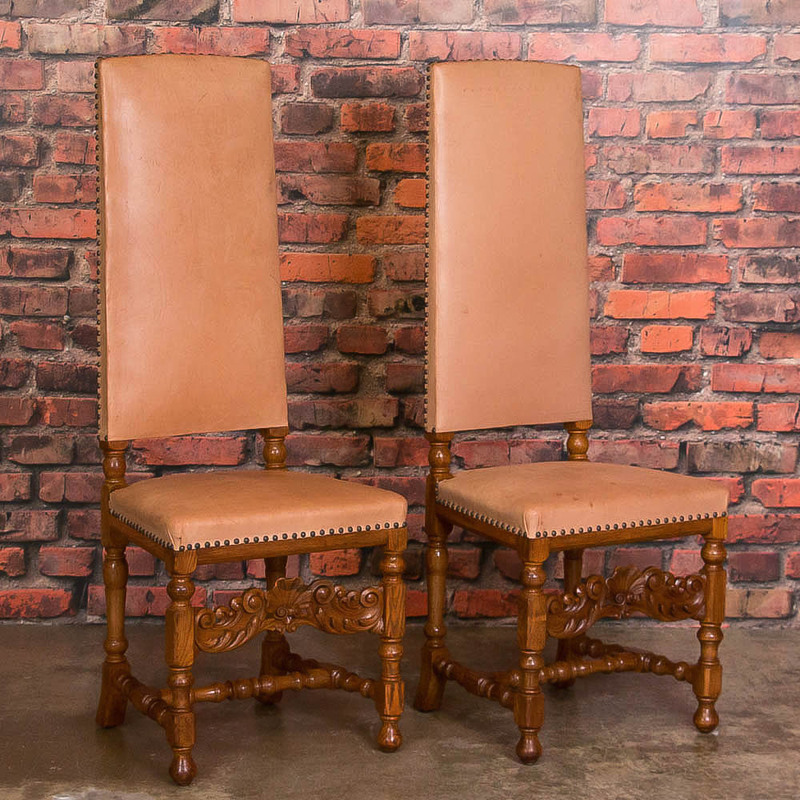 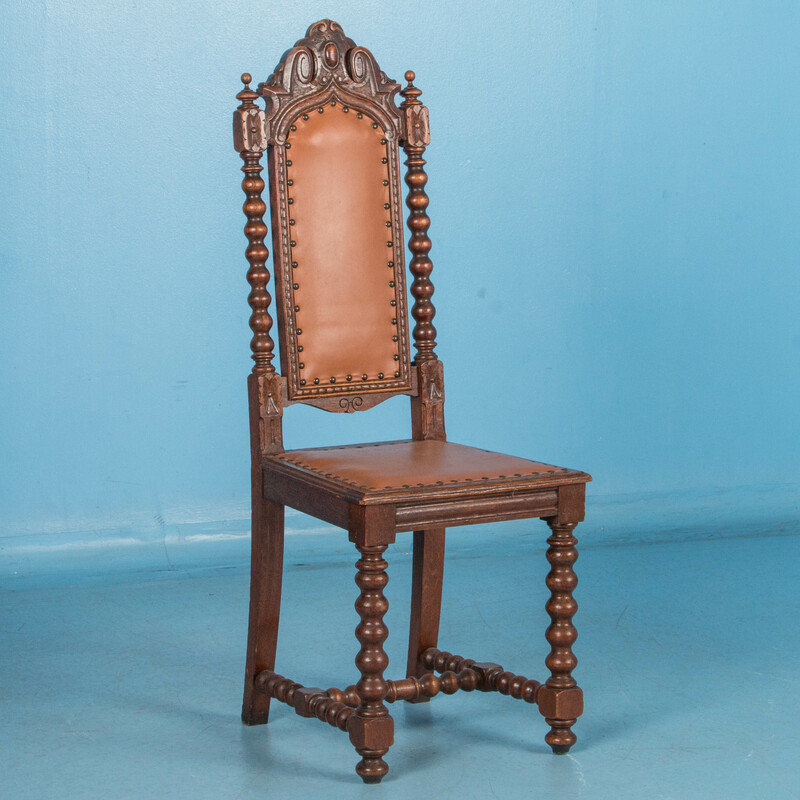 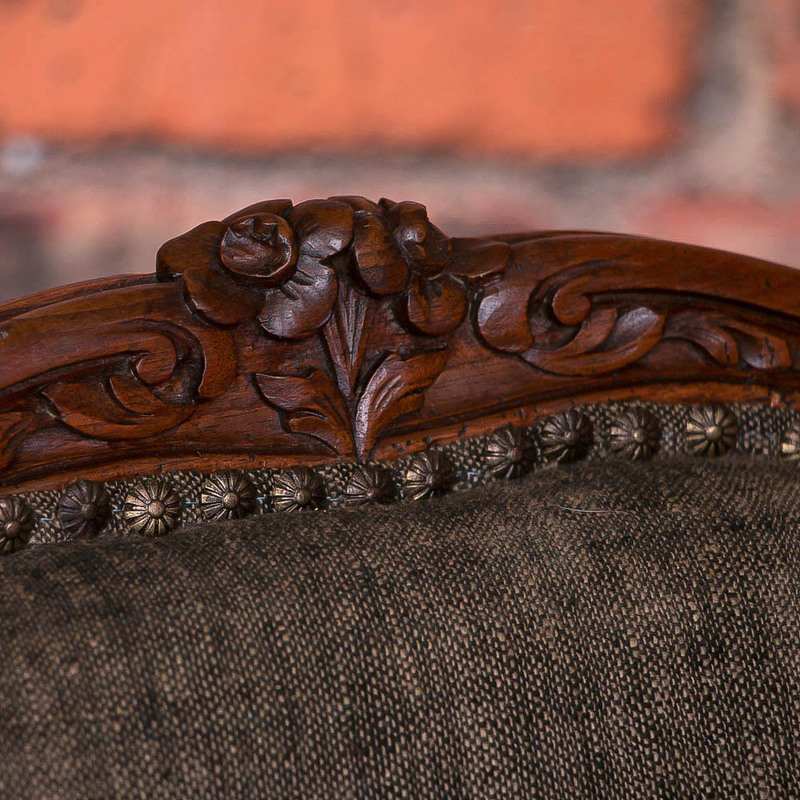 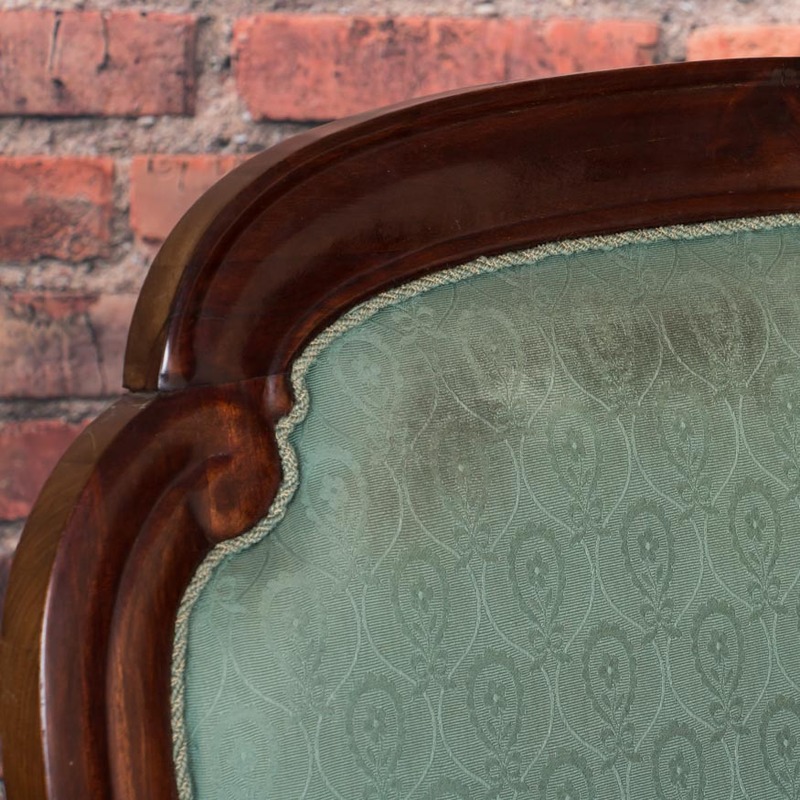 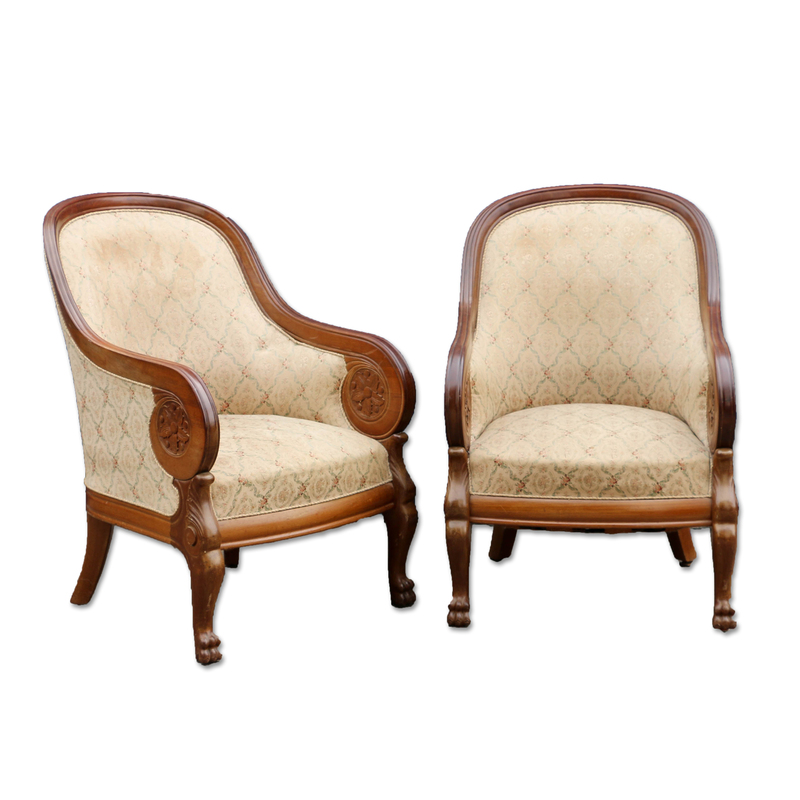 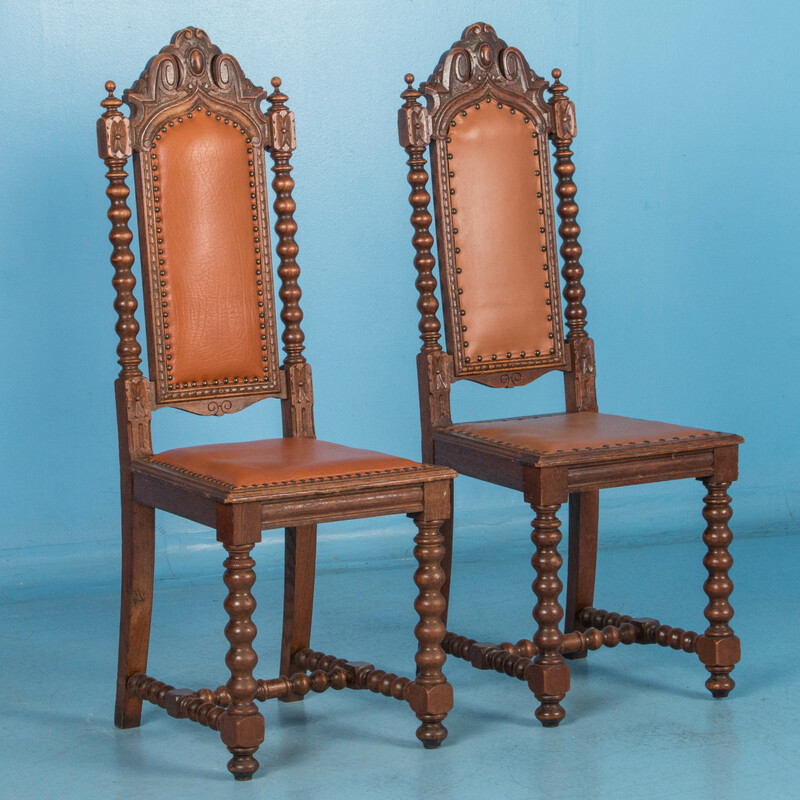 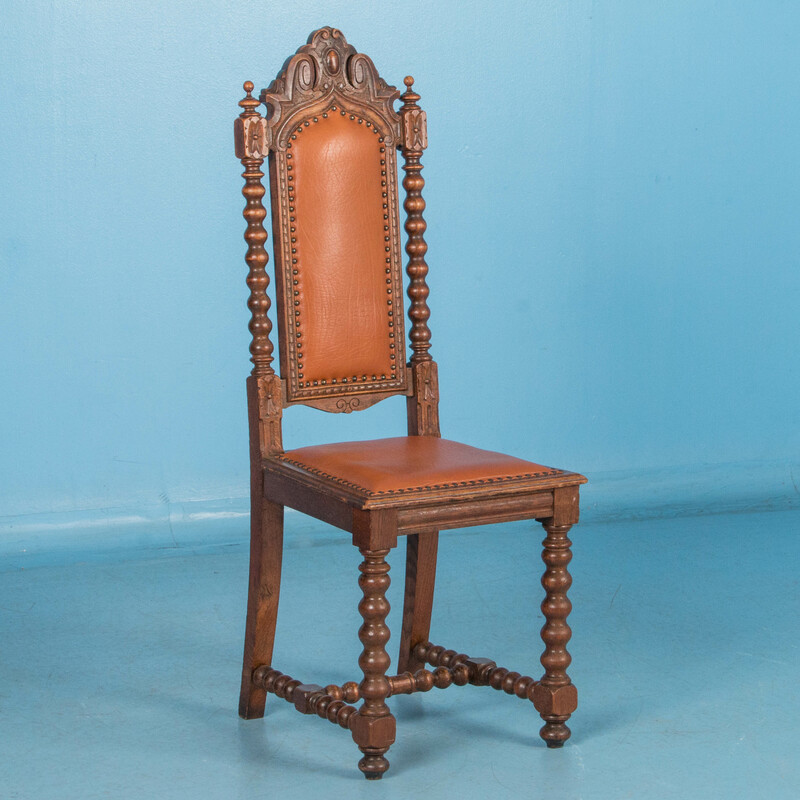 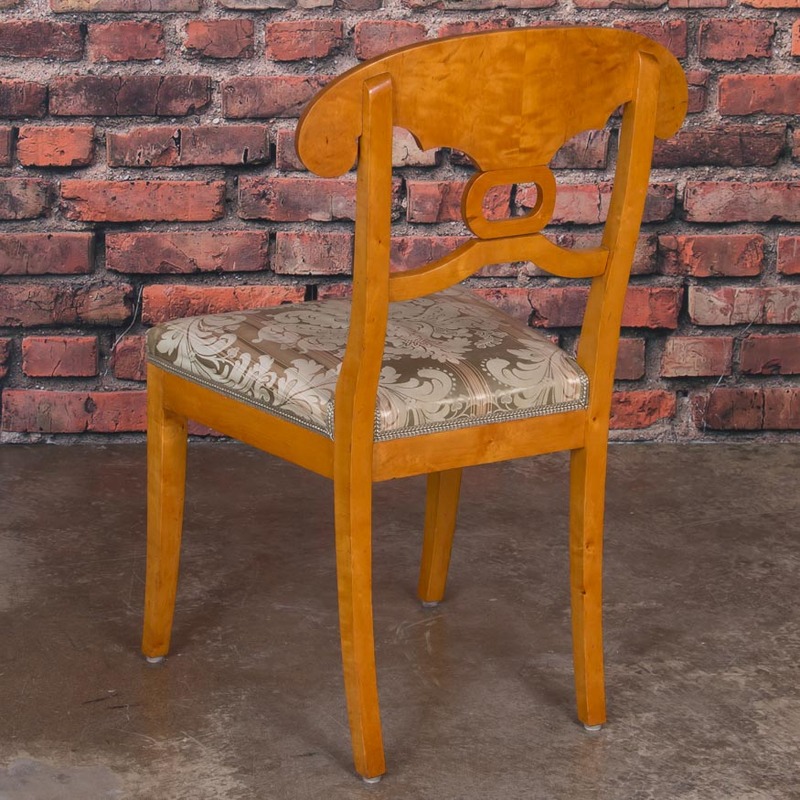 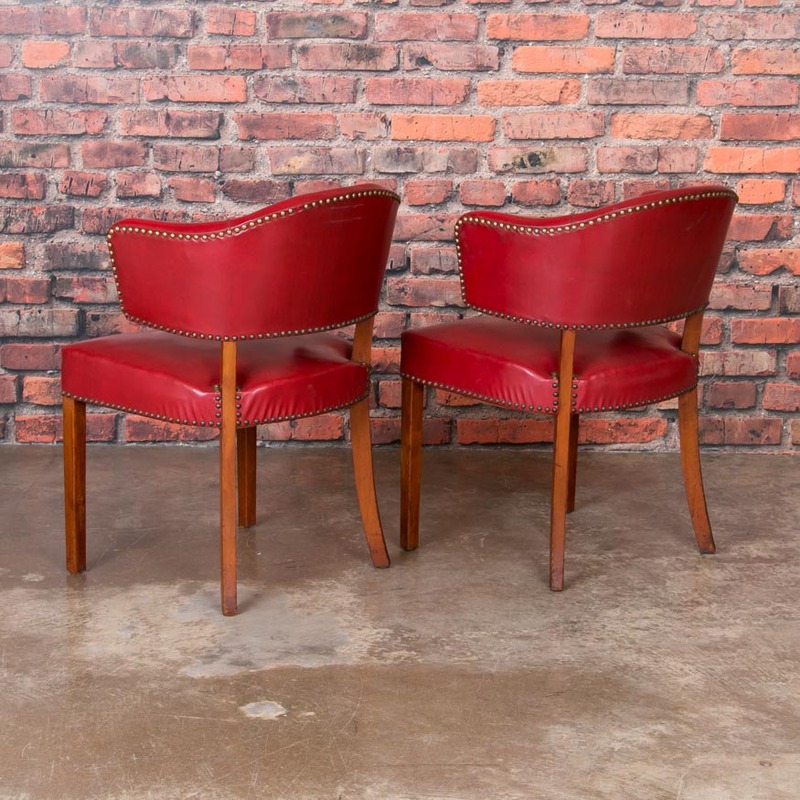 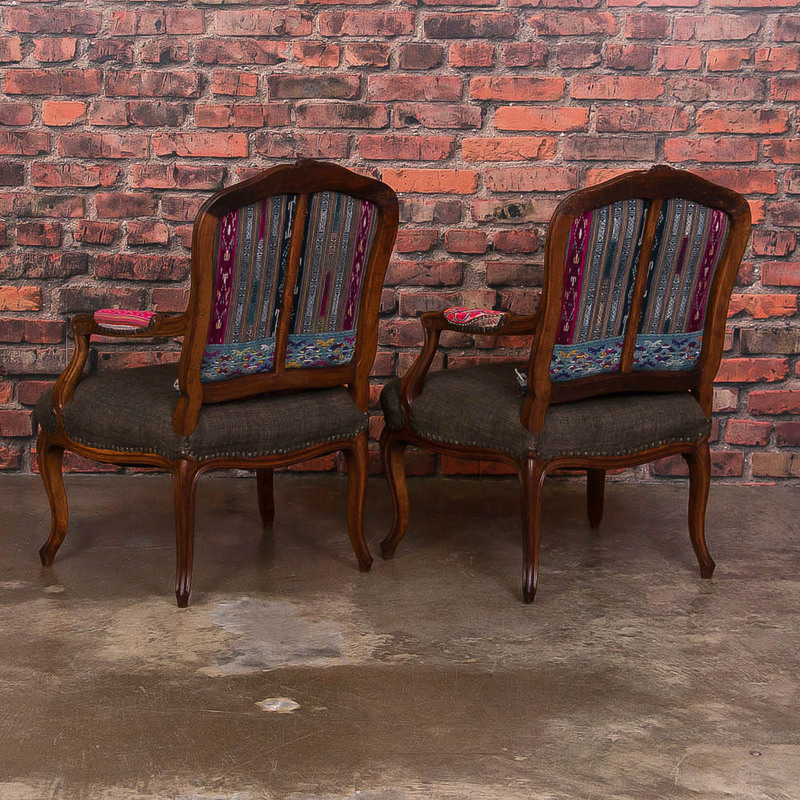 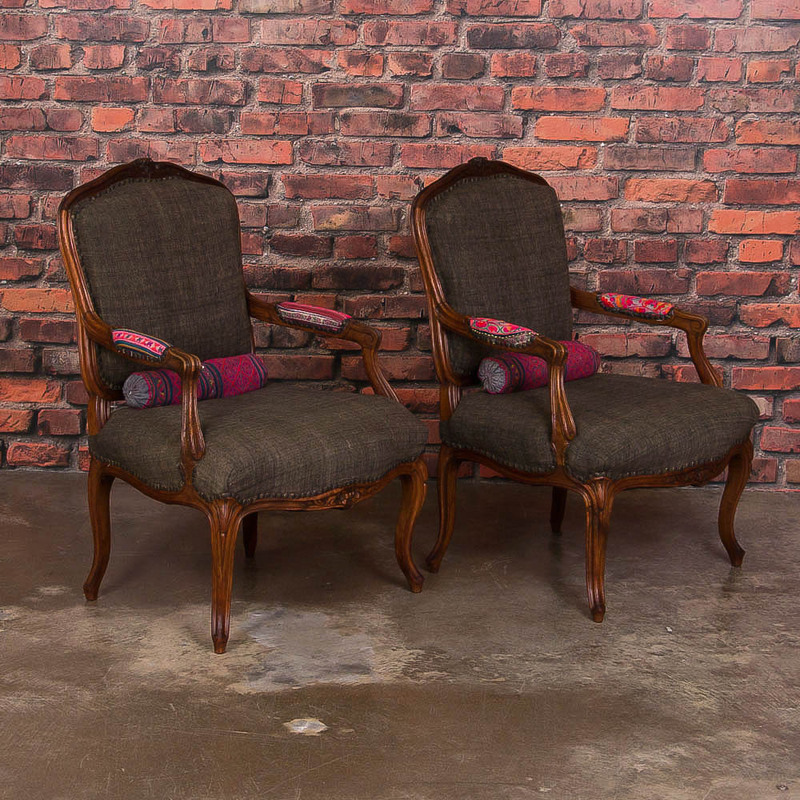 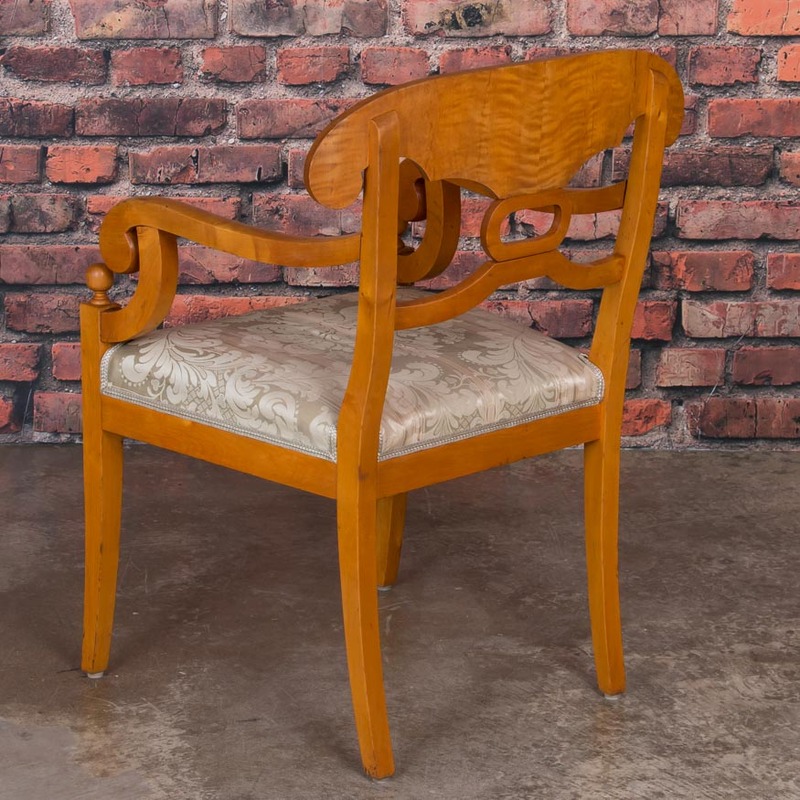 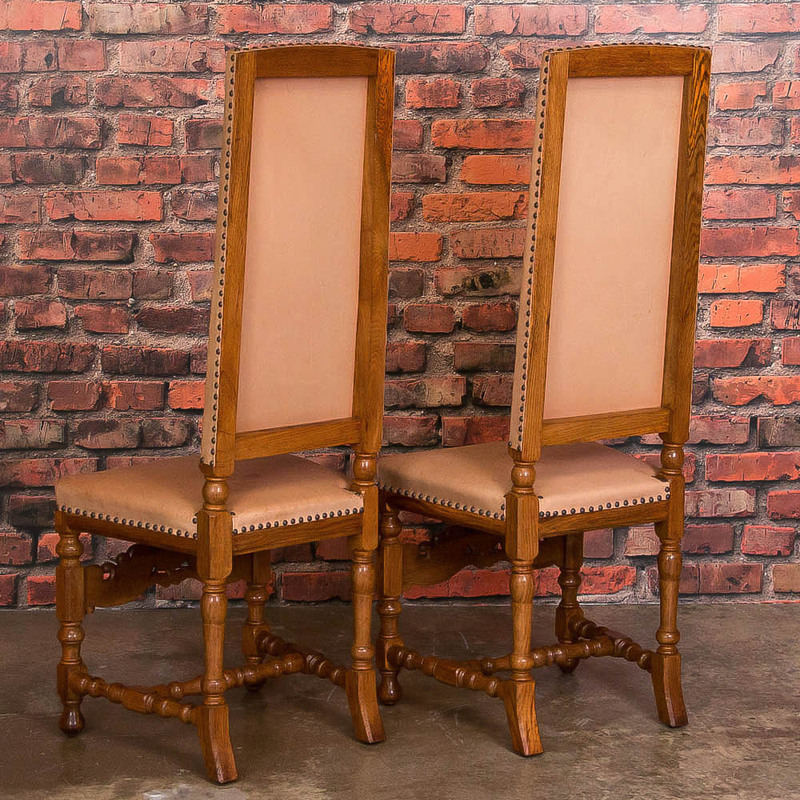 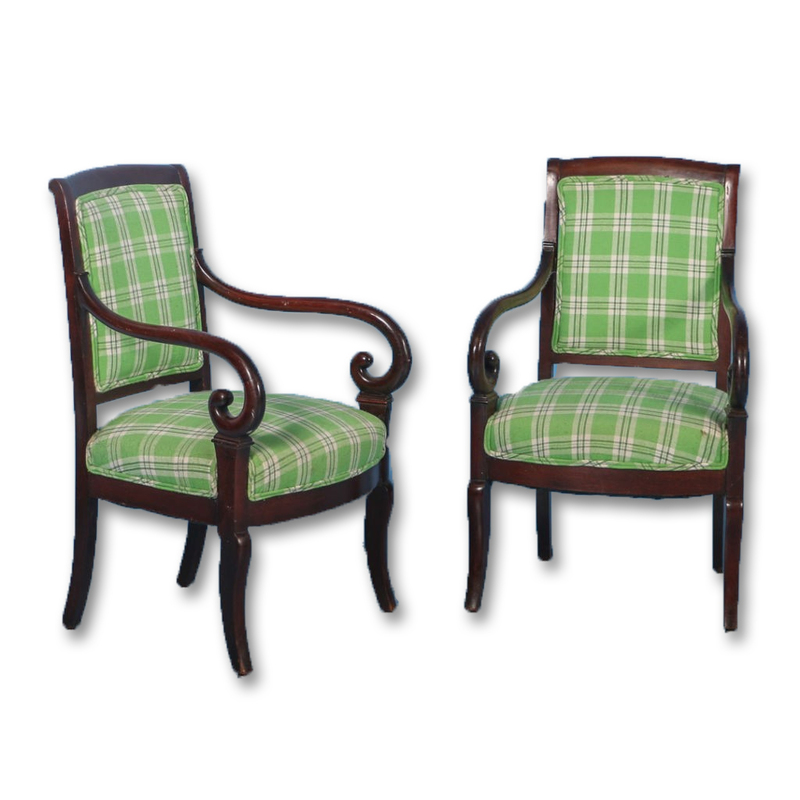 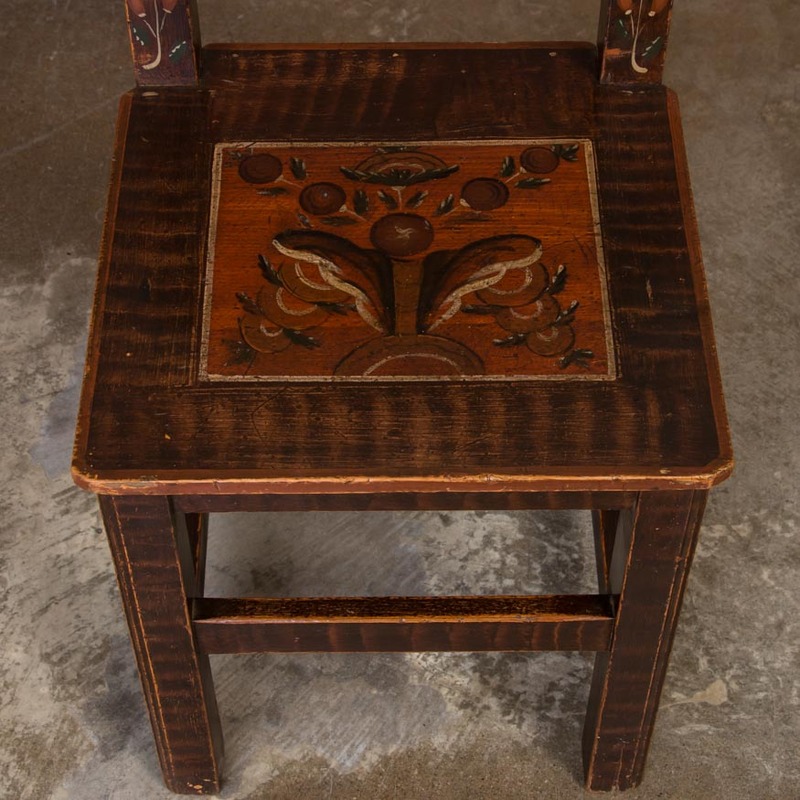 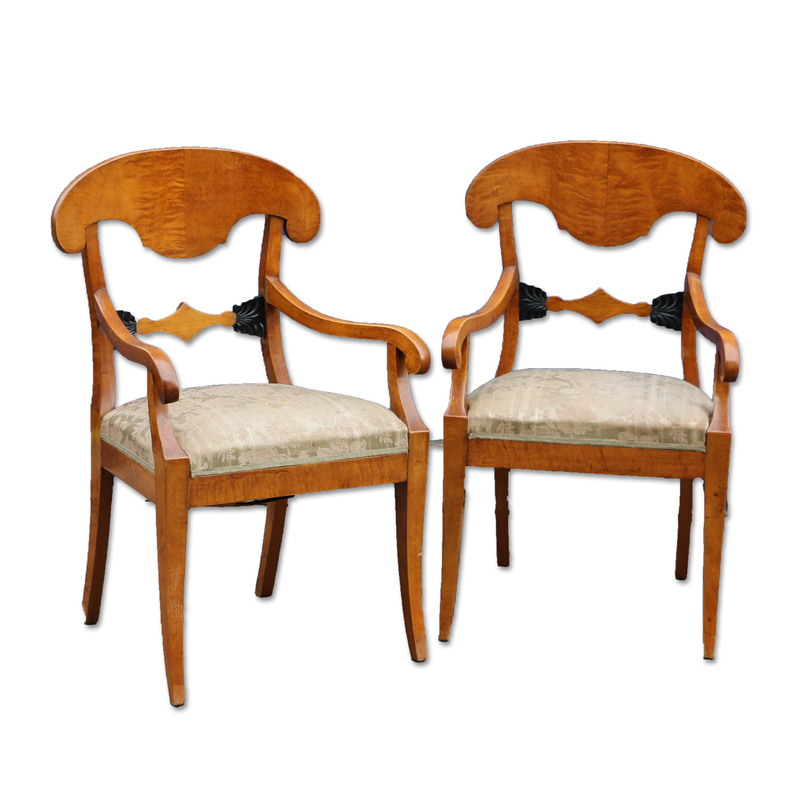 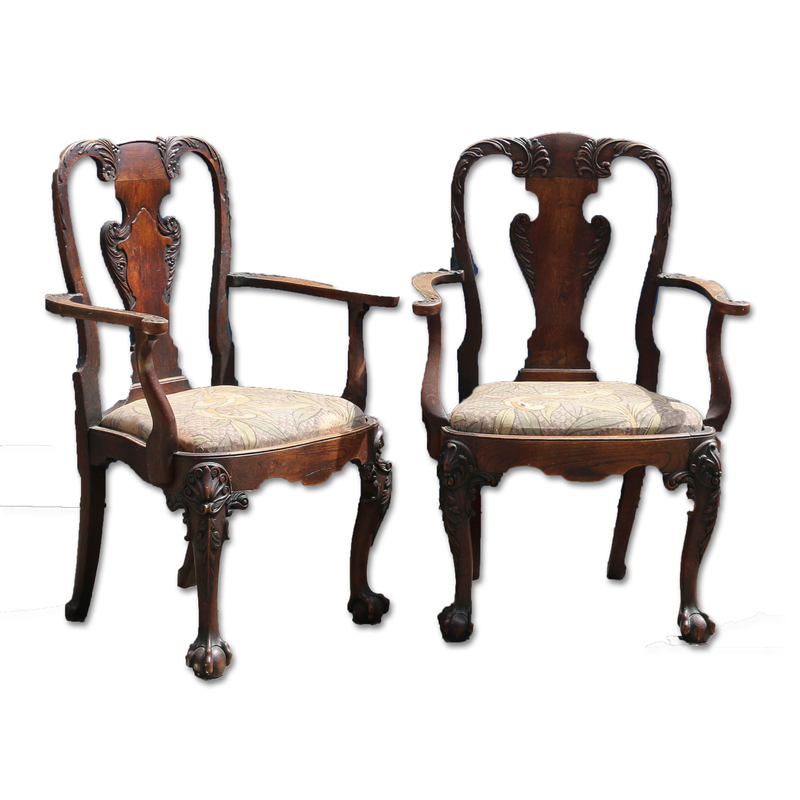 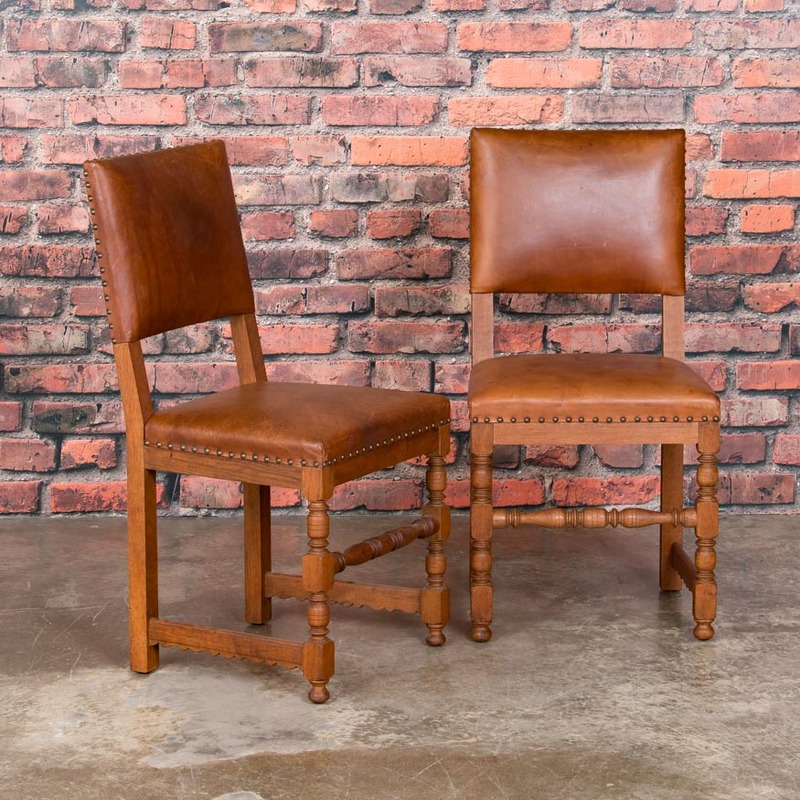 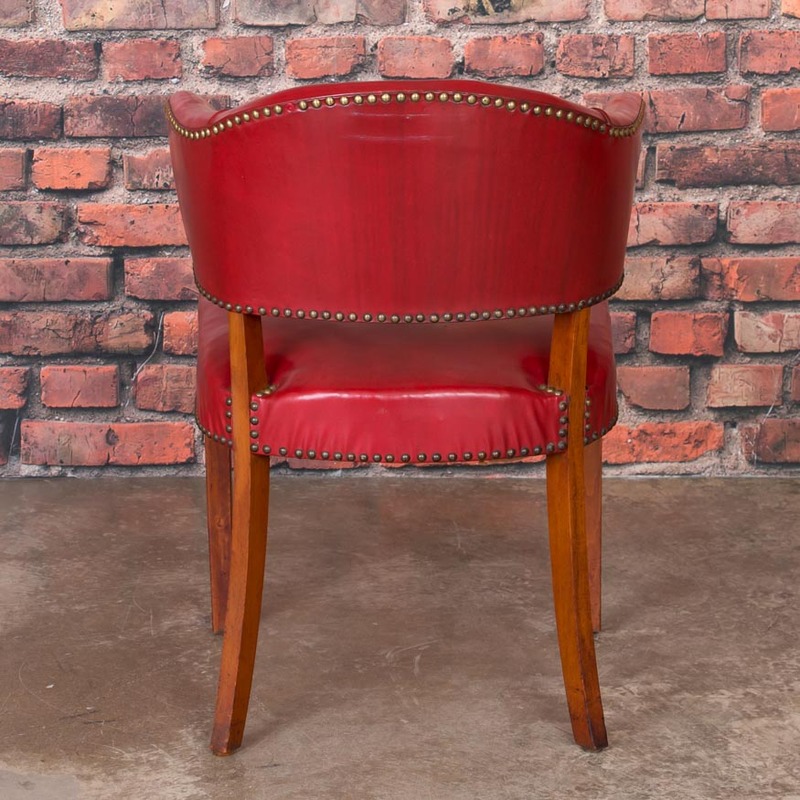 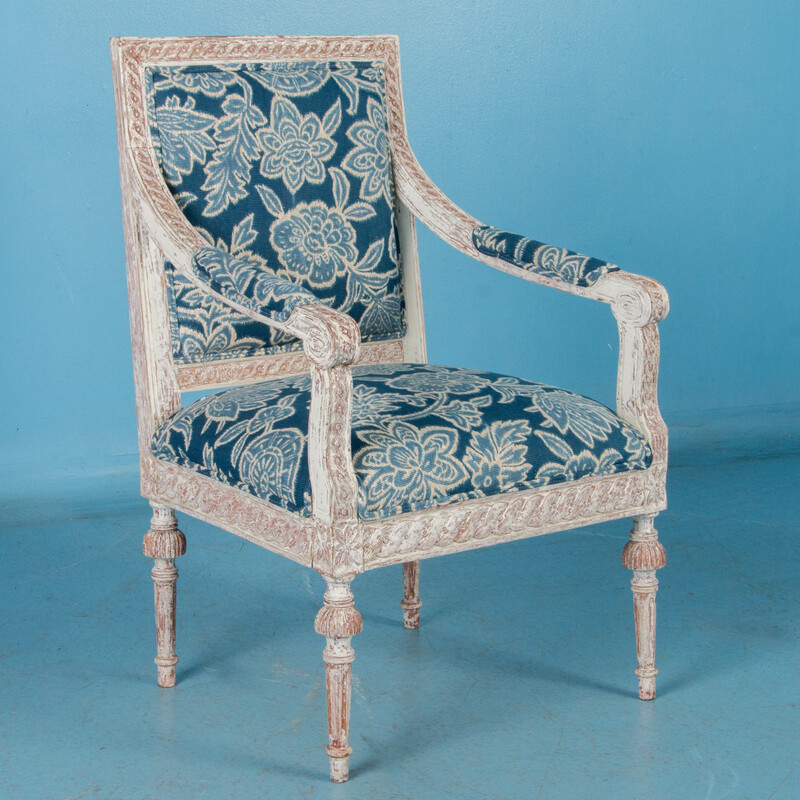 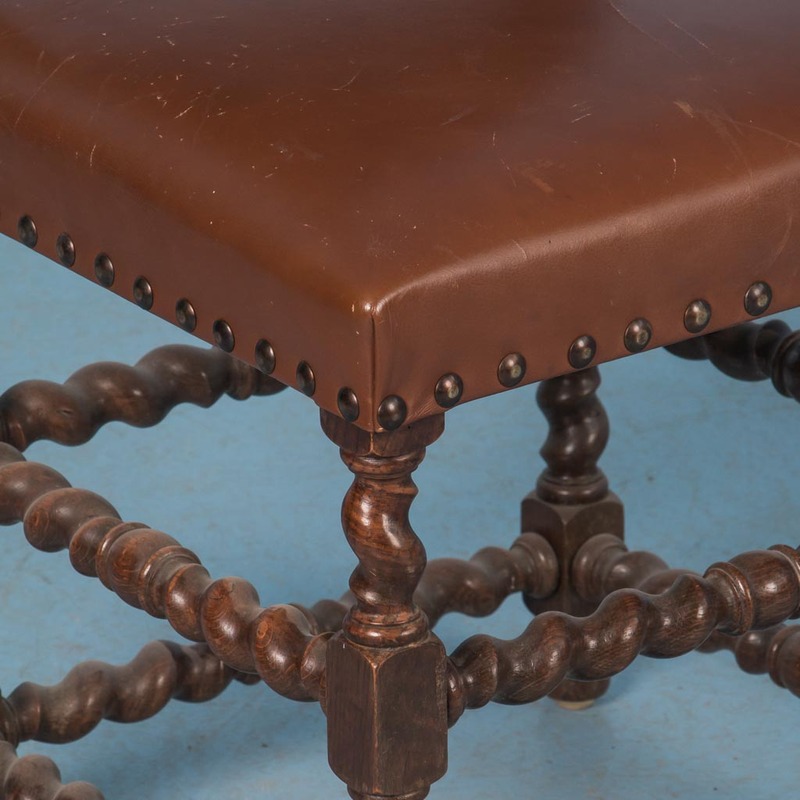 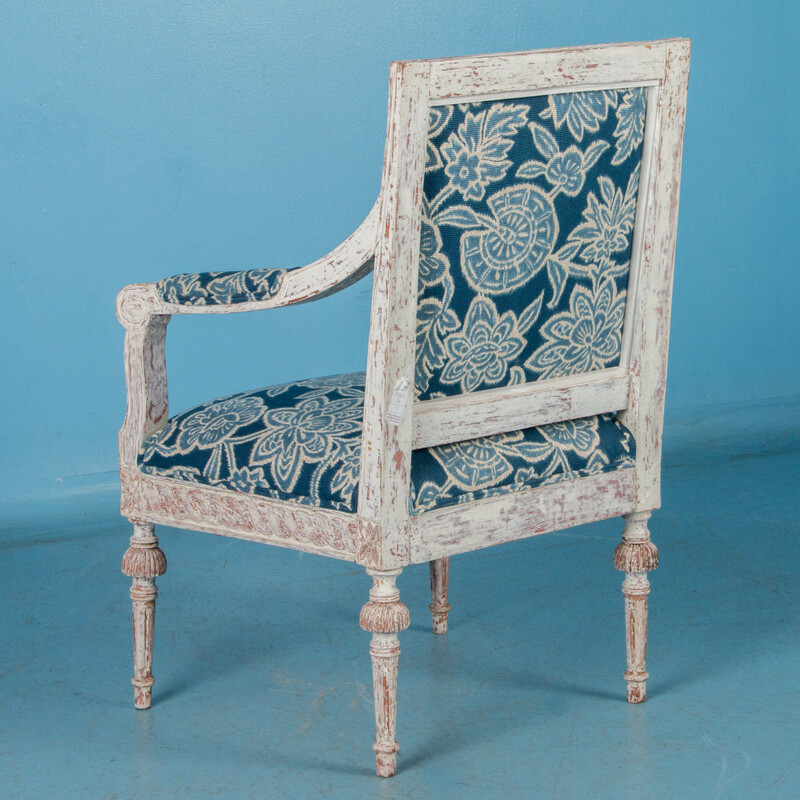 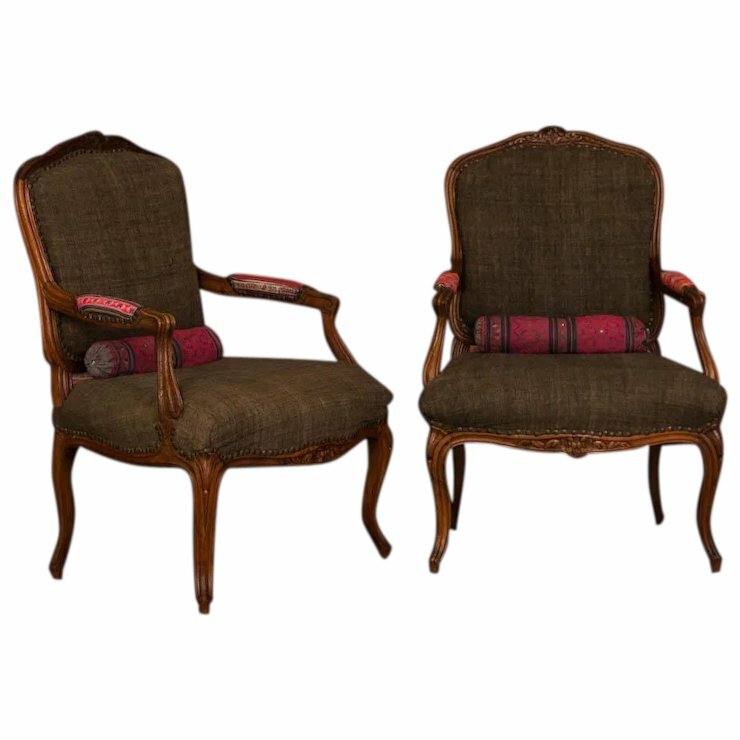 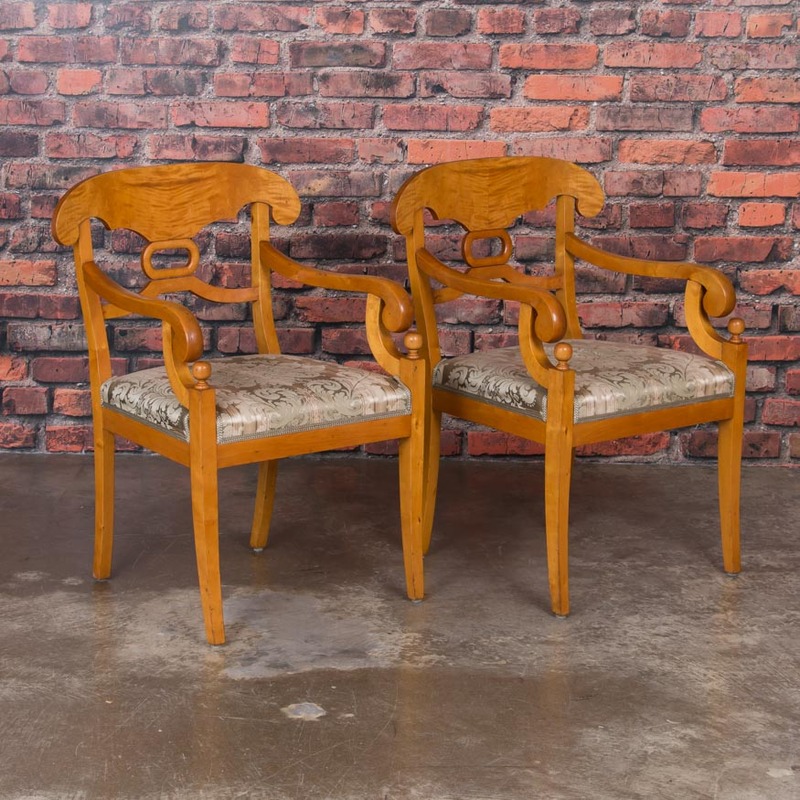 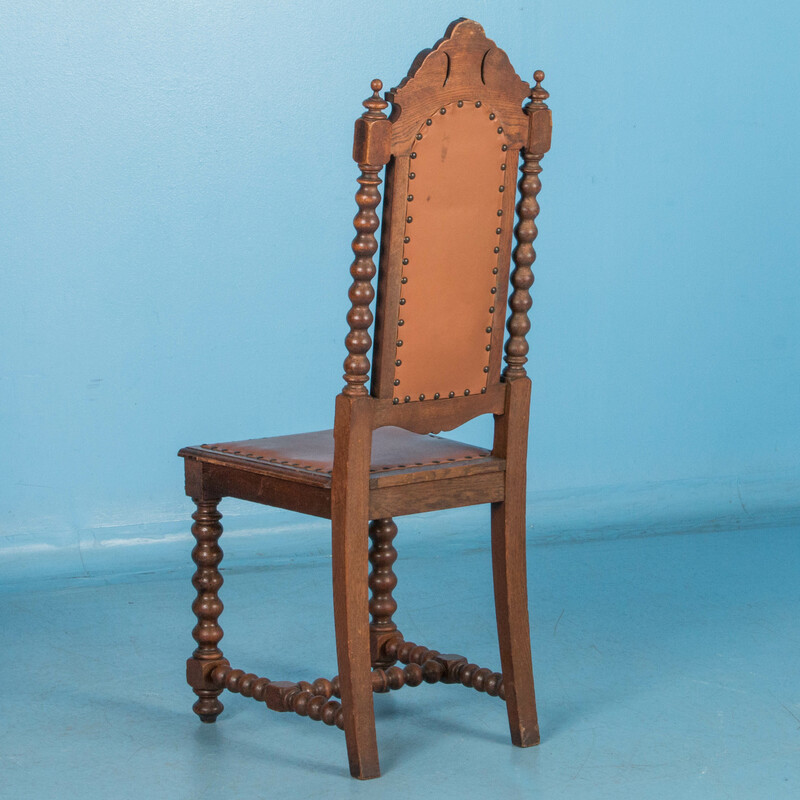 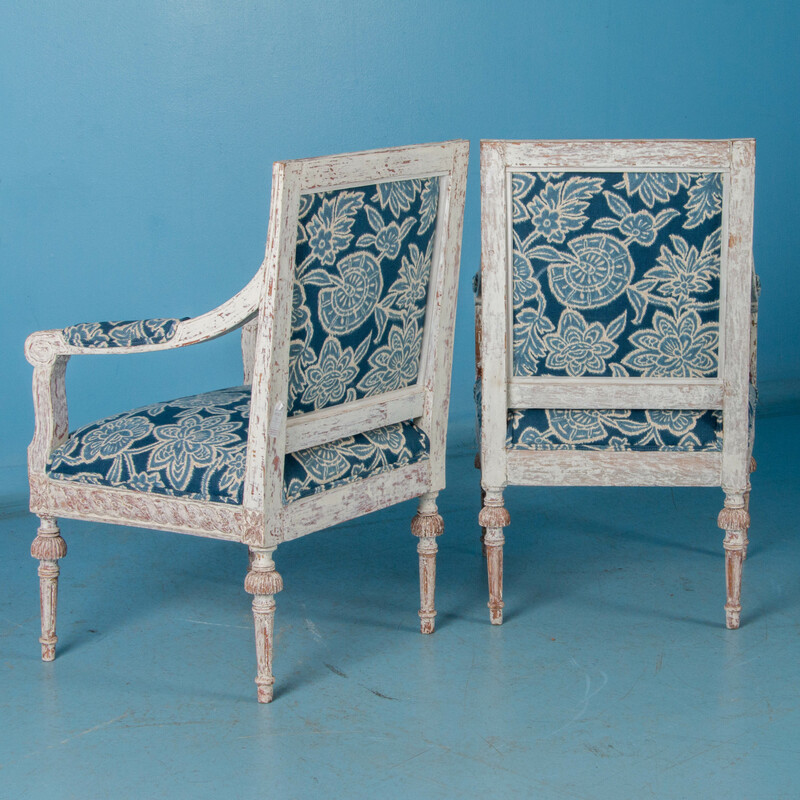 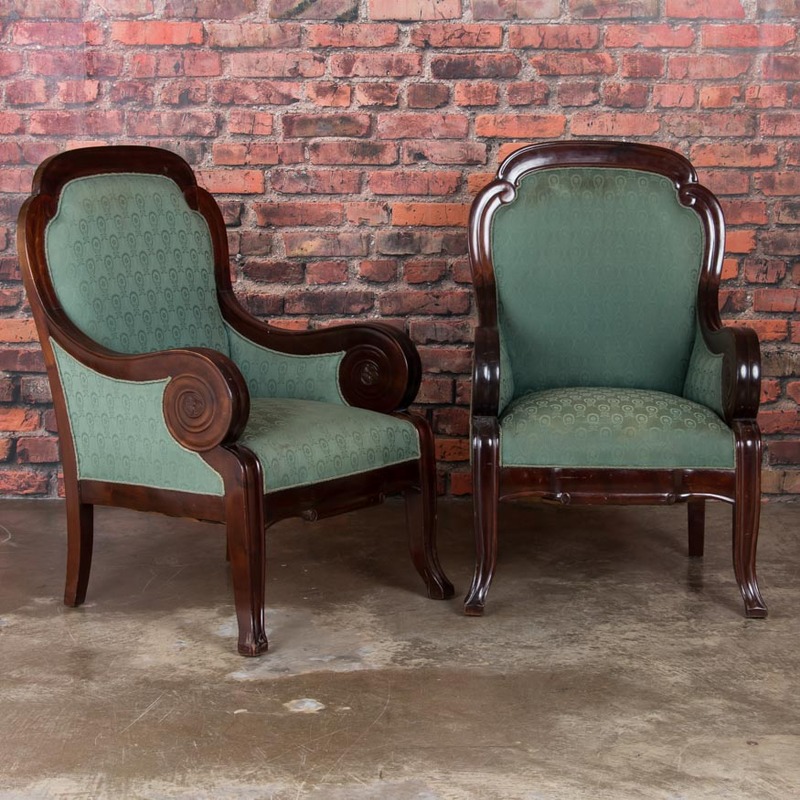 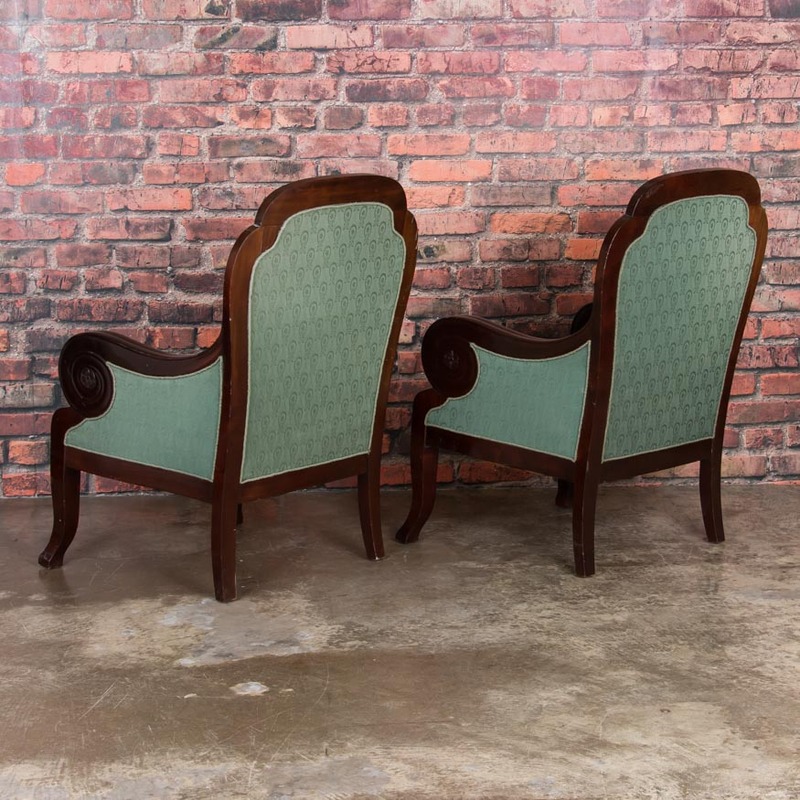 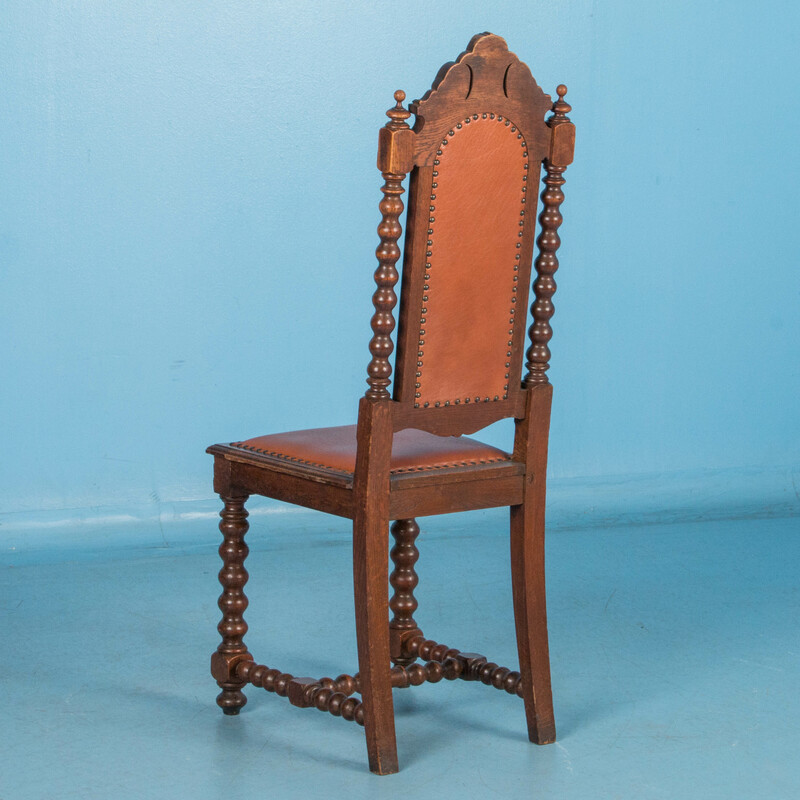 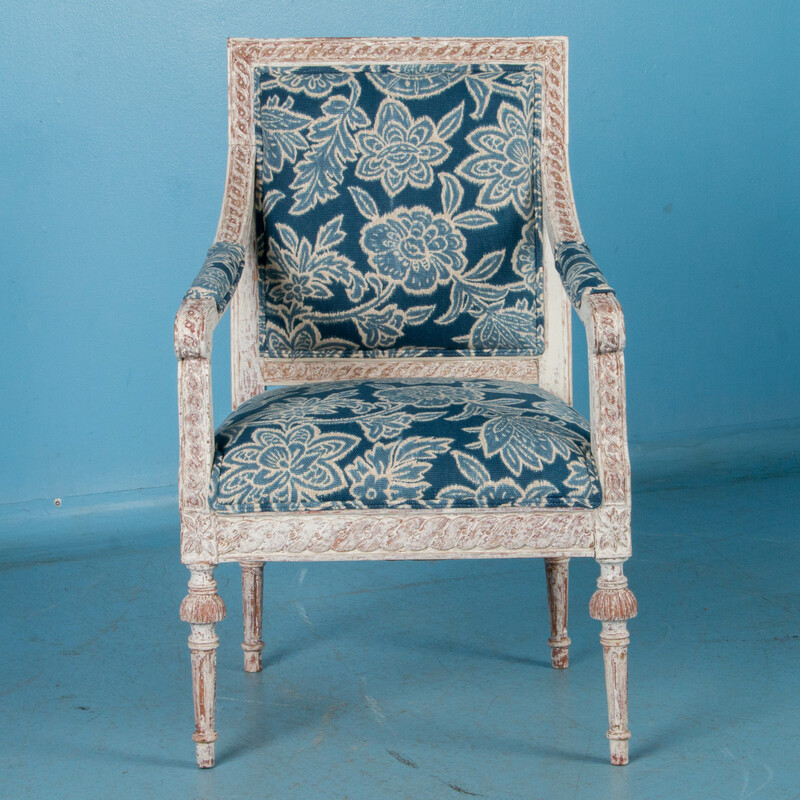 Pair of antique mahogany chairs from France circa 1840 with upholstered back and seat. 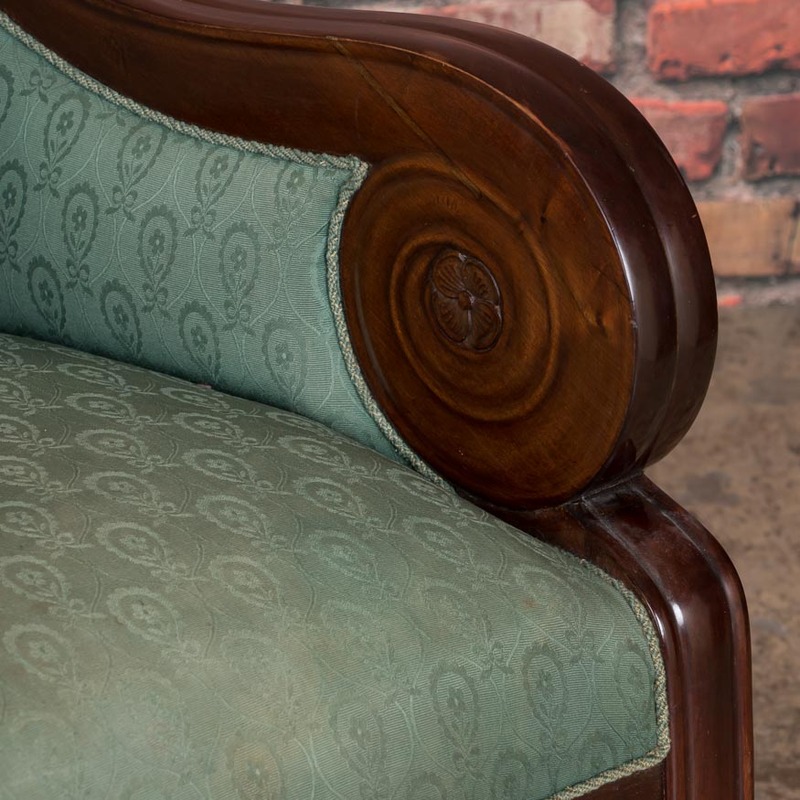 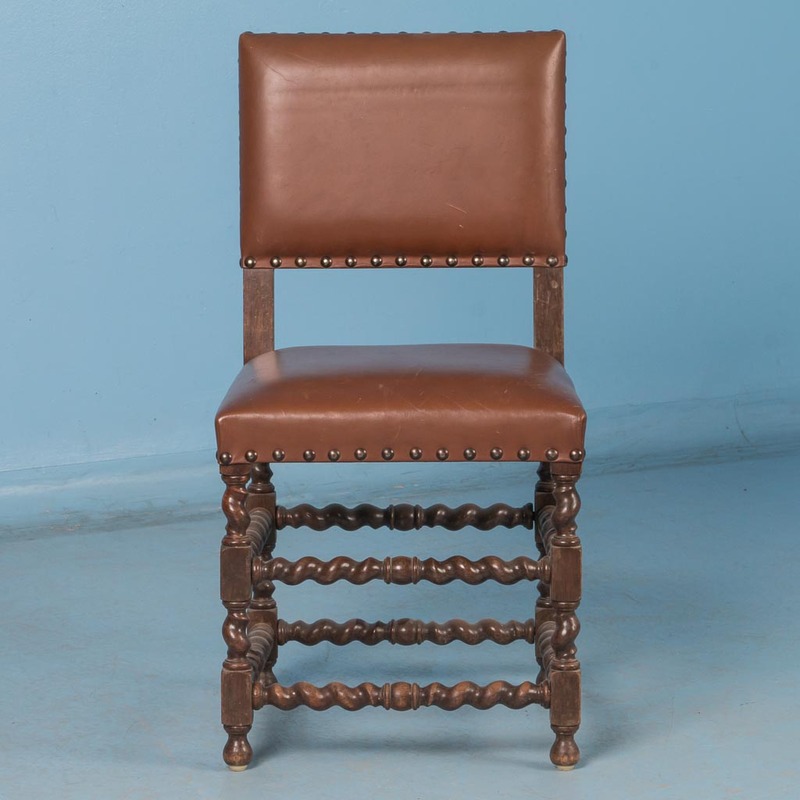 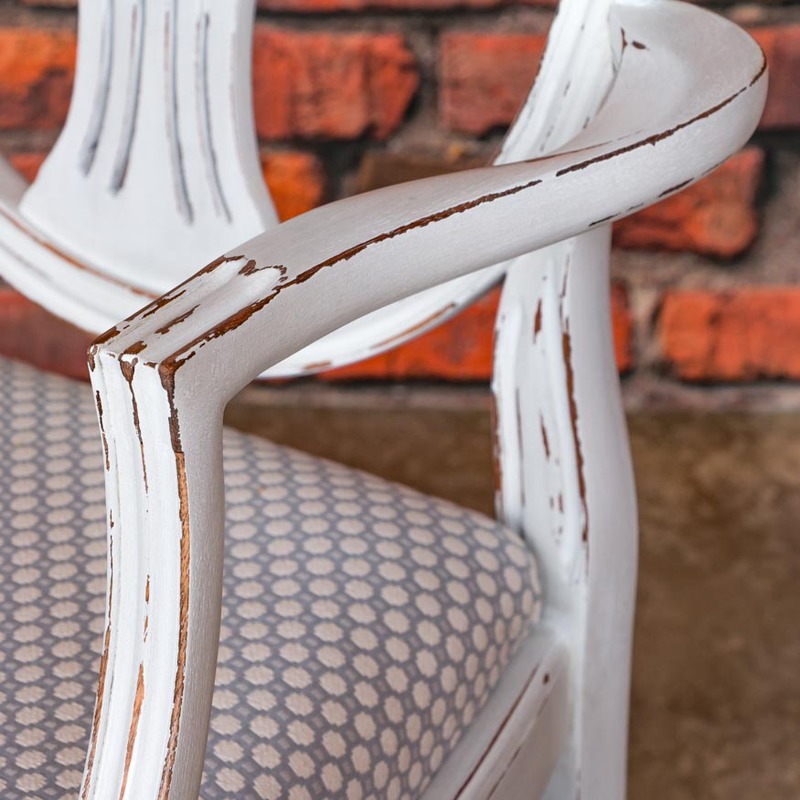 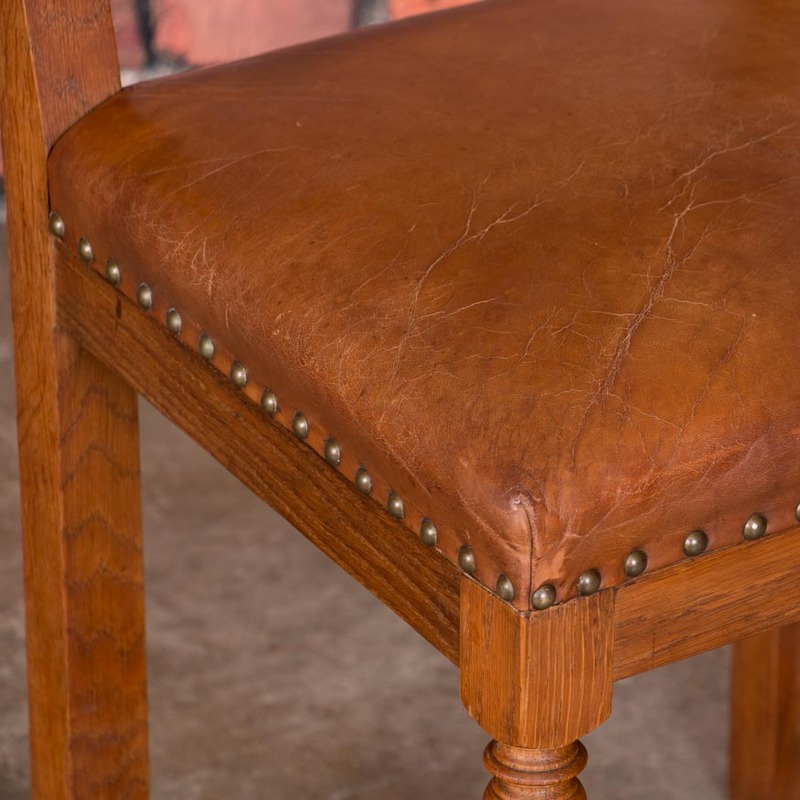 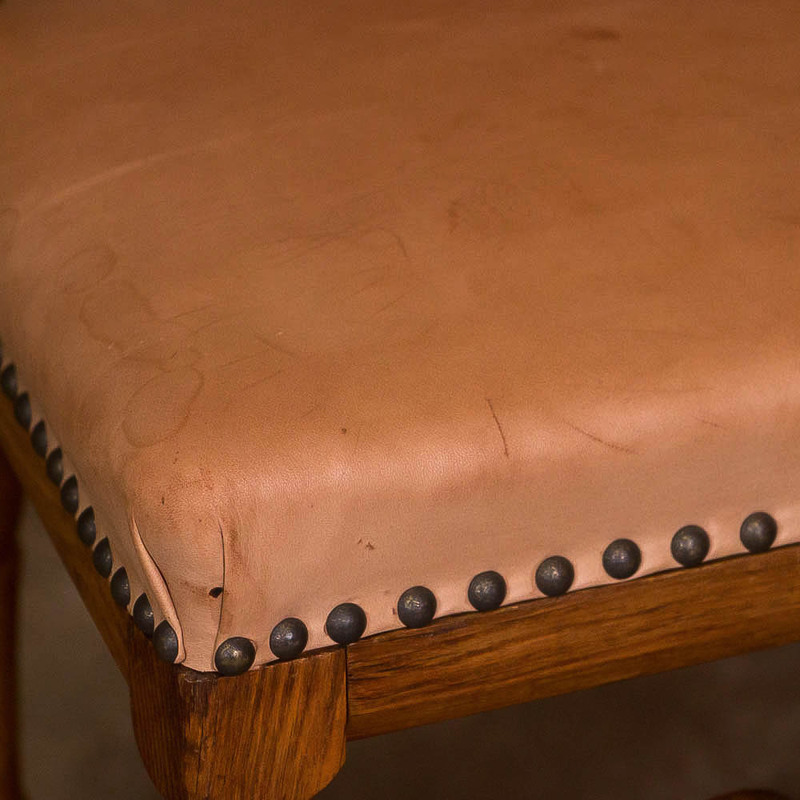 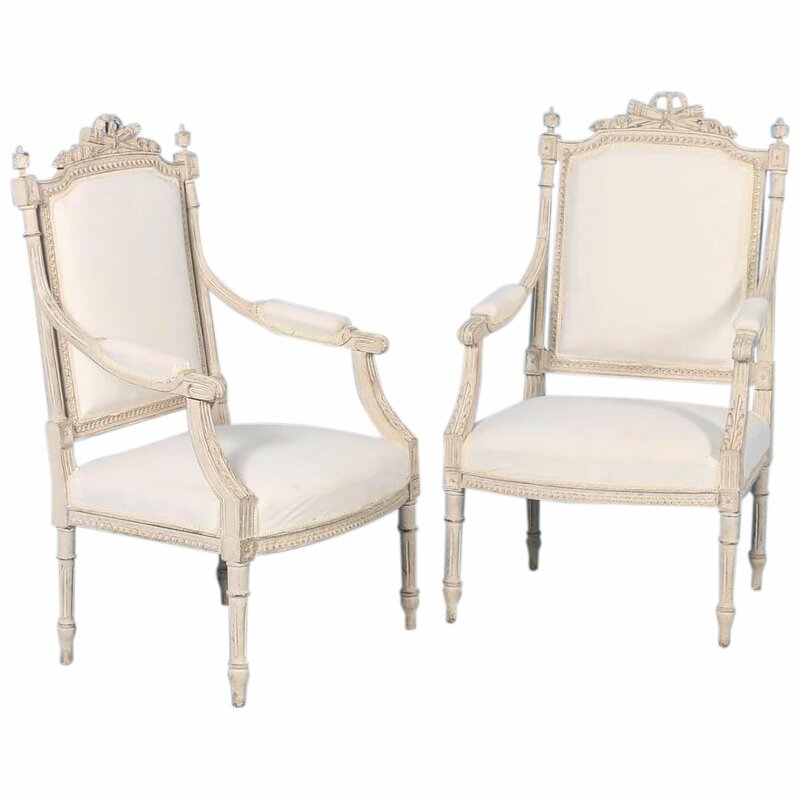 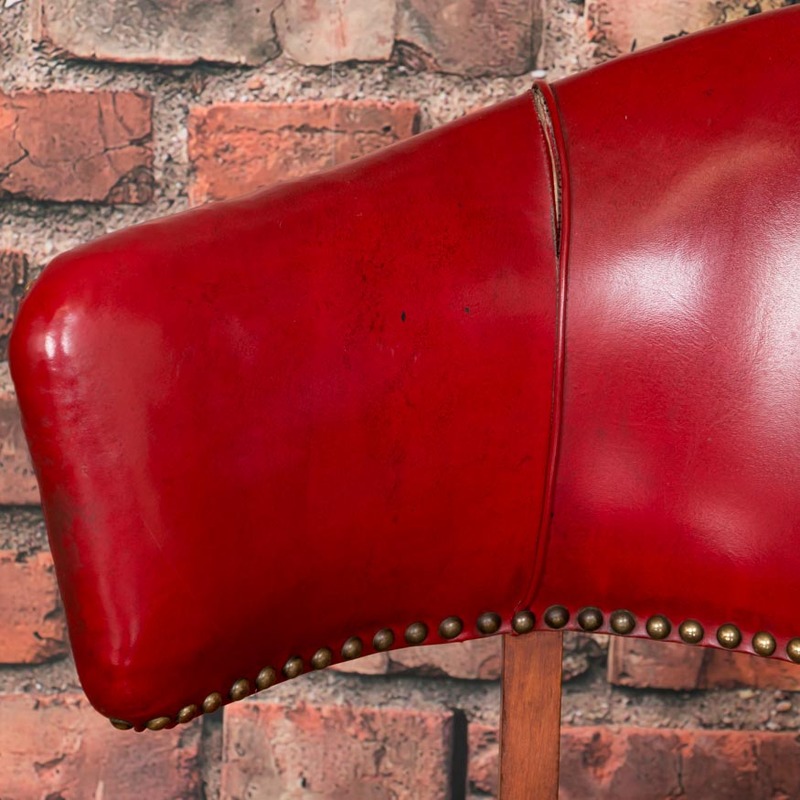 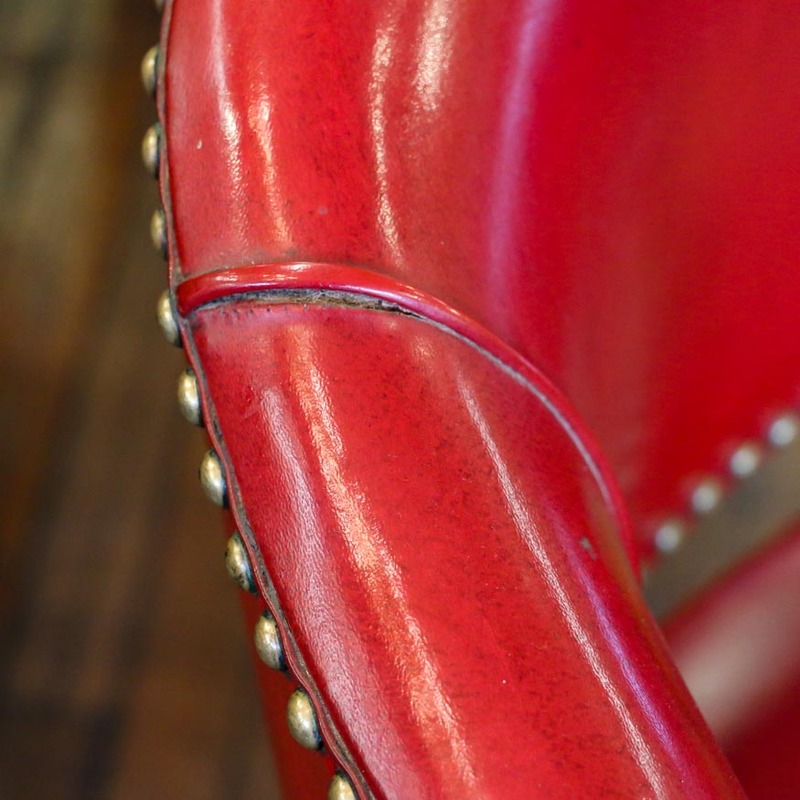 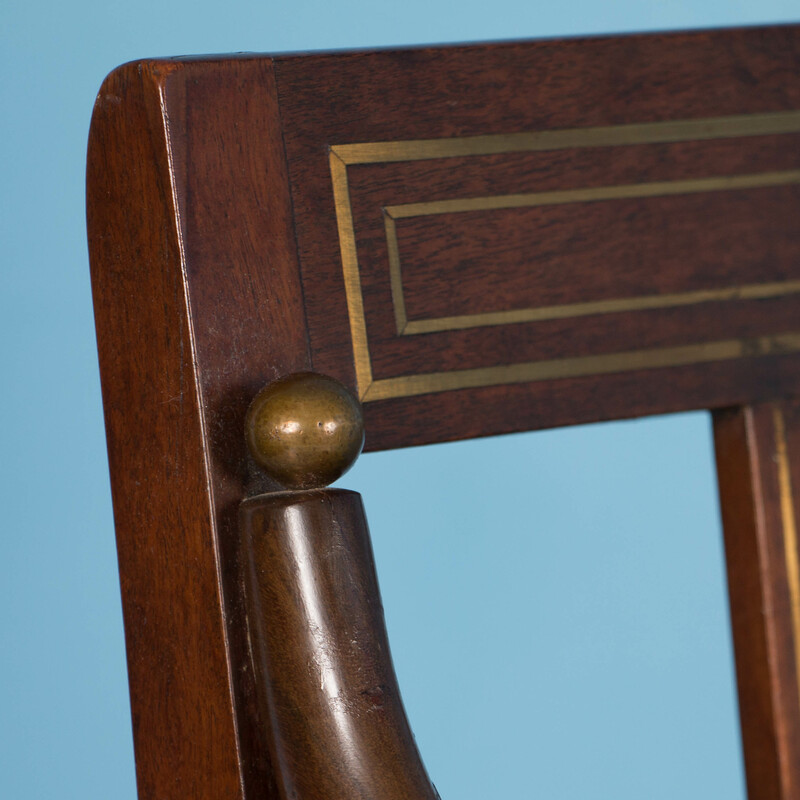 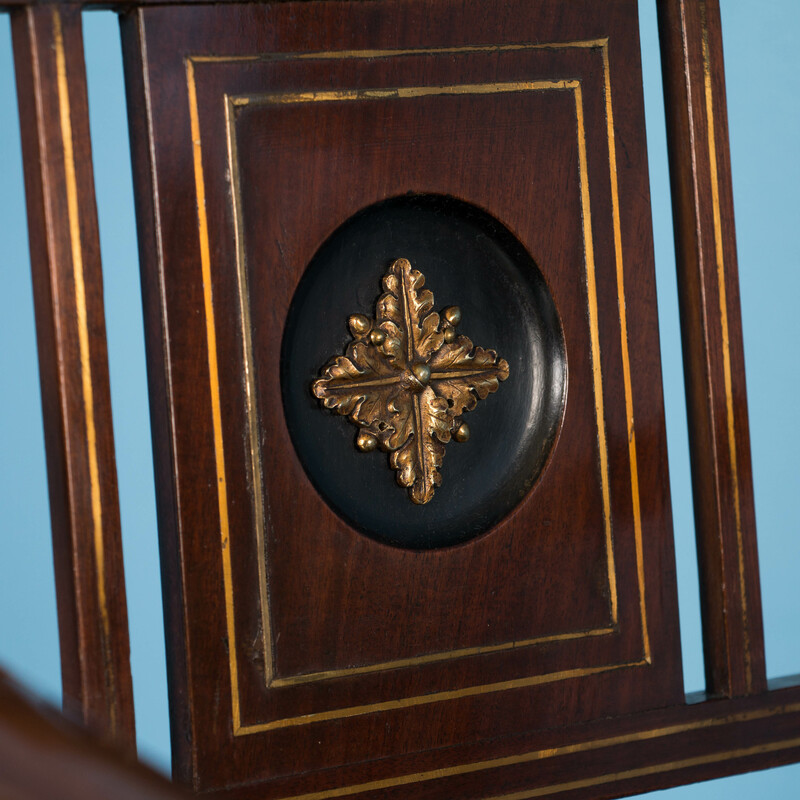 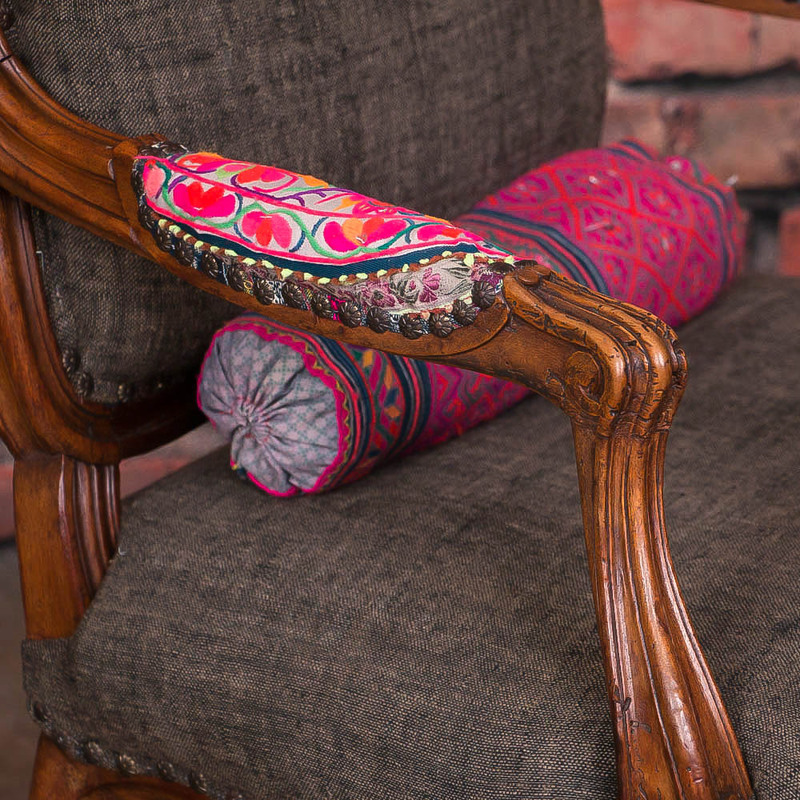 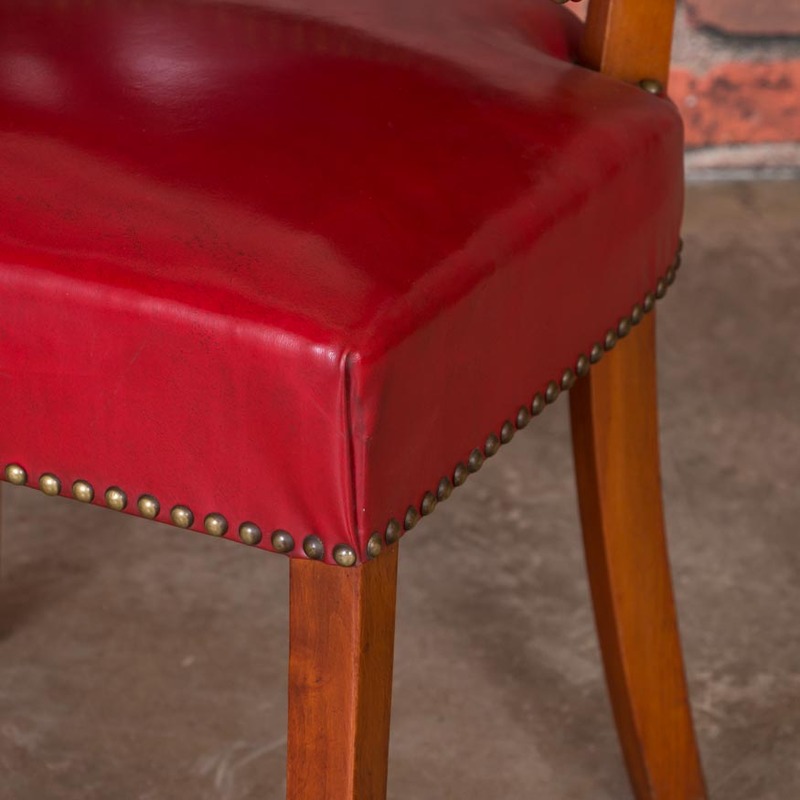 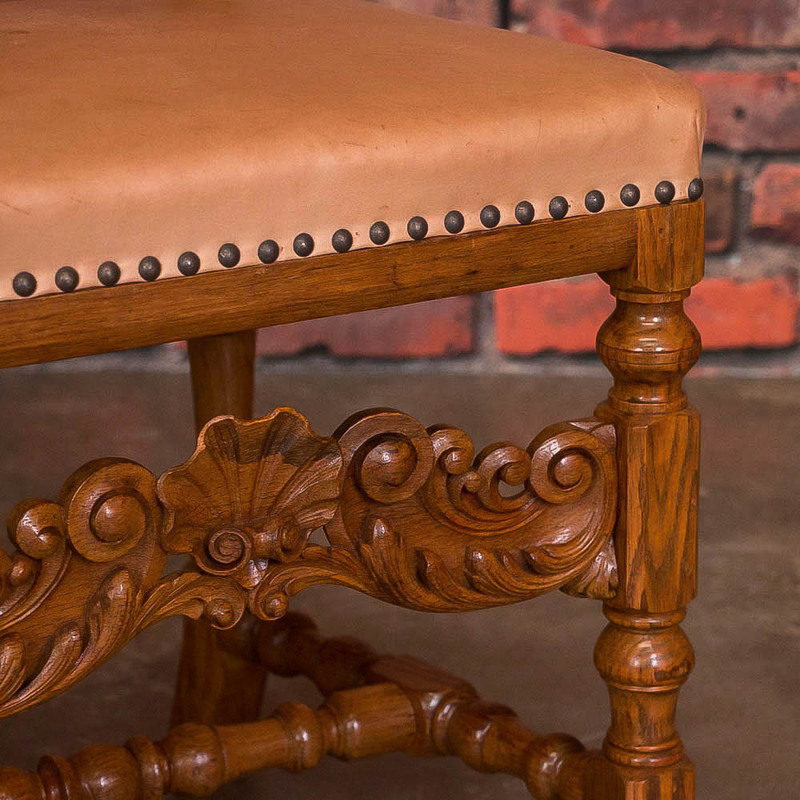 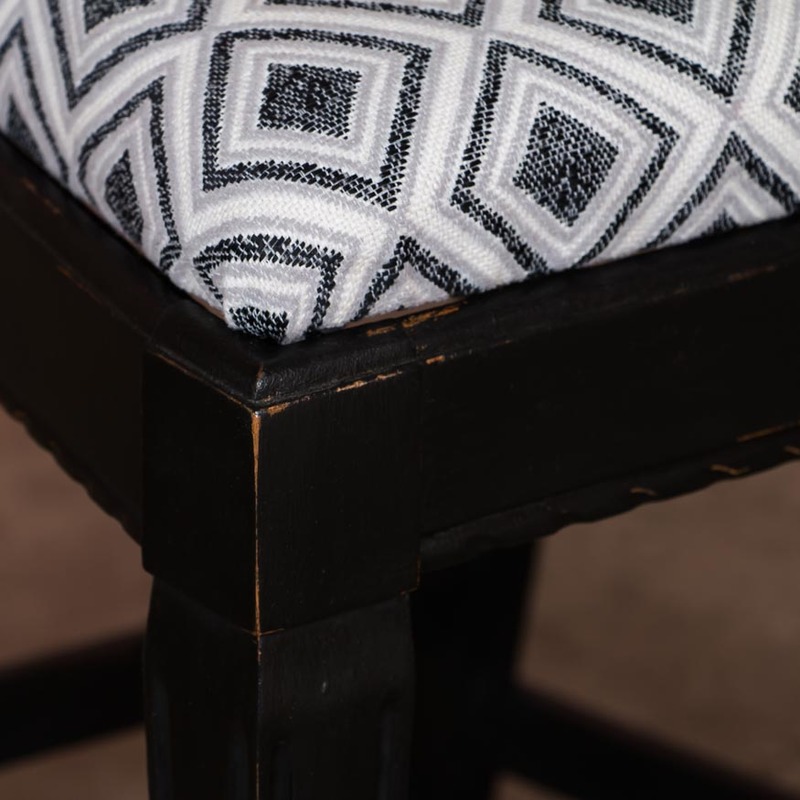 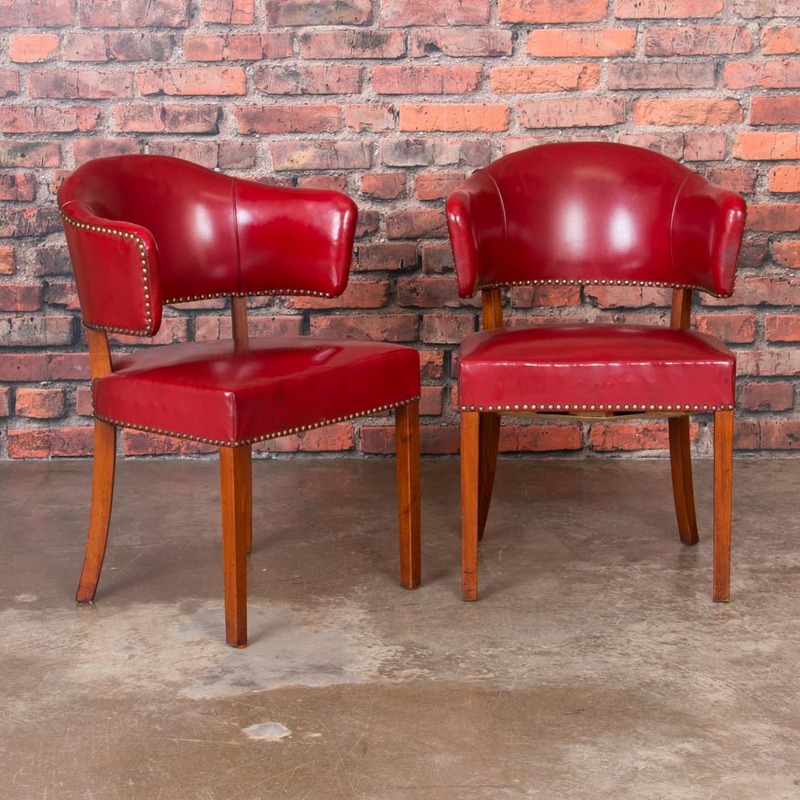 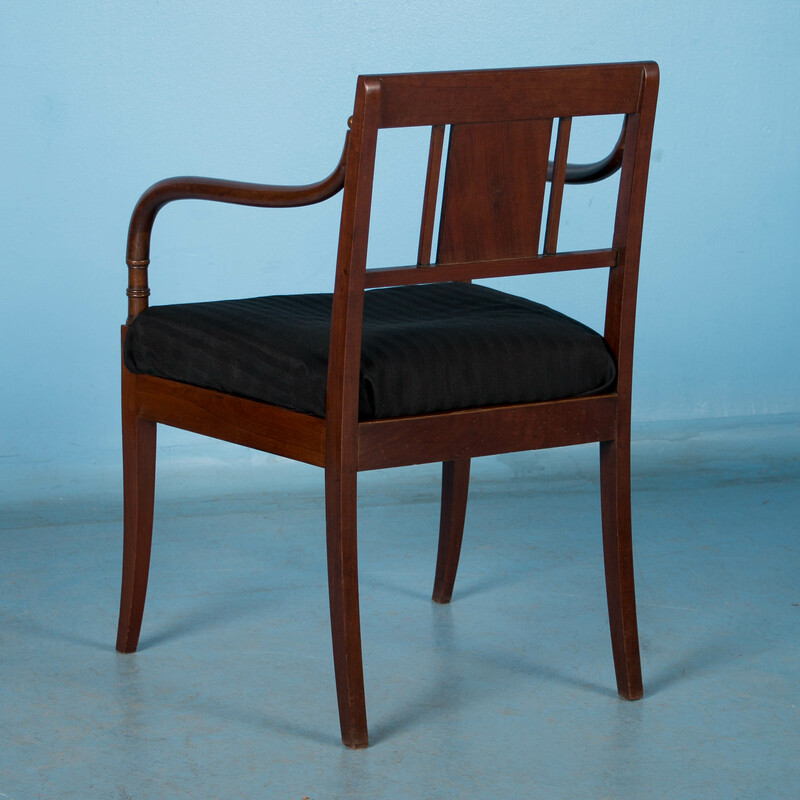 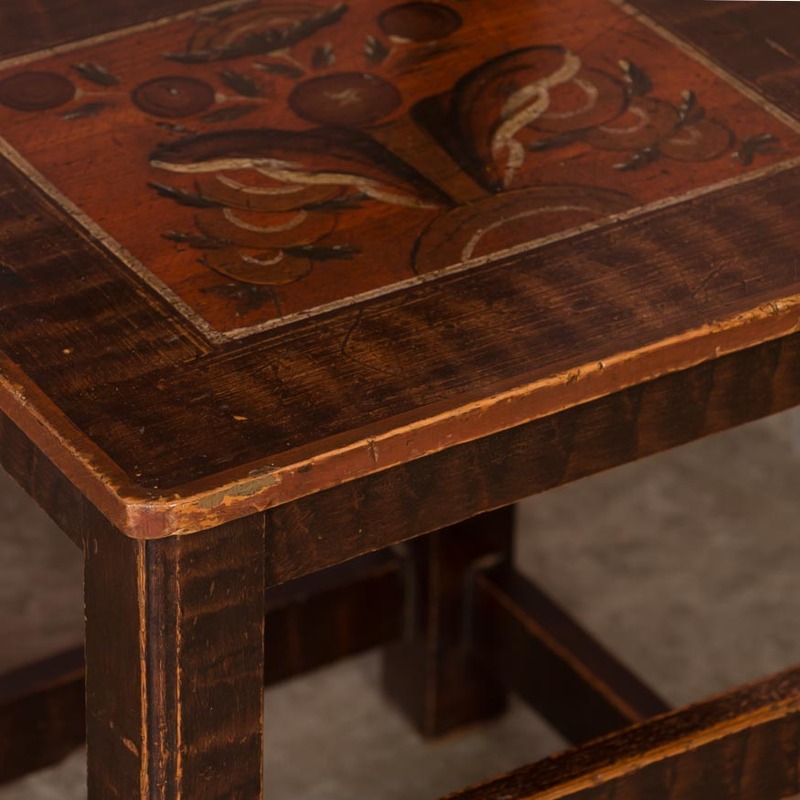 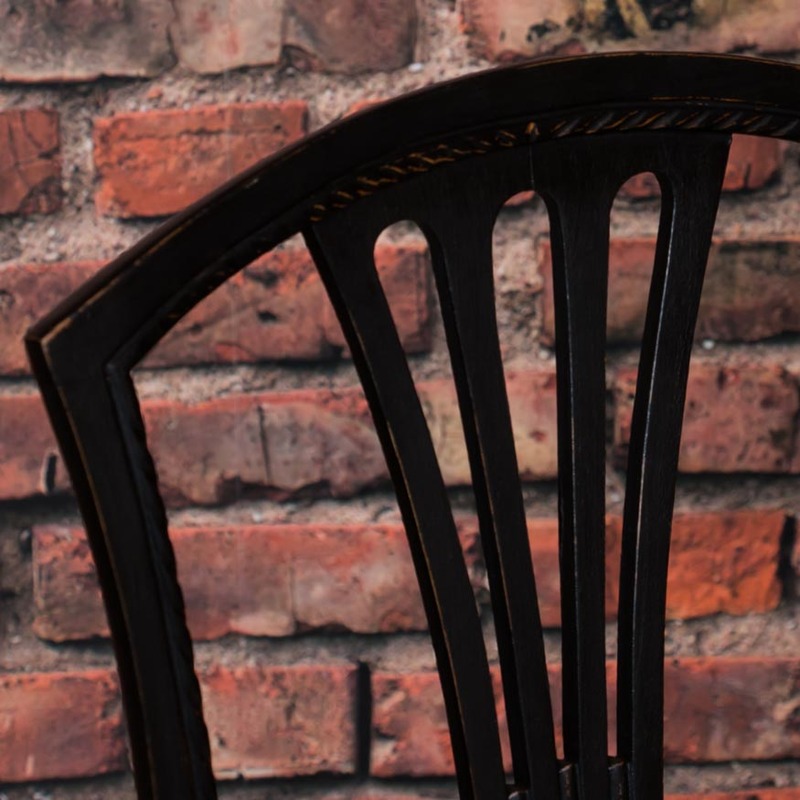 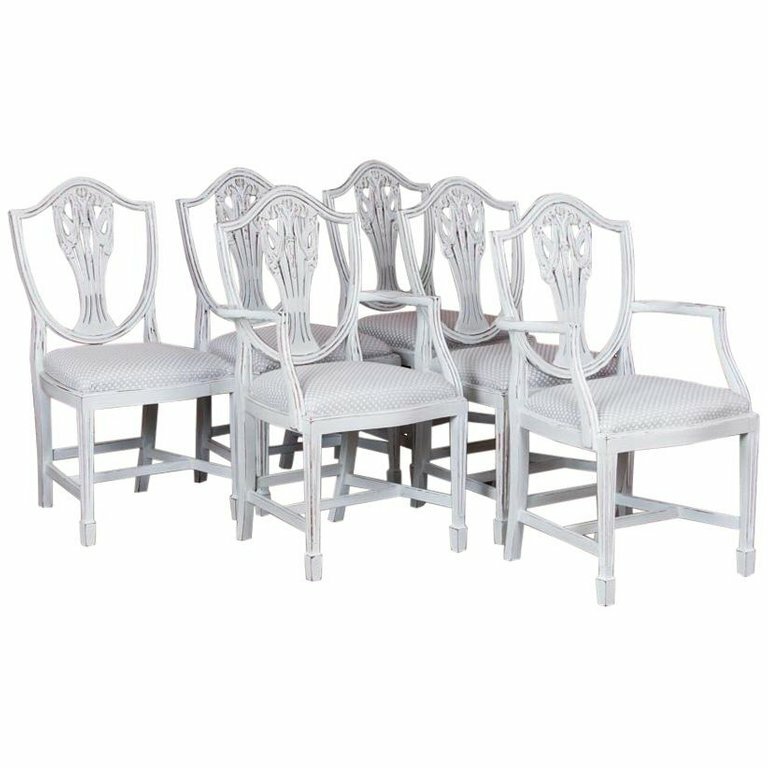 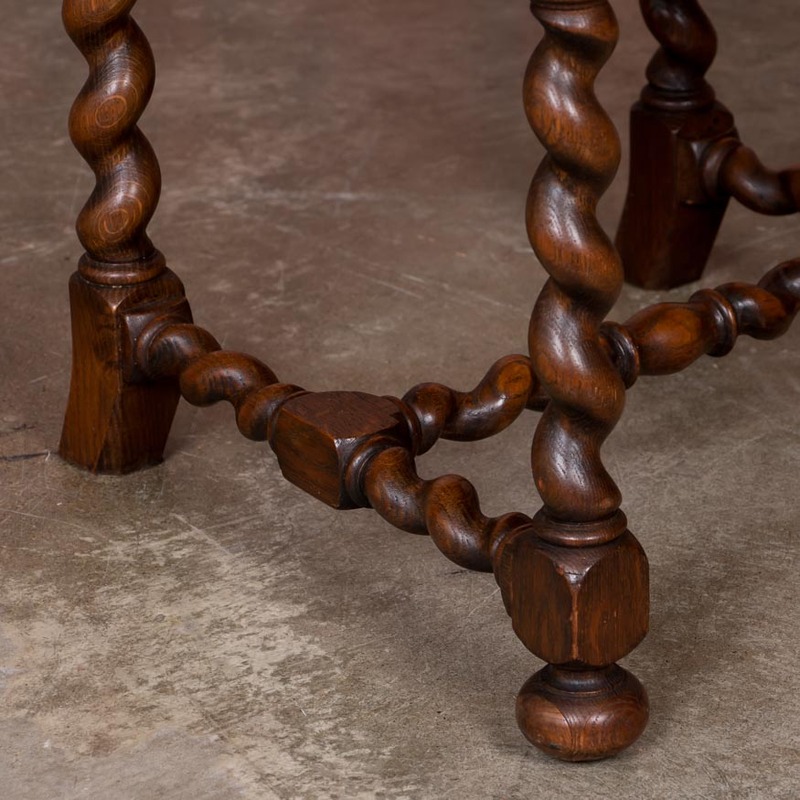 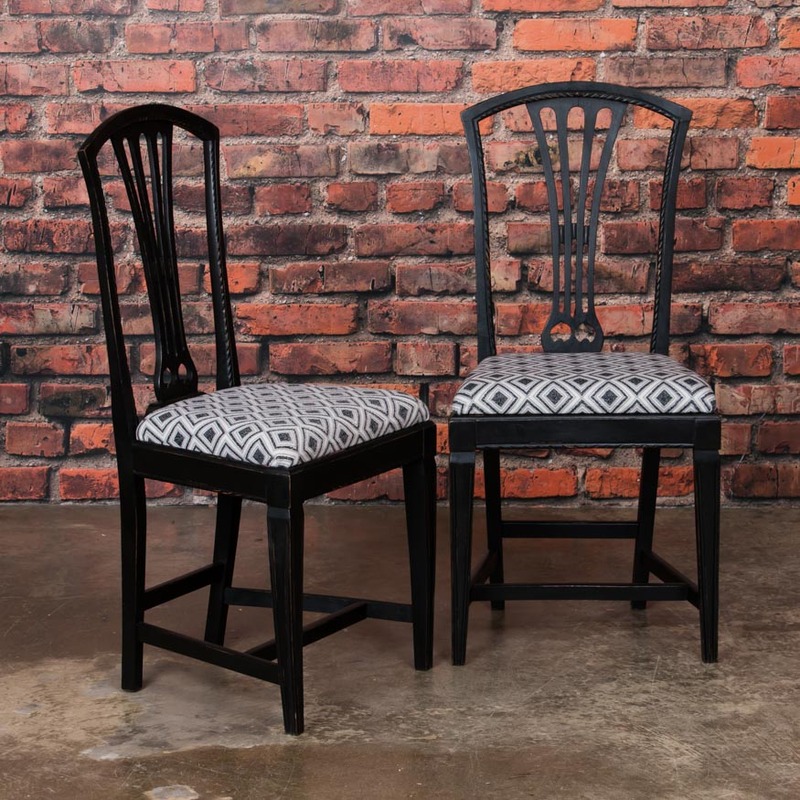 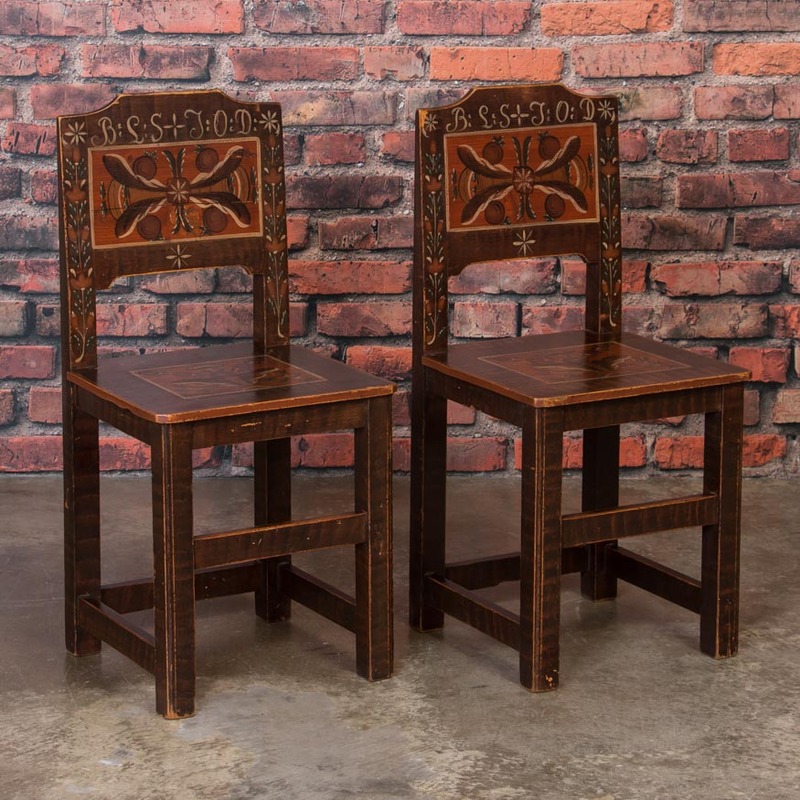 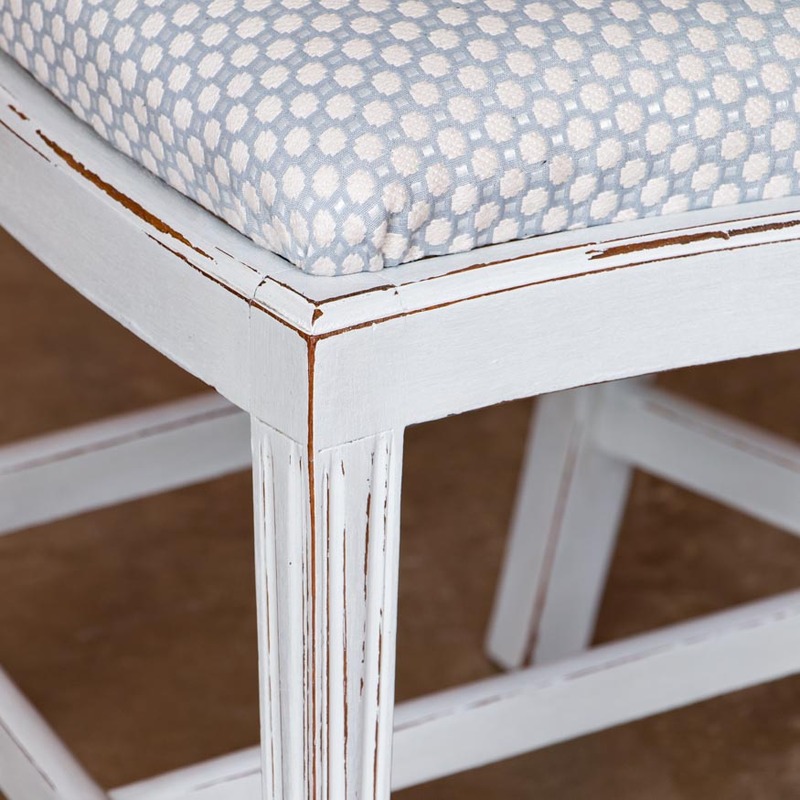 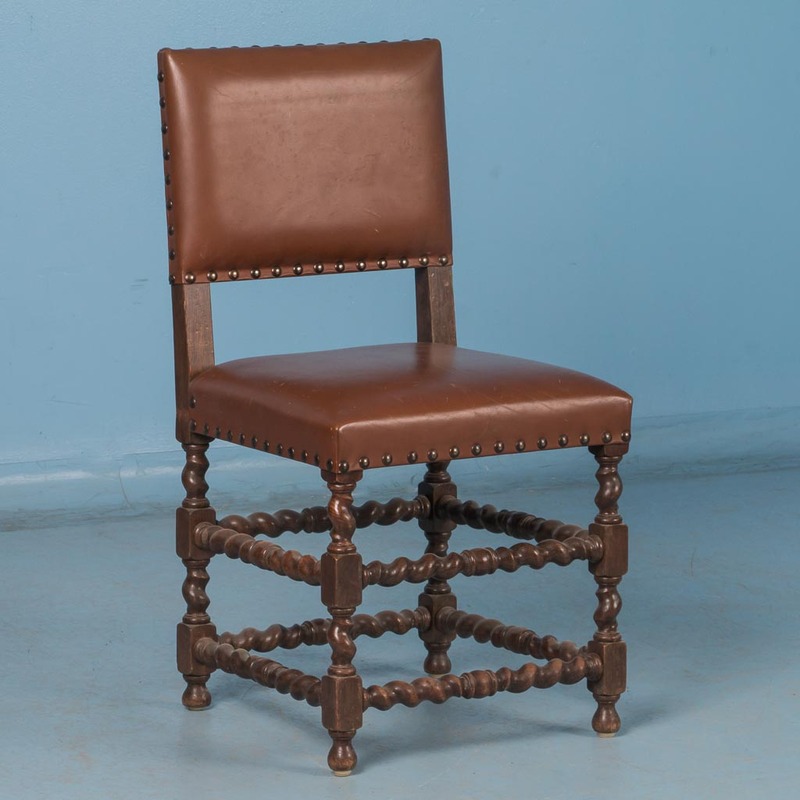 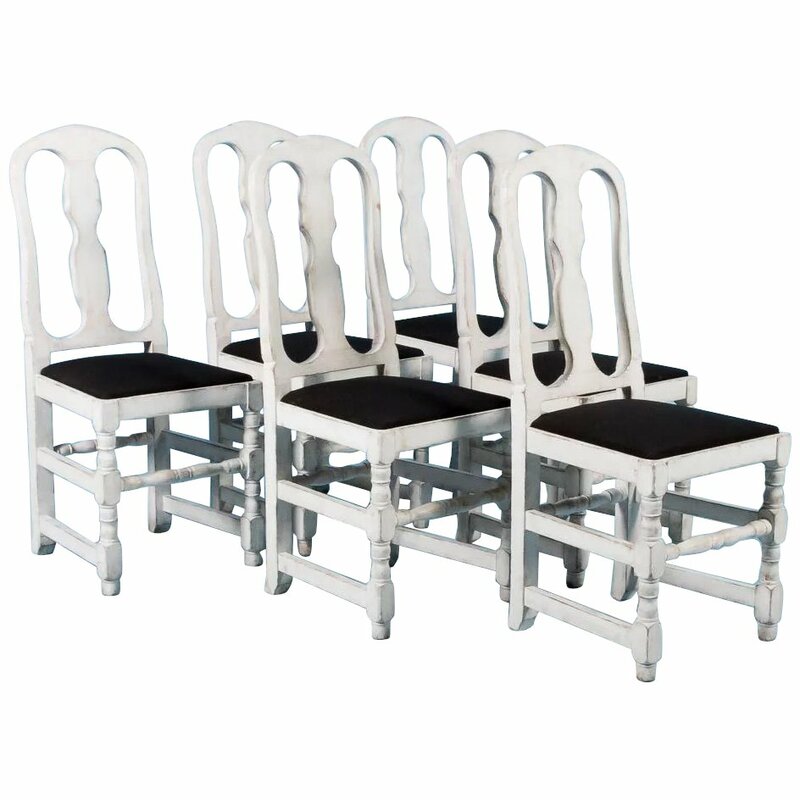 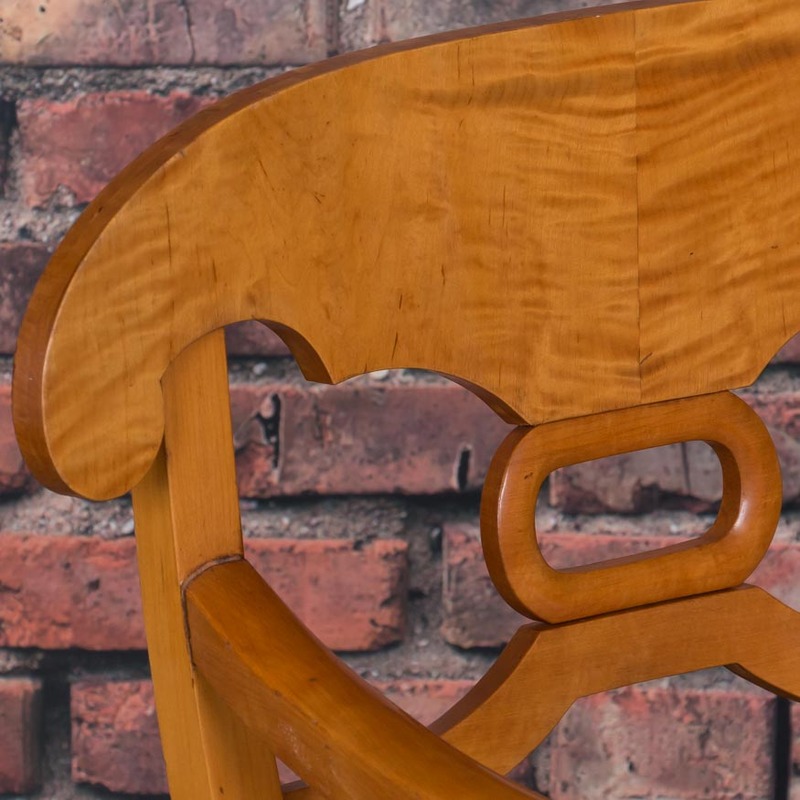 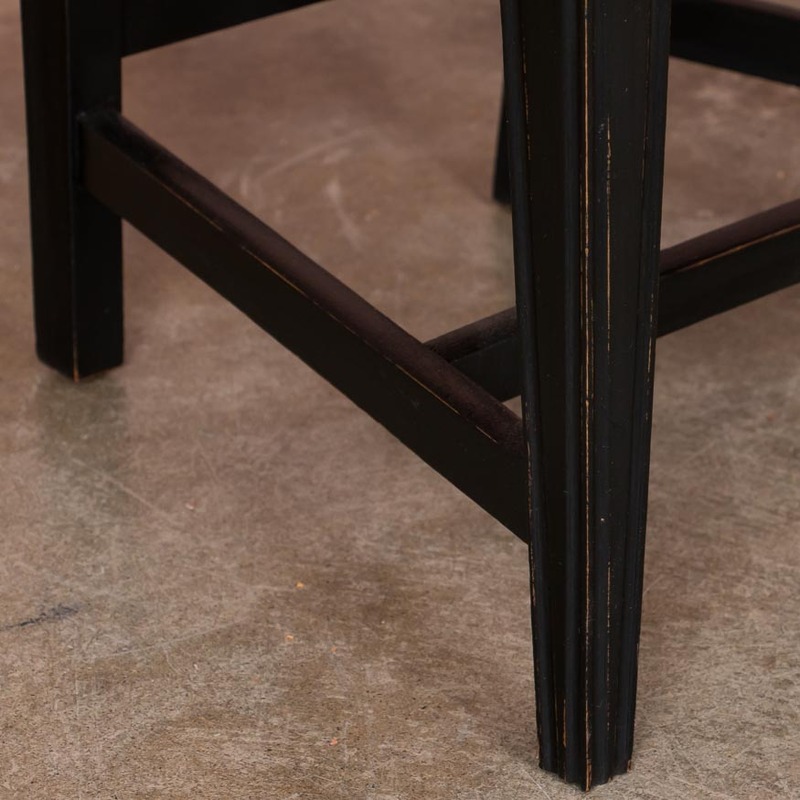 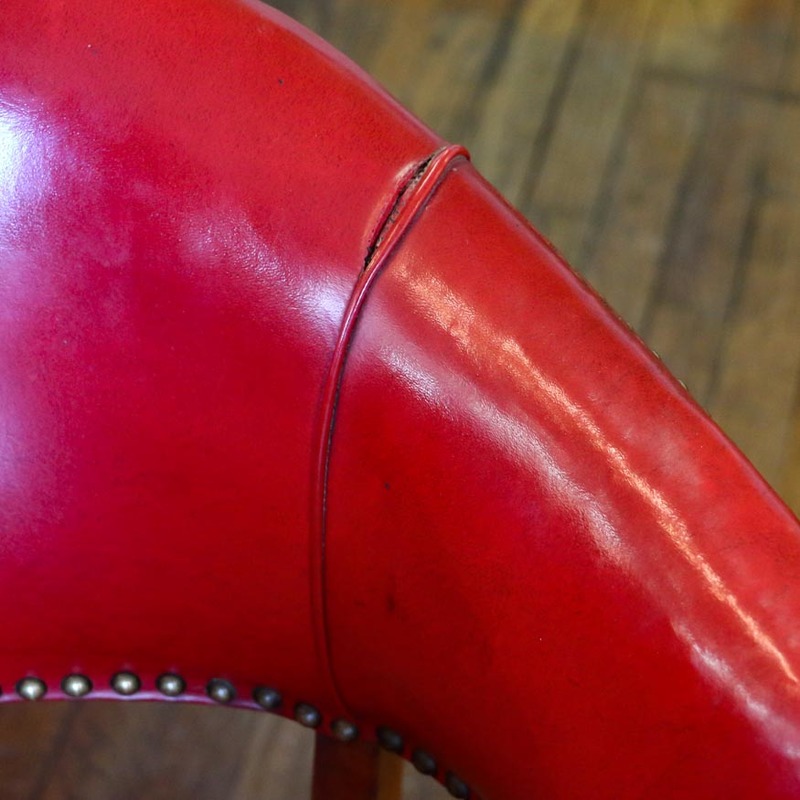 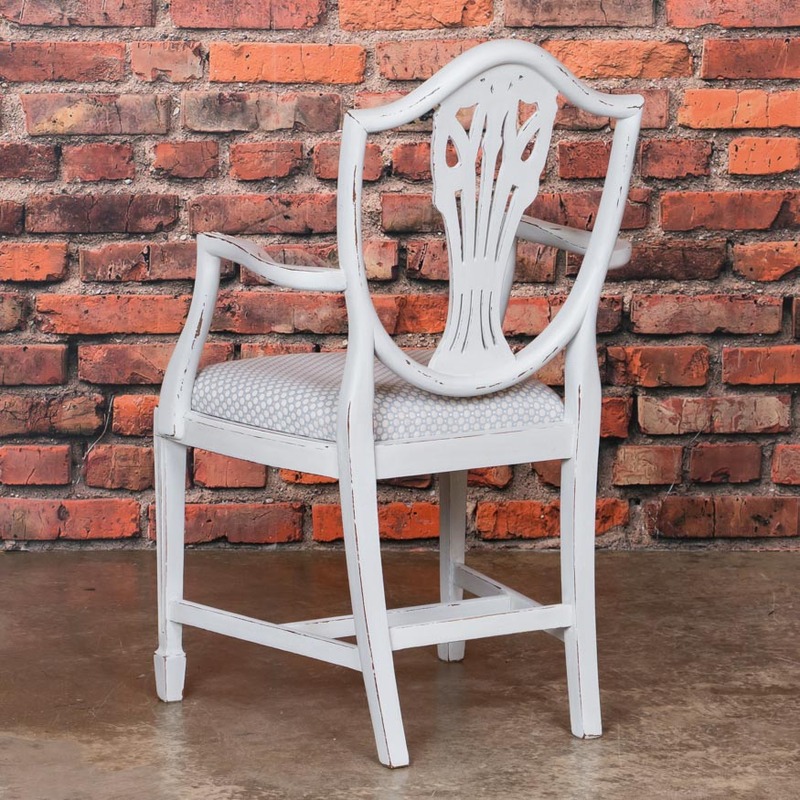 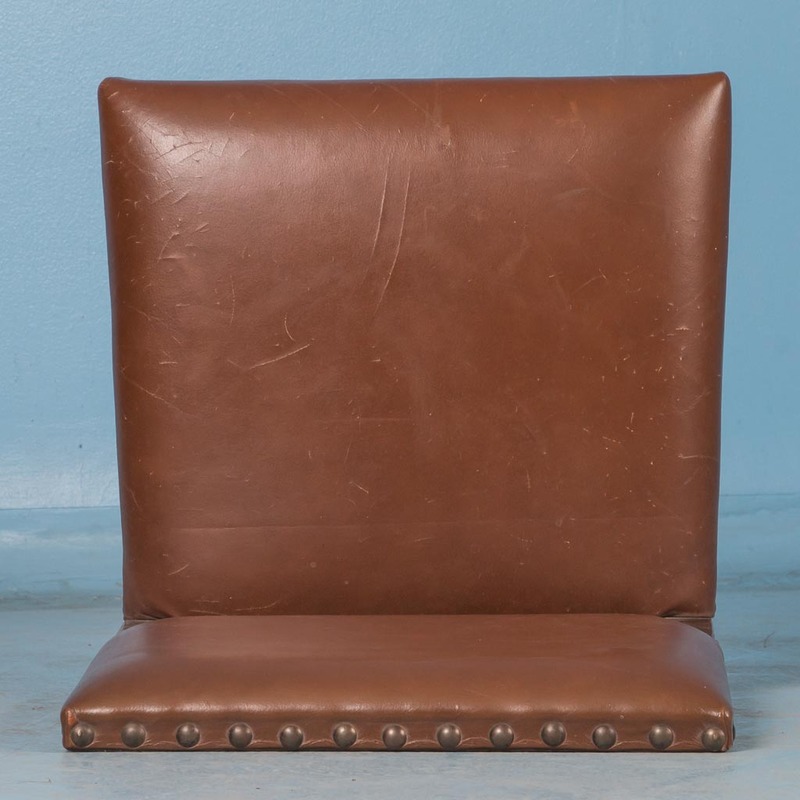 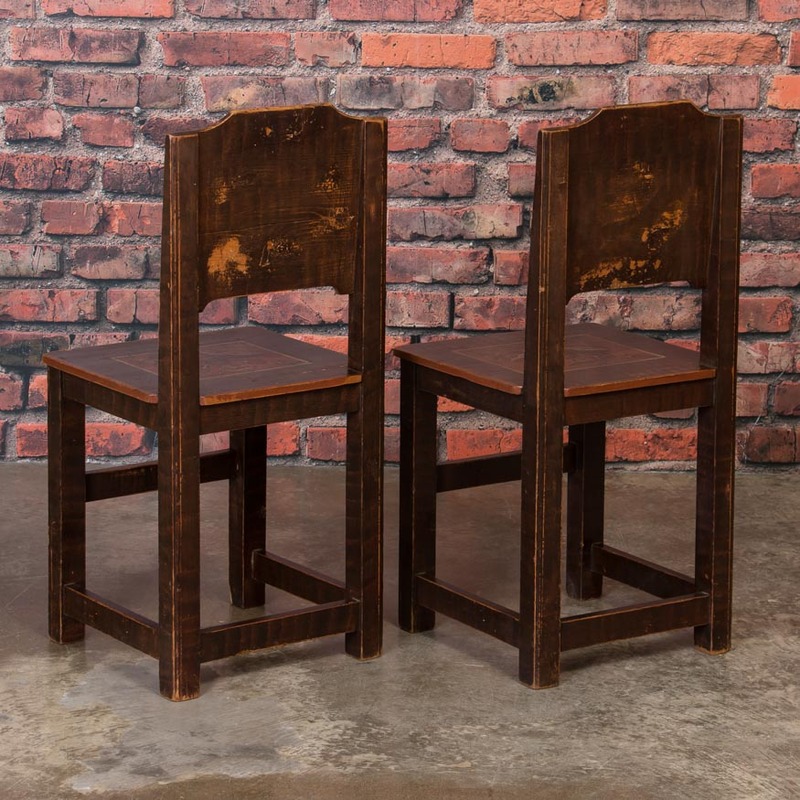 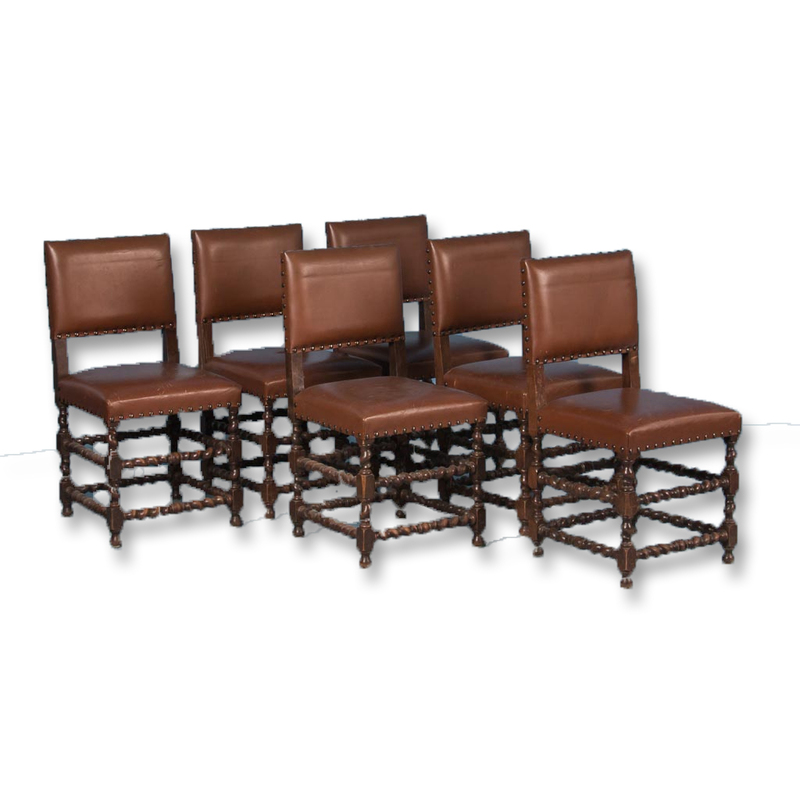 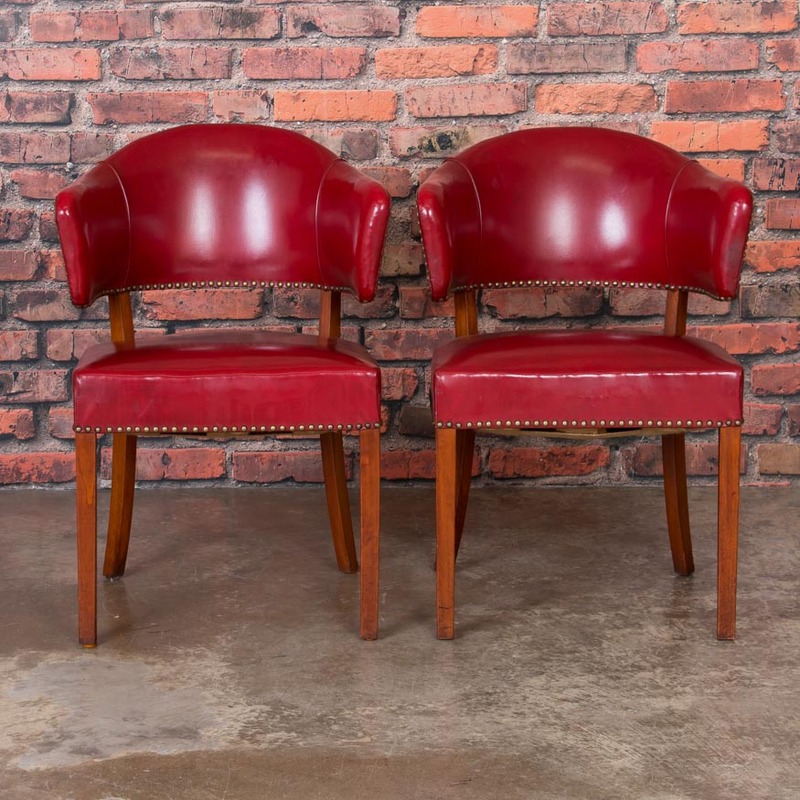 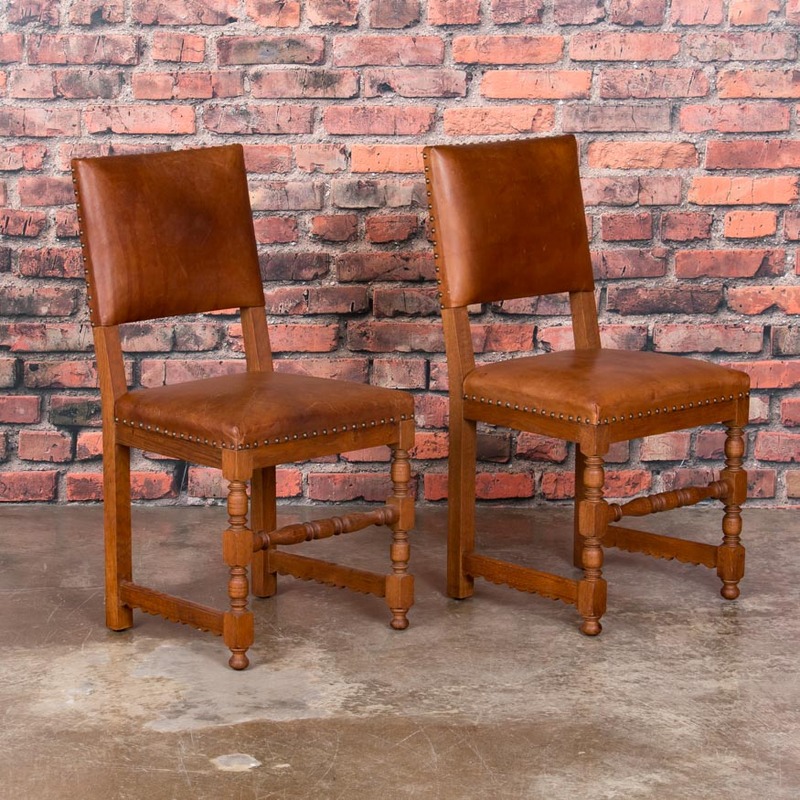 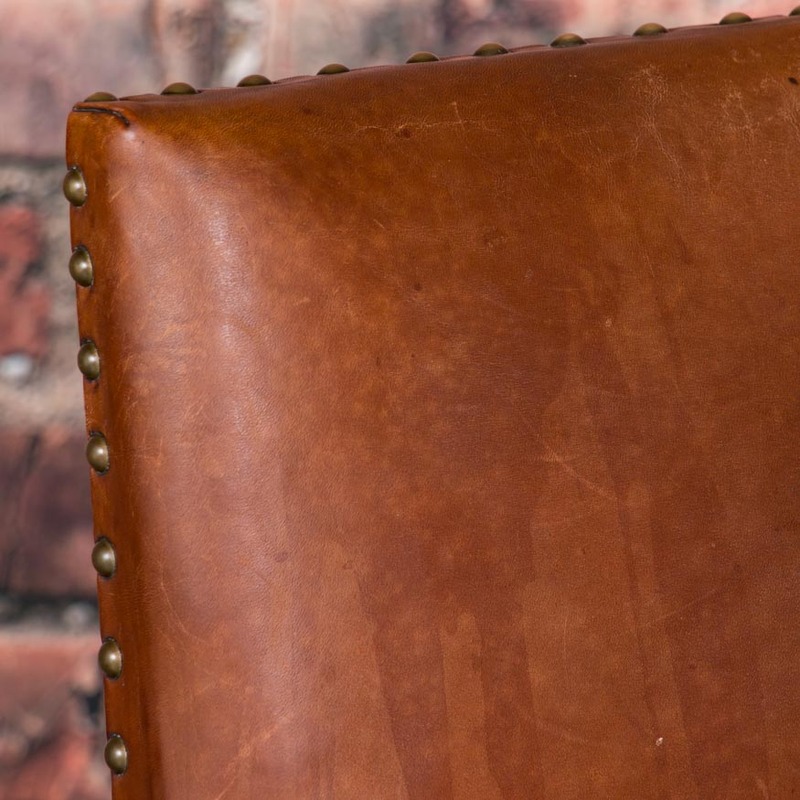 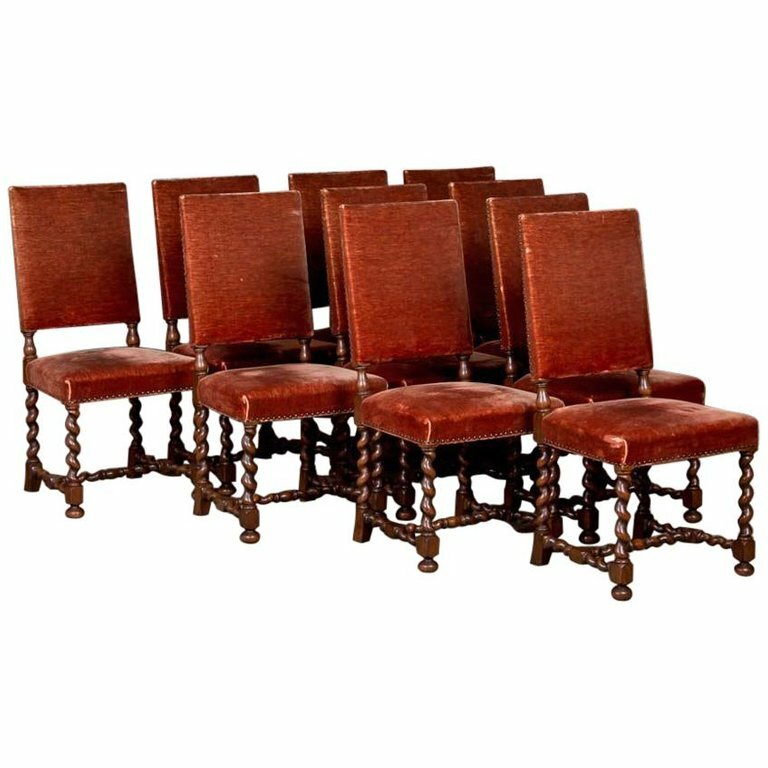 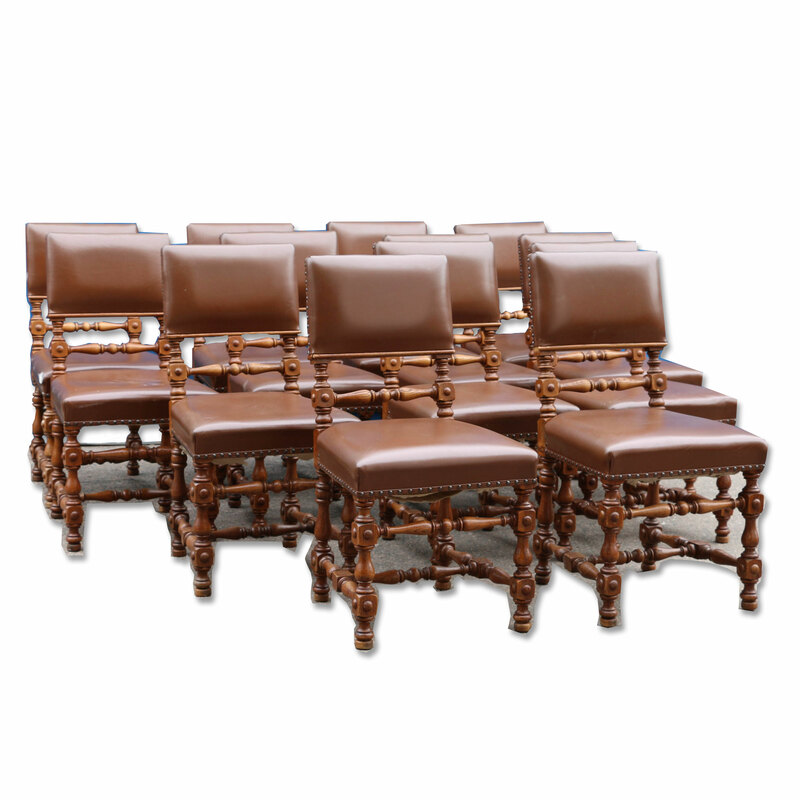 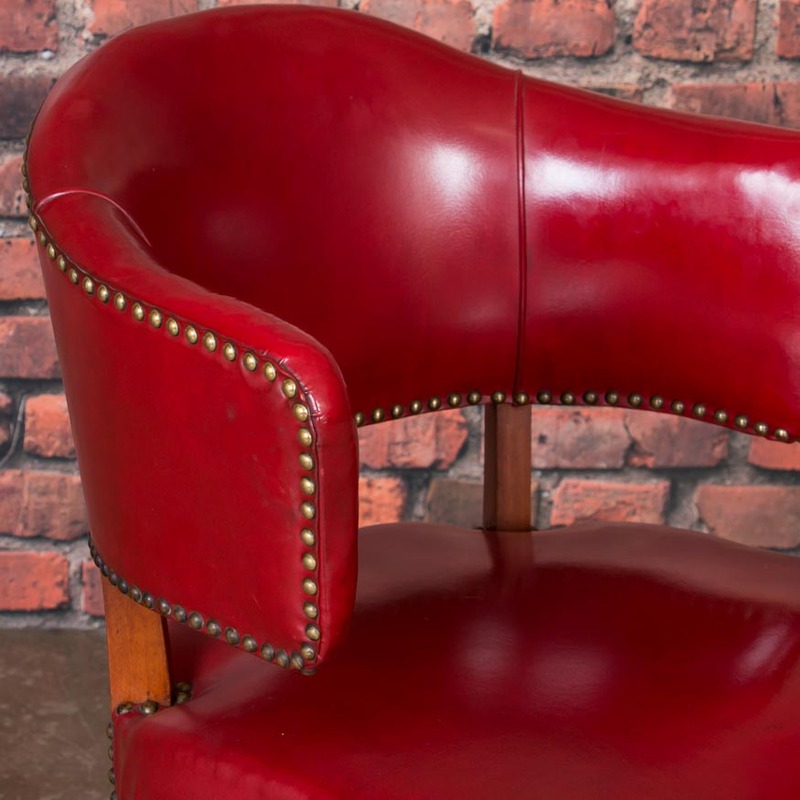 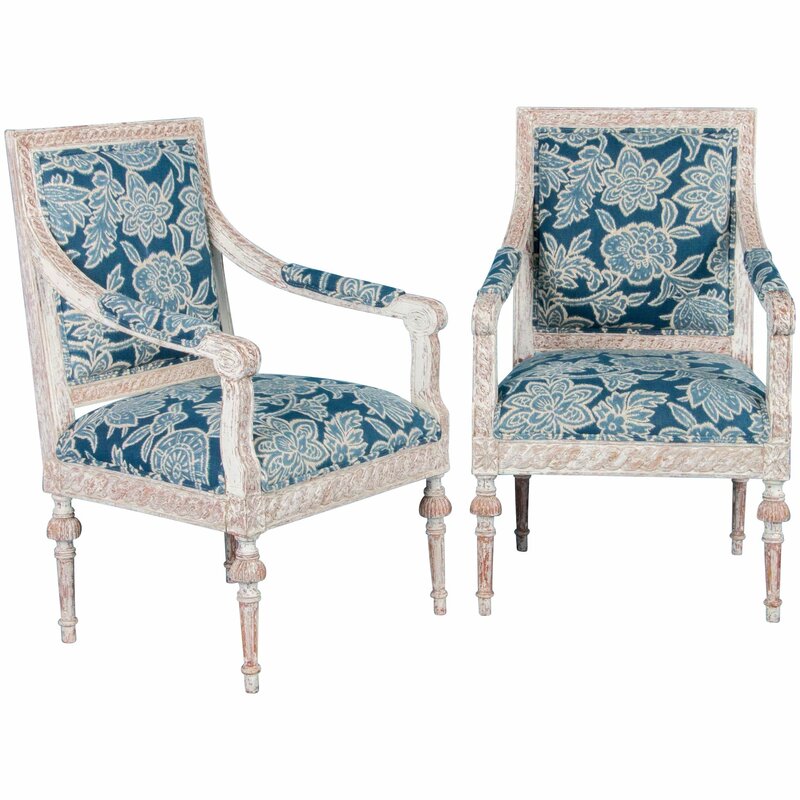 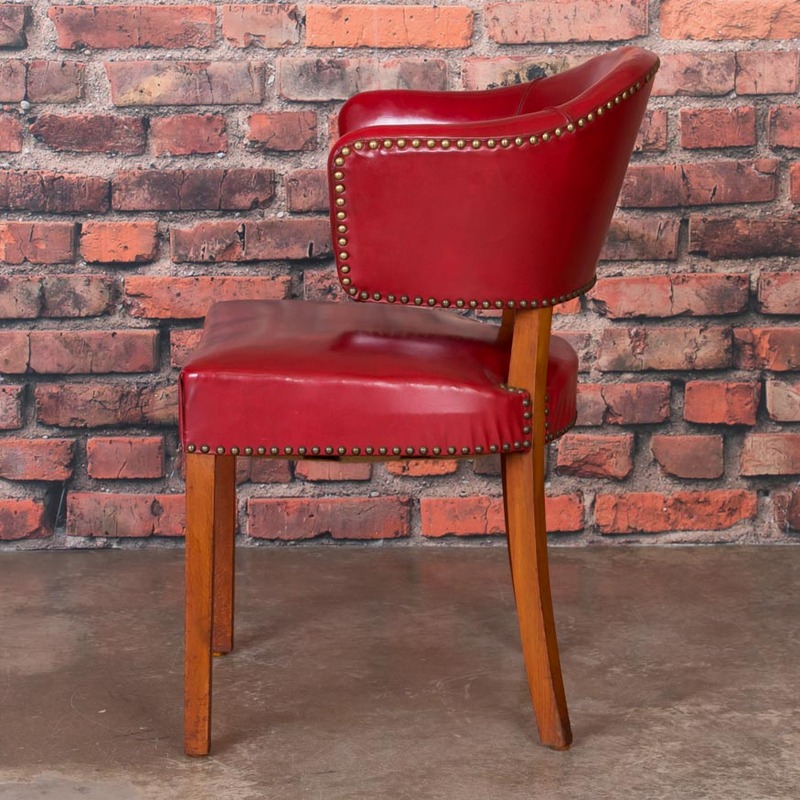 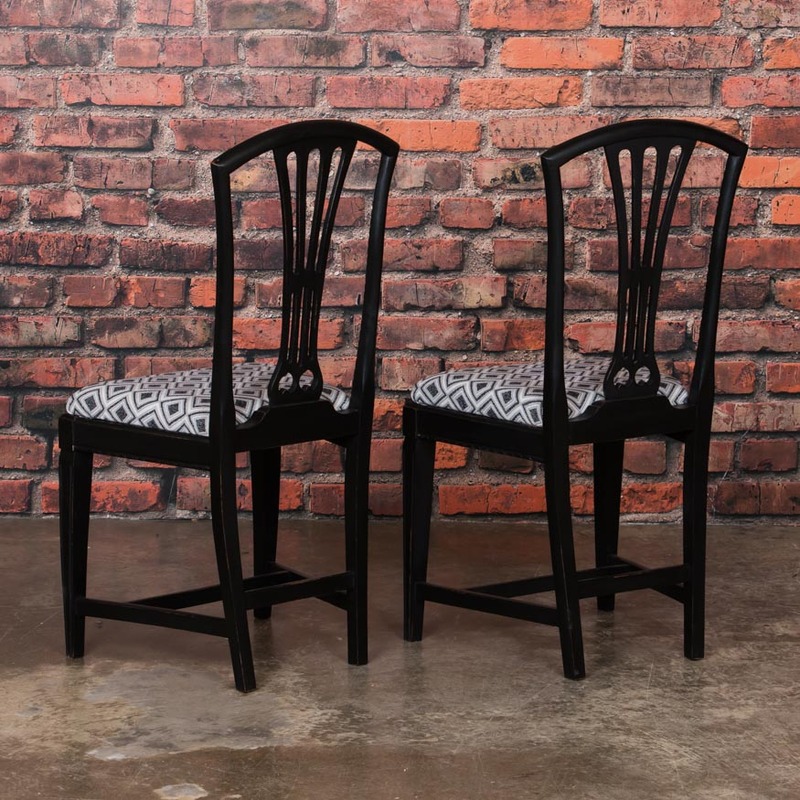 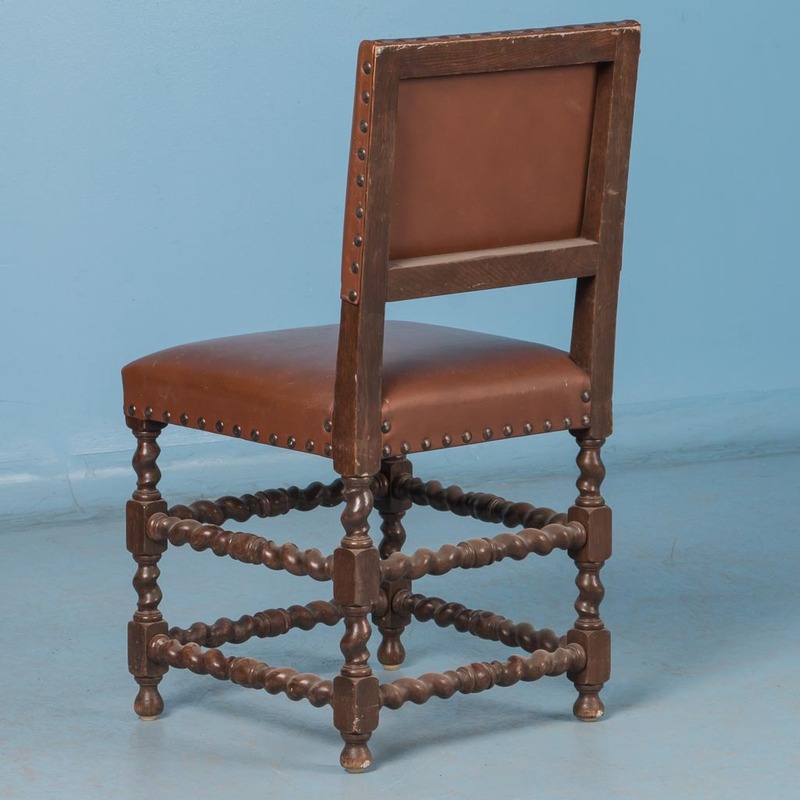 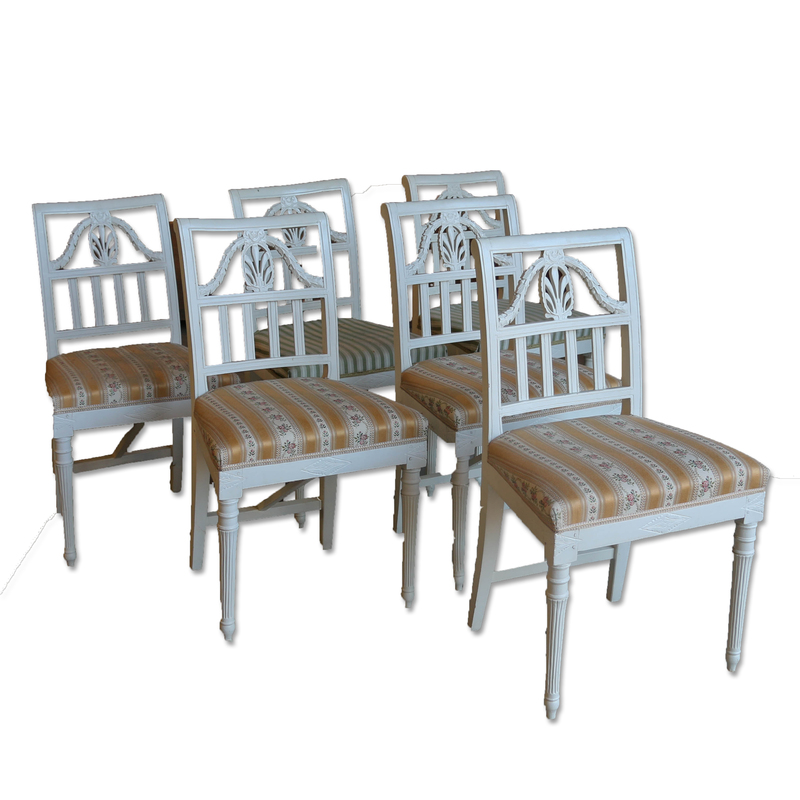 The square back and scrolled arms give these chairs a sense of elegance and strength.